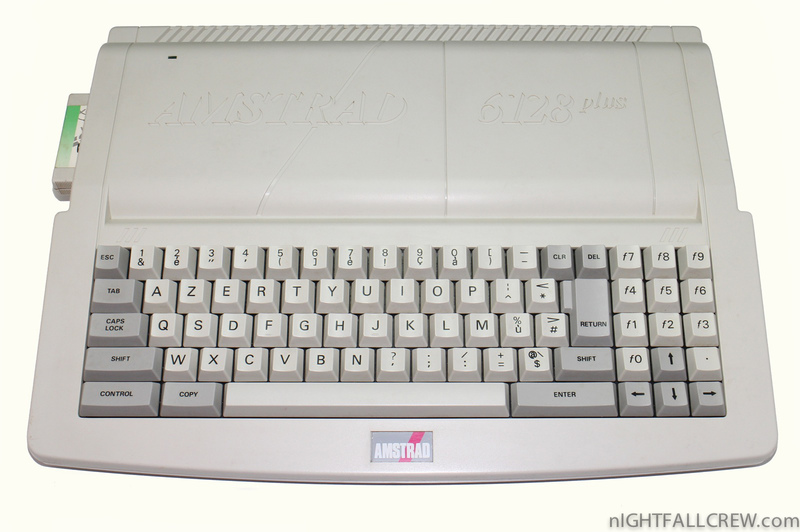 In 1990 Amstrad introduced the “Plus” range which tweaked the hardware in many ways and added a cartridge slot to all models. 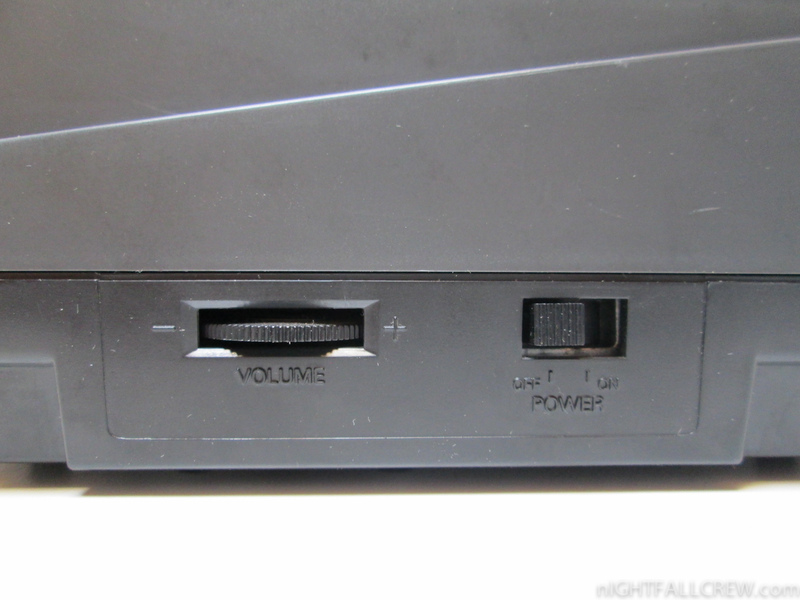 The Plus included the 464 Plus, 6128 Plus and the GX4000 video game console (which is a cut down Plus without the keyboard nor support for non-cartridge media). 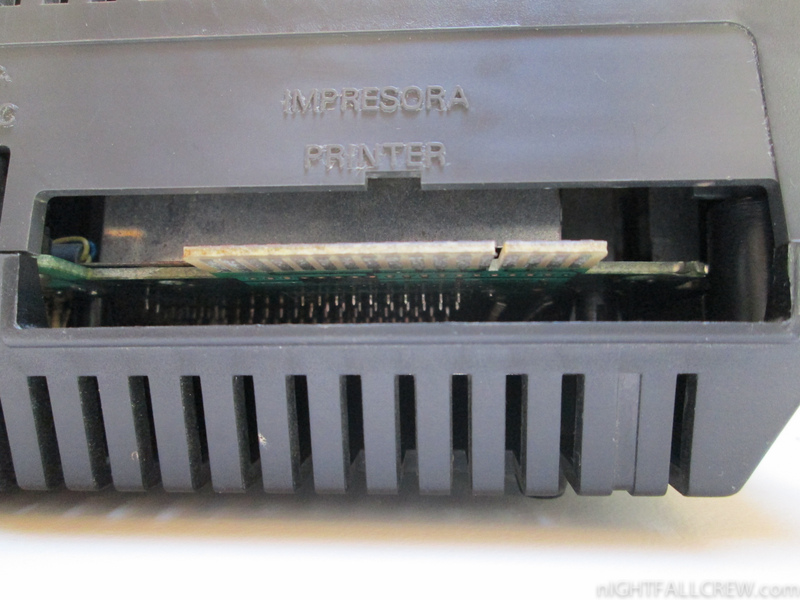 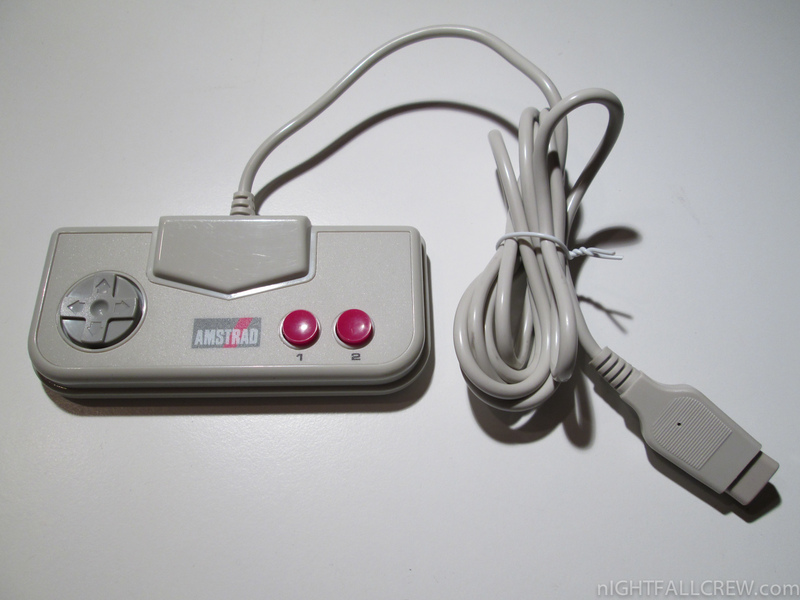 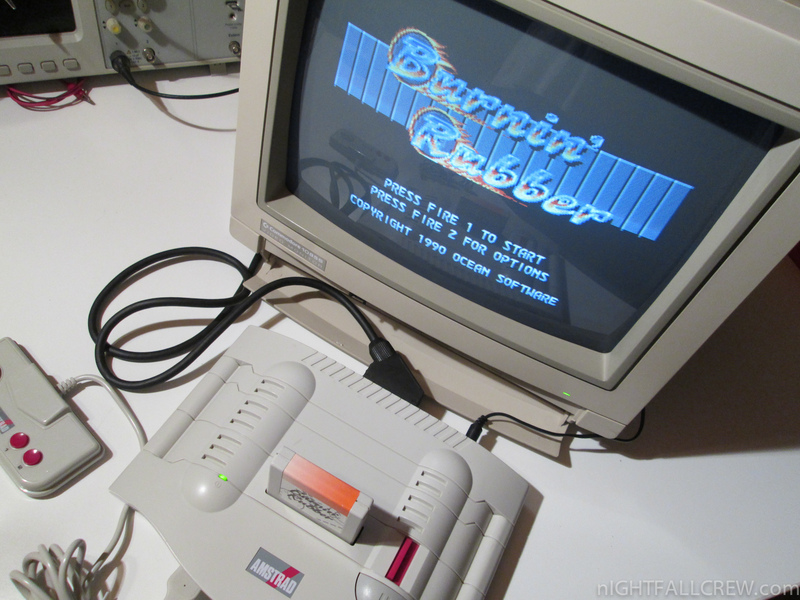 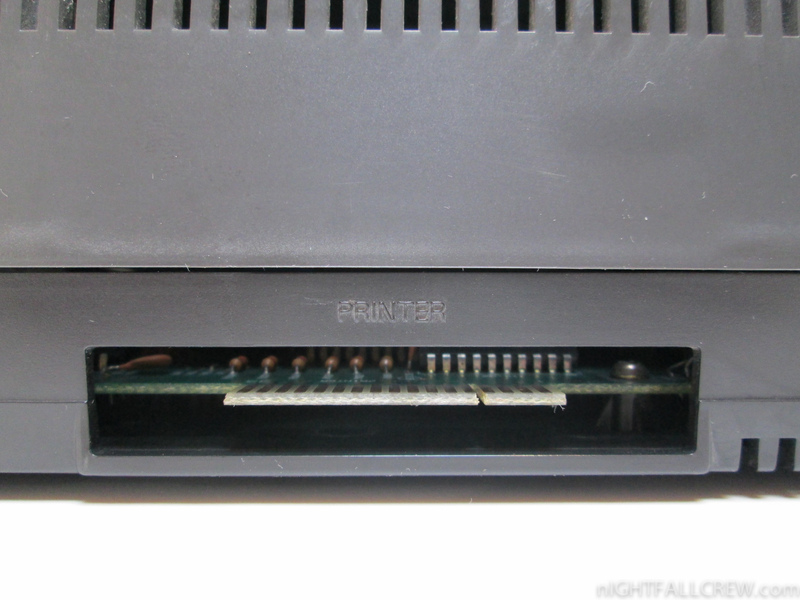 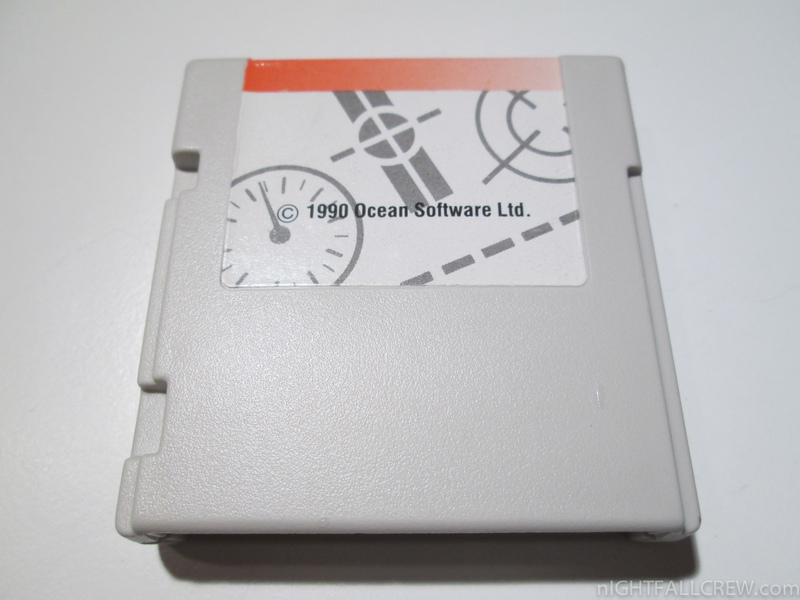 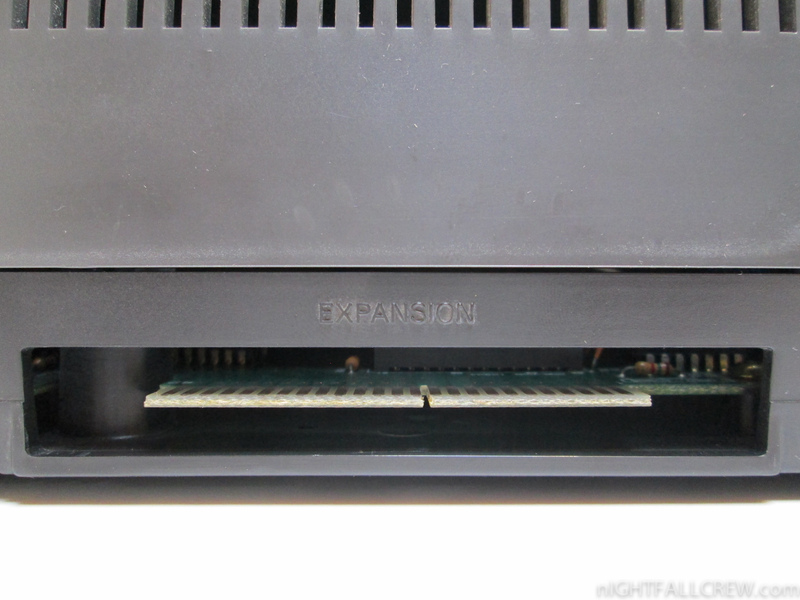 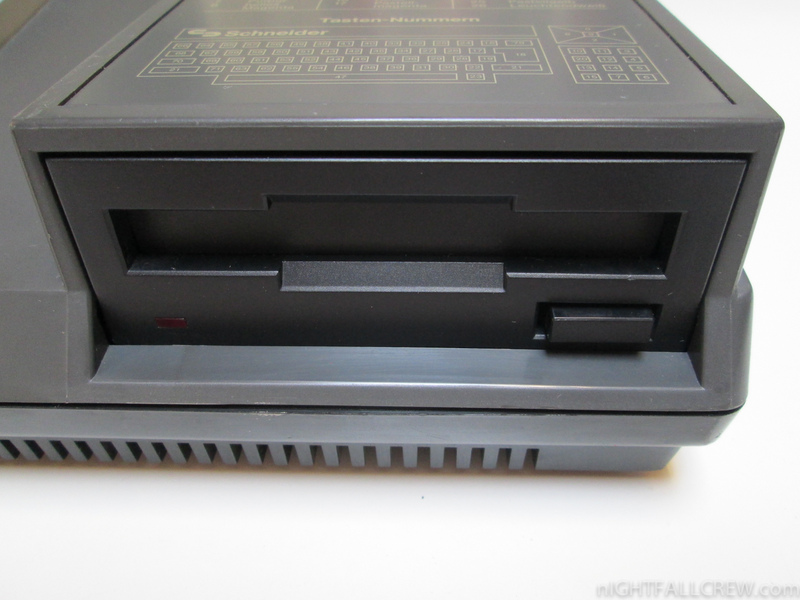 All of the range included a cartridge slot and additional hardware improvements. 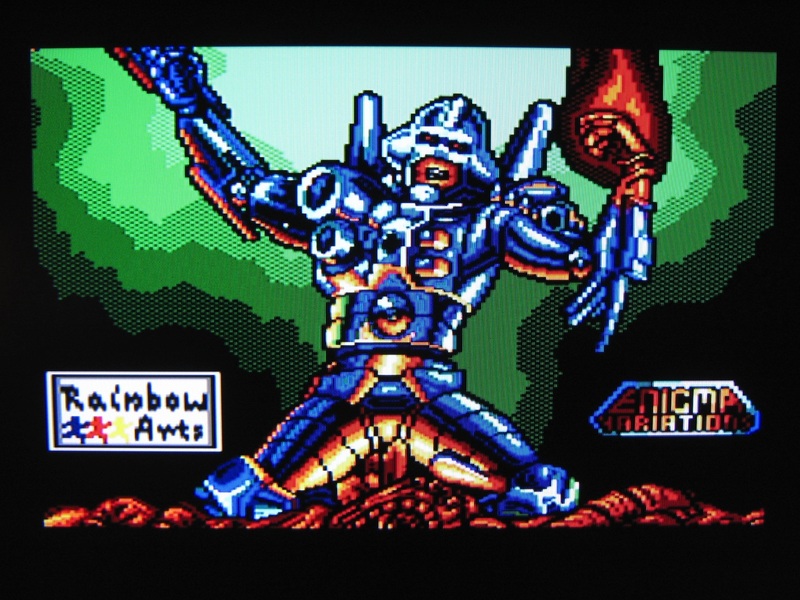 Most improvements were to the video display which saw an increase in palette to 4096 colours and gained the capability of hardware sprites. 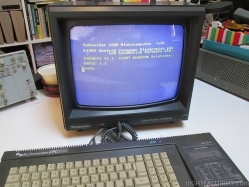 Splitting the display into two separate windows and pixel scrolling both became full supported hardware features although both were possible on the non-”Plus” hardware using clever programming of the existing Motorola 6845. 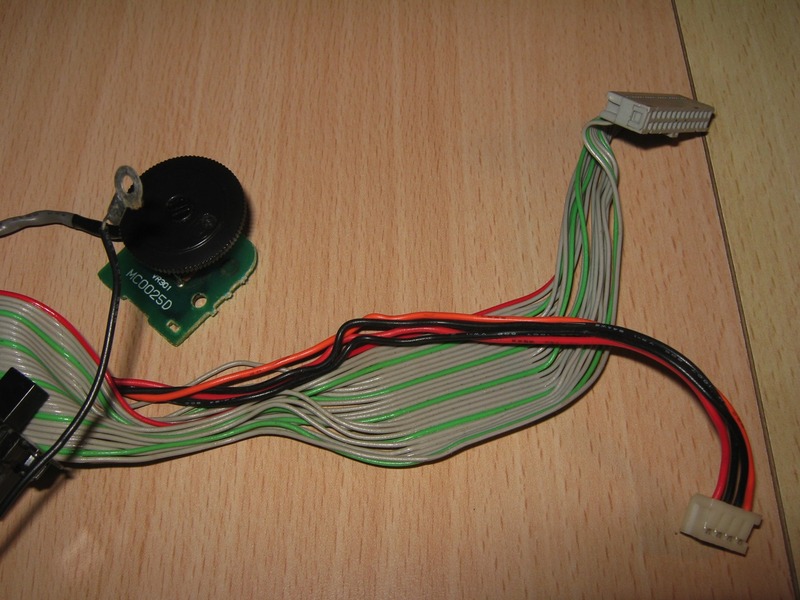 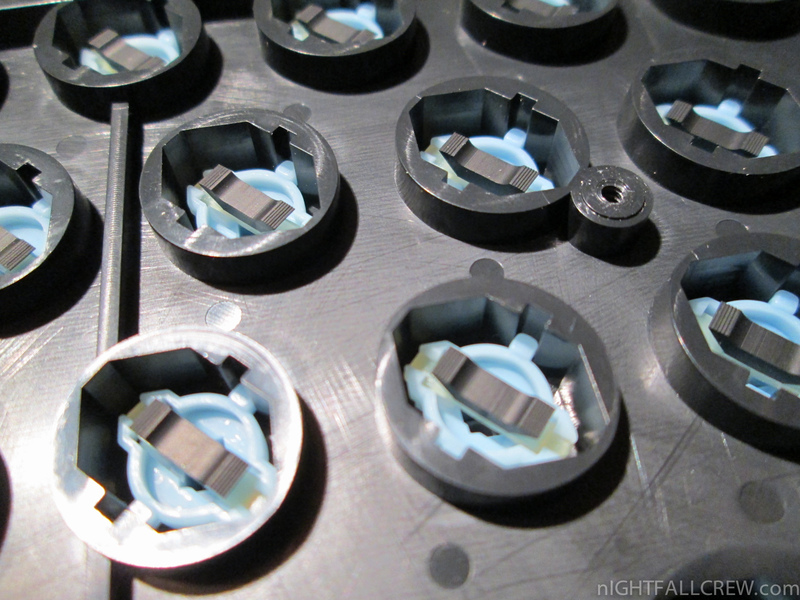 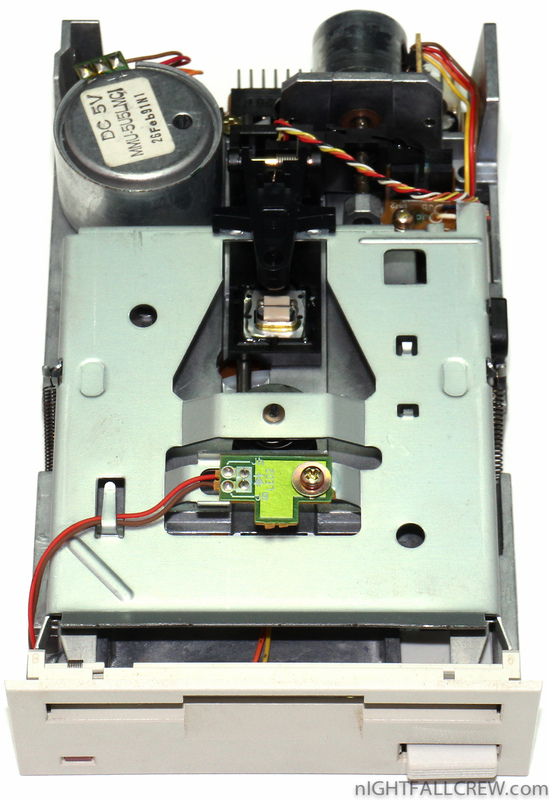 An automatic DMA transfer system for feeding the sound chip was also added but the sound chip itself remained unchanged. 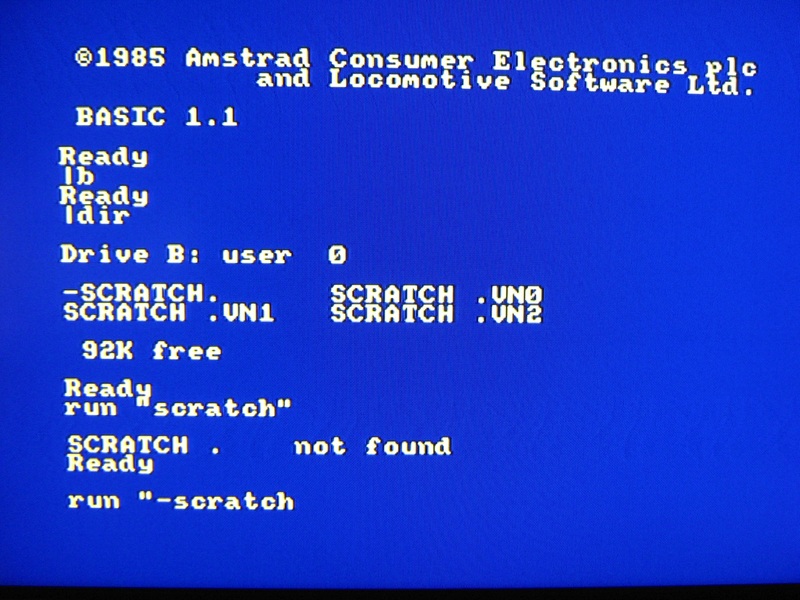 Additionally, the BASIC command set for disc access was improved. 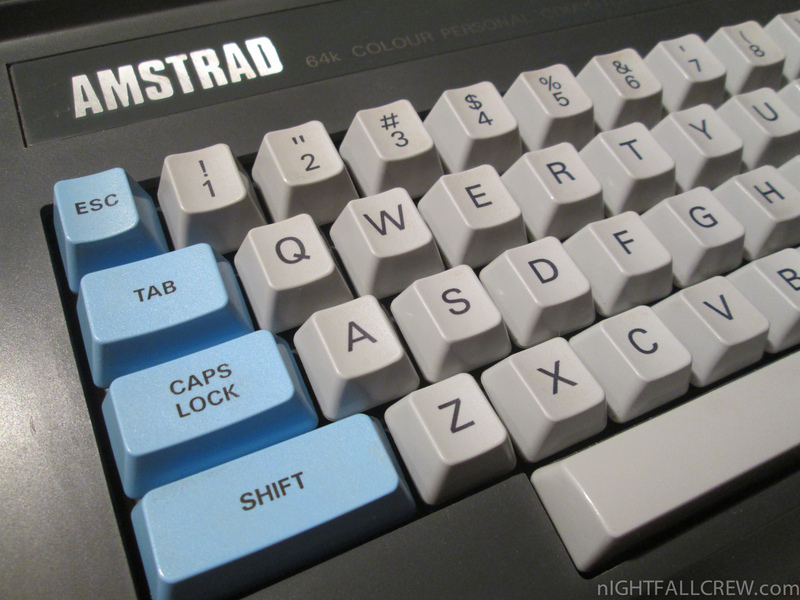 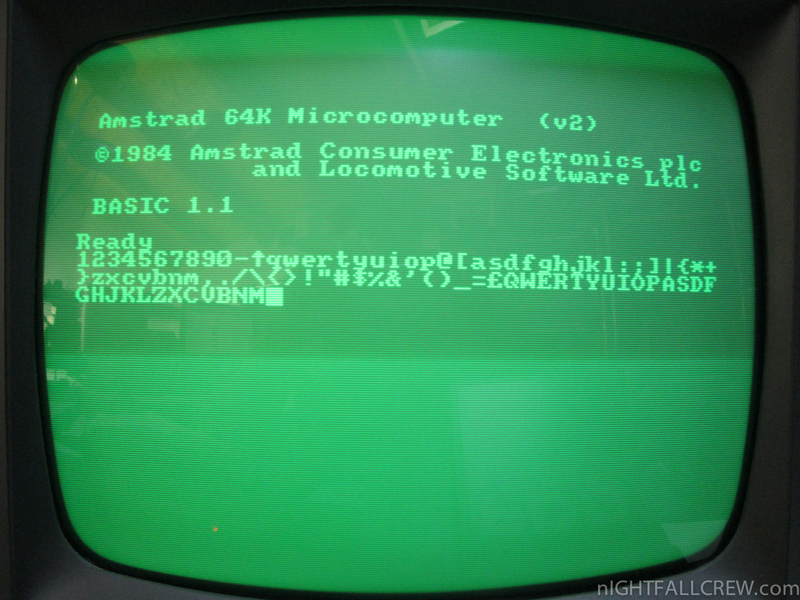 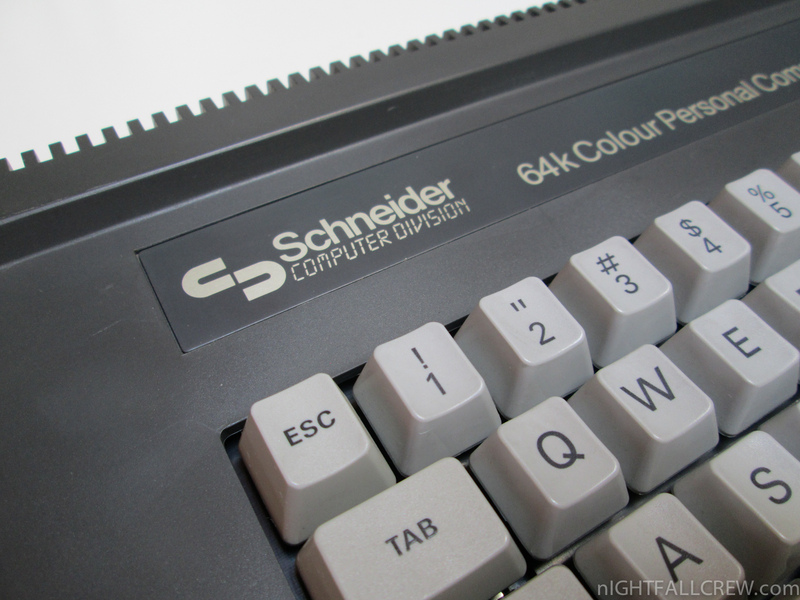 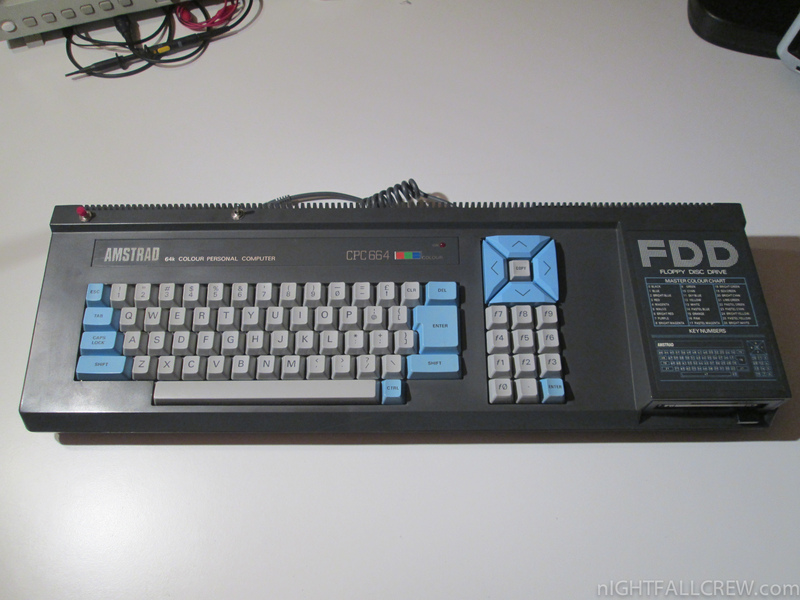 The range was officially titled as ‘Amstrad 464 Plus’, ‘Amstrad 6128 Plus’ and ‘GX4000′ and the ‘CPC’ (standing for Colour Personal Computer) abbreviation used in the older generation was dropped. 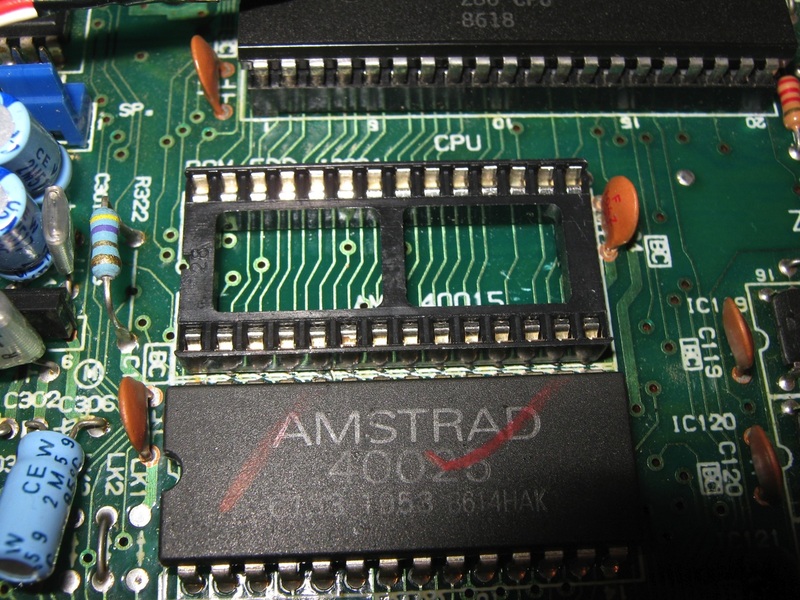 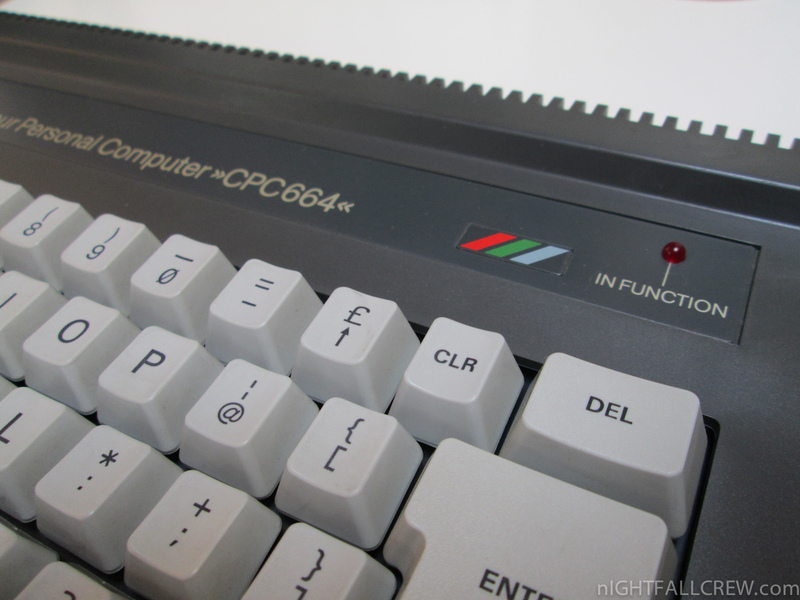 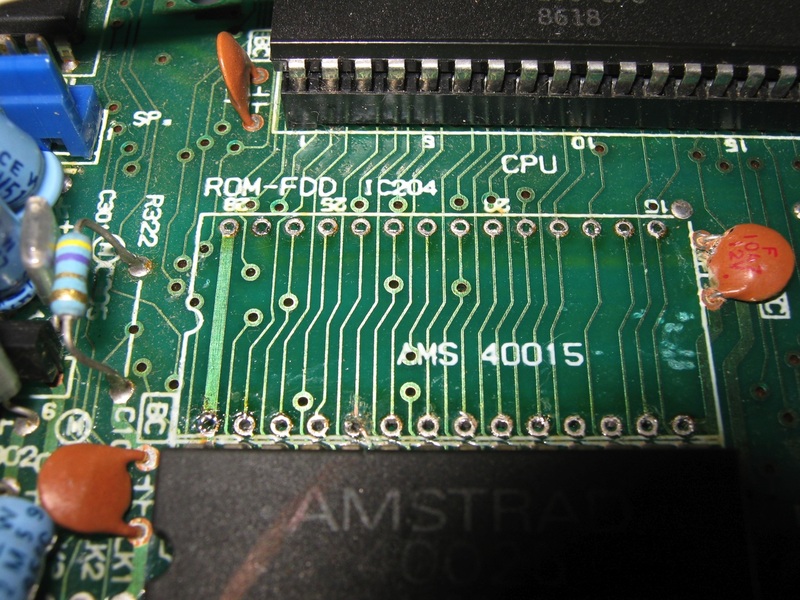 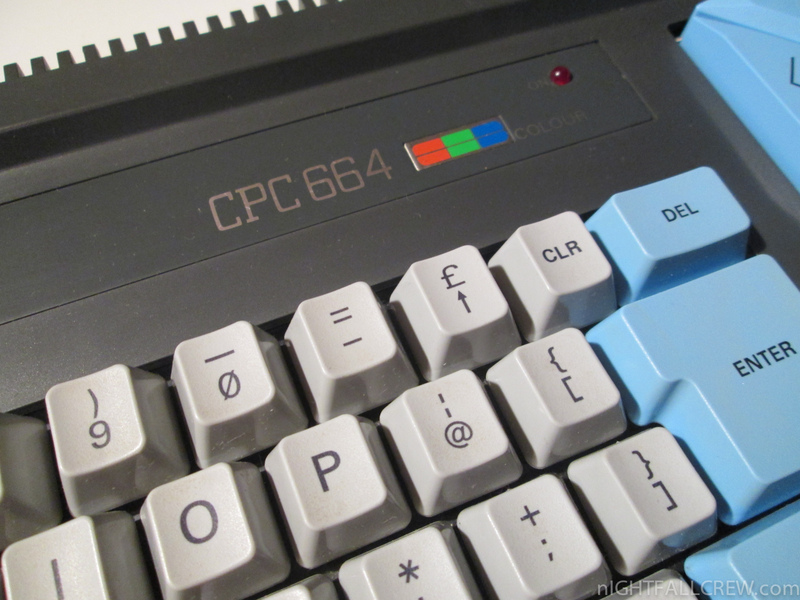 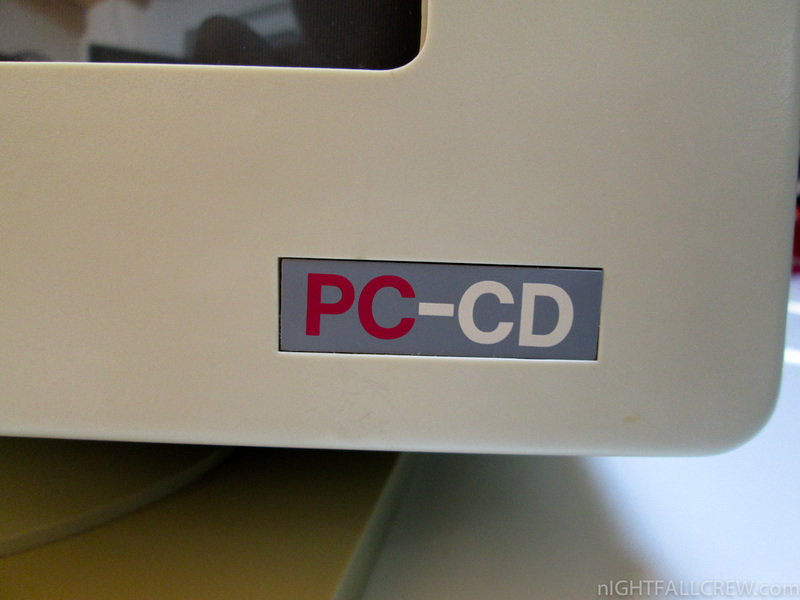 However, many Amstrad users refer to the Plus range as ‘CPC Plus’ or ‘CPC+’ due to the inherent similarities of the two ranges. 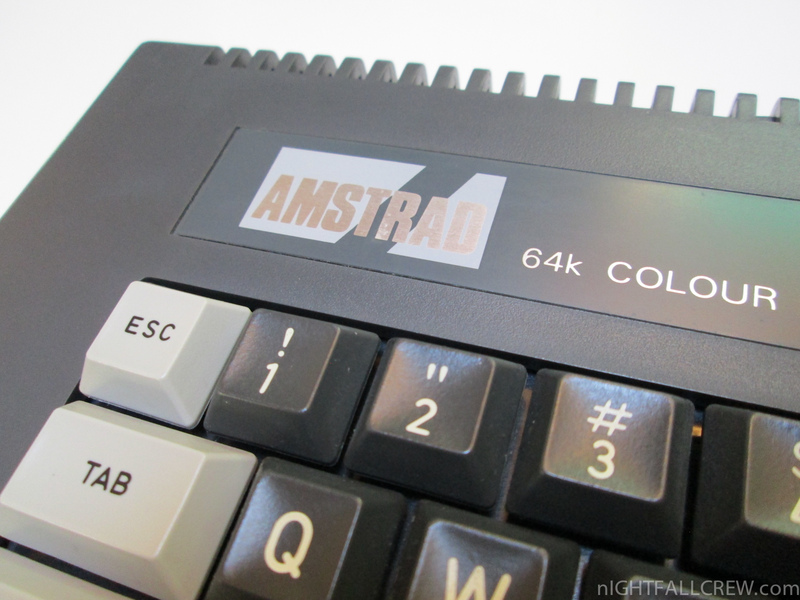 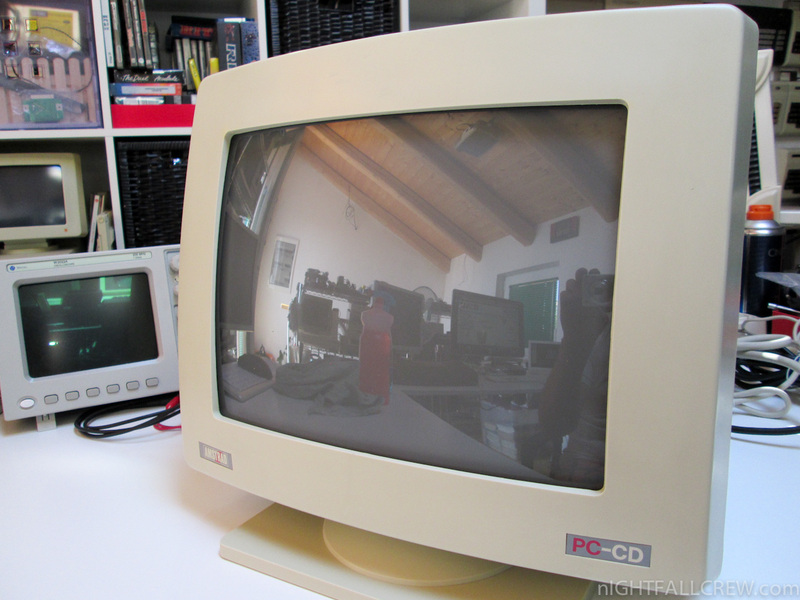 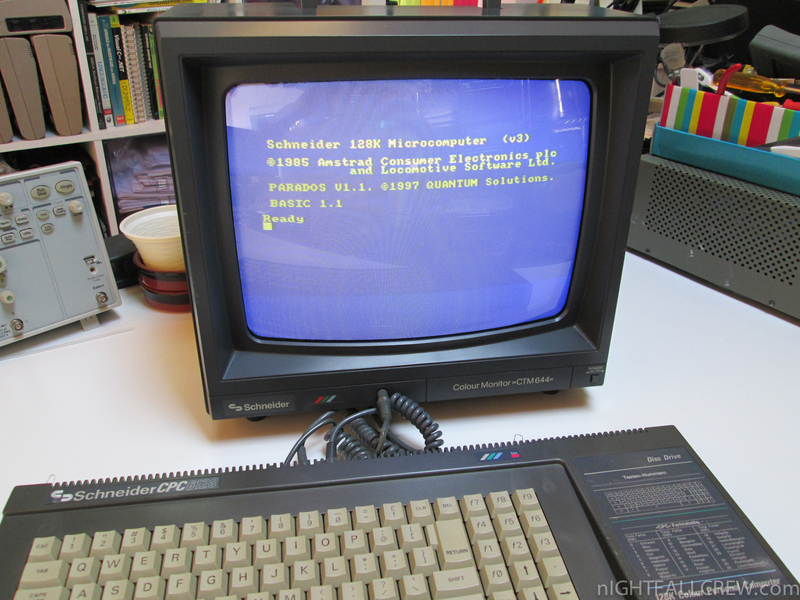 The Amstrad (Schneider) CTM640/CTM644 are two colour monitors sold together with the classic CPC-computers. 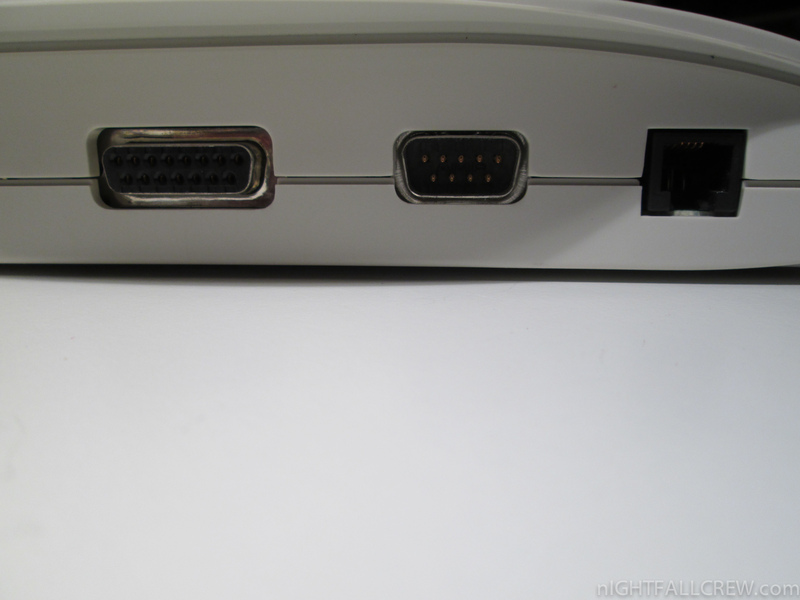 Optionally, the computer could have been purchased with GT64/GT65 green monitors. 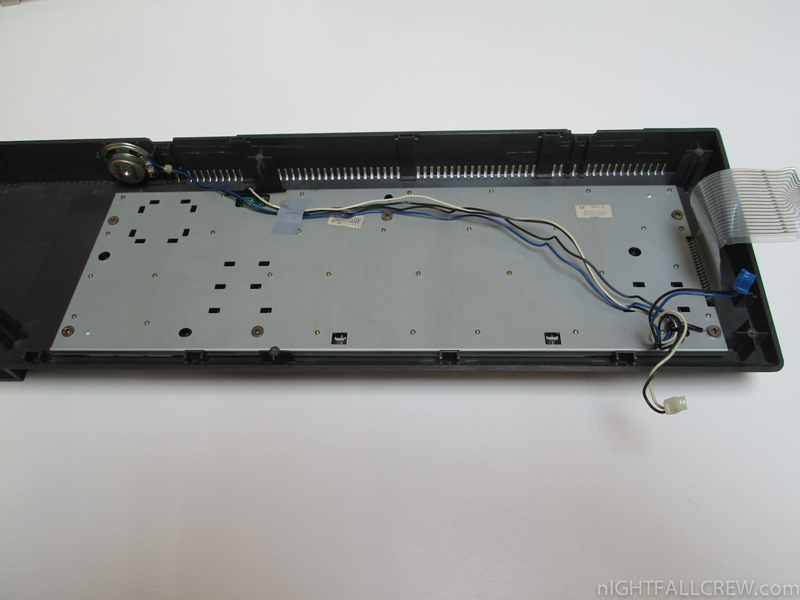 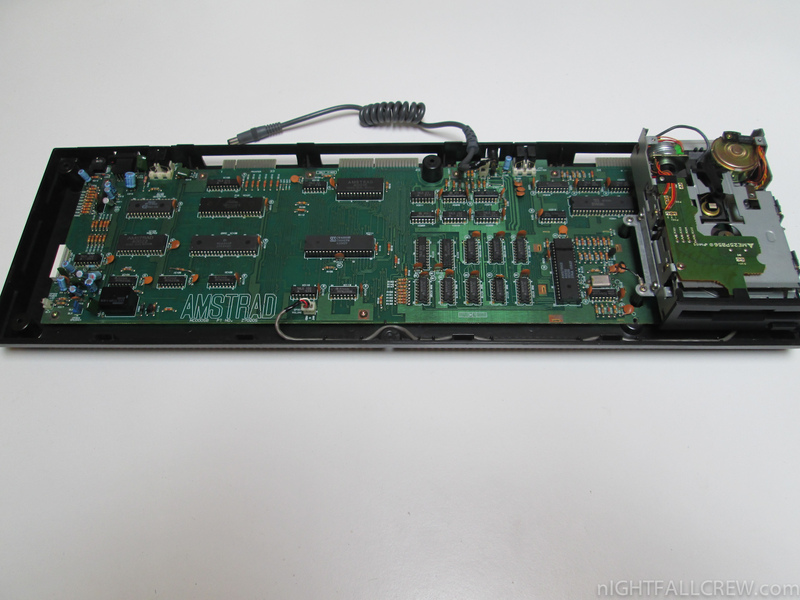 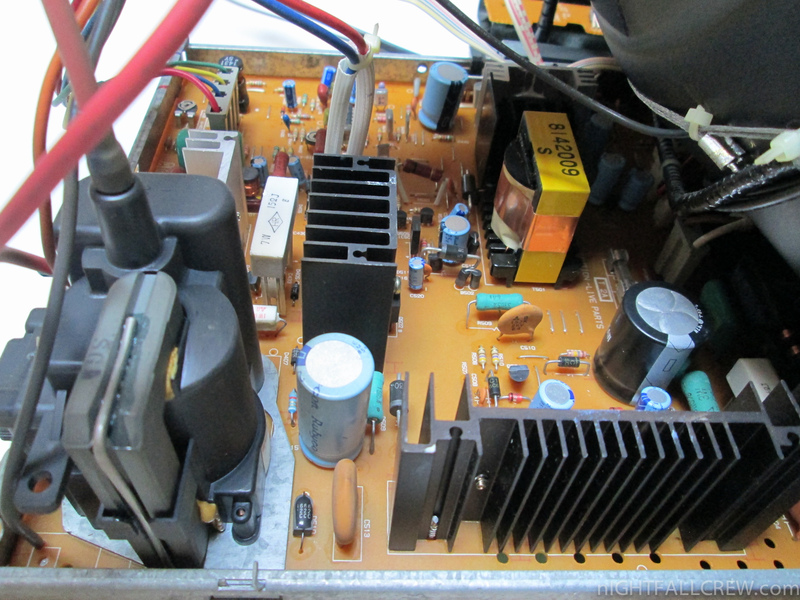 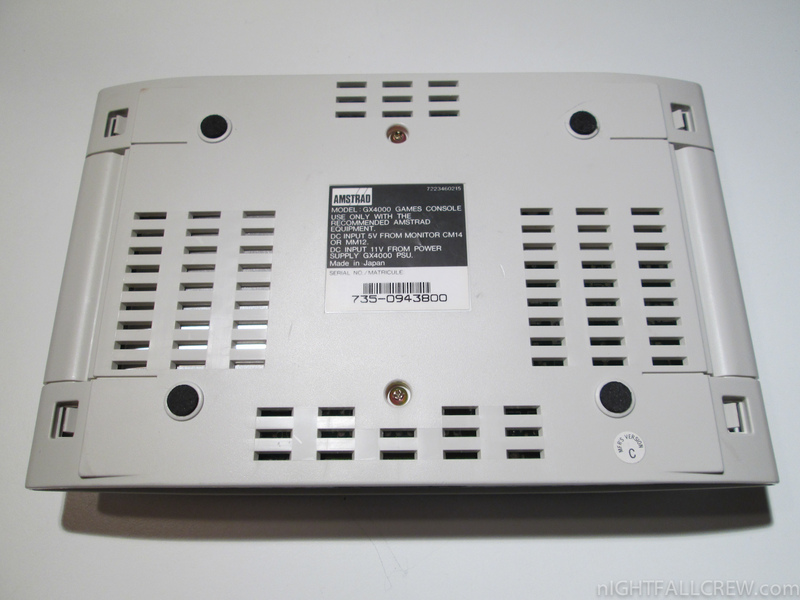 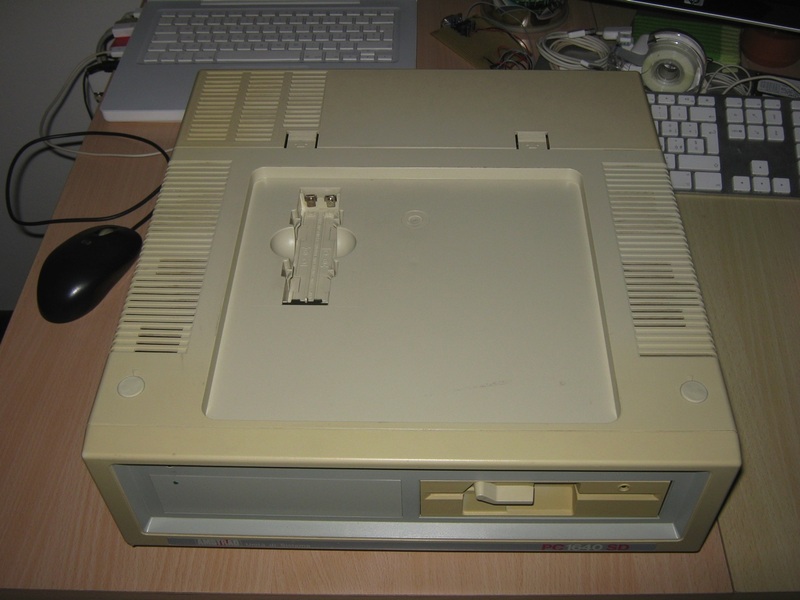 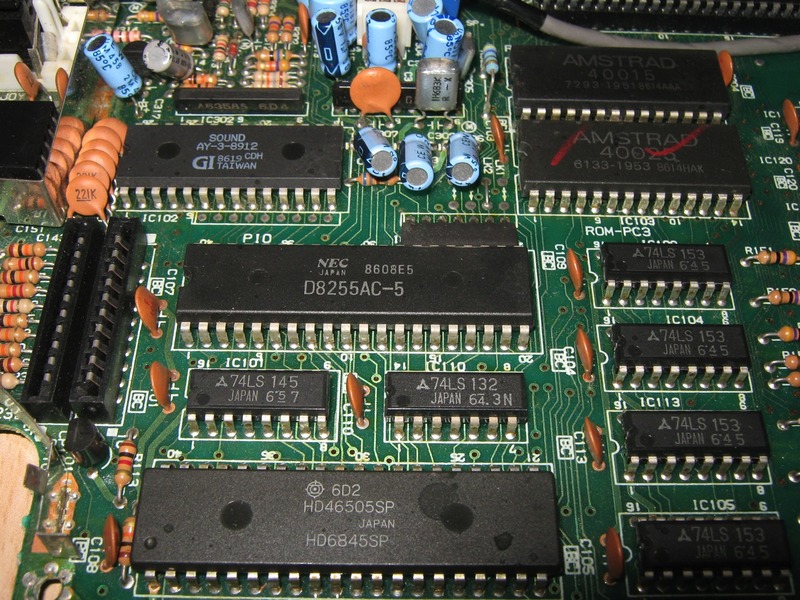 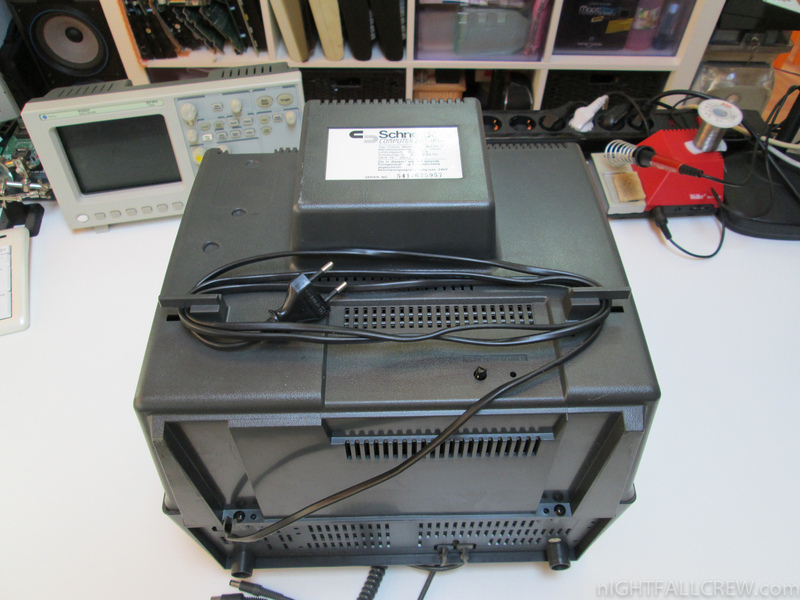 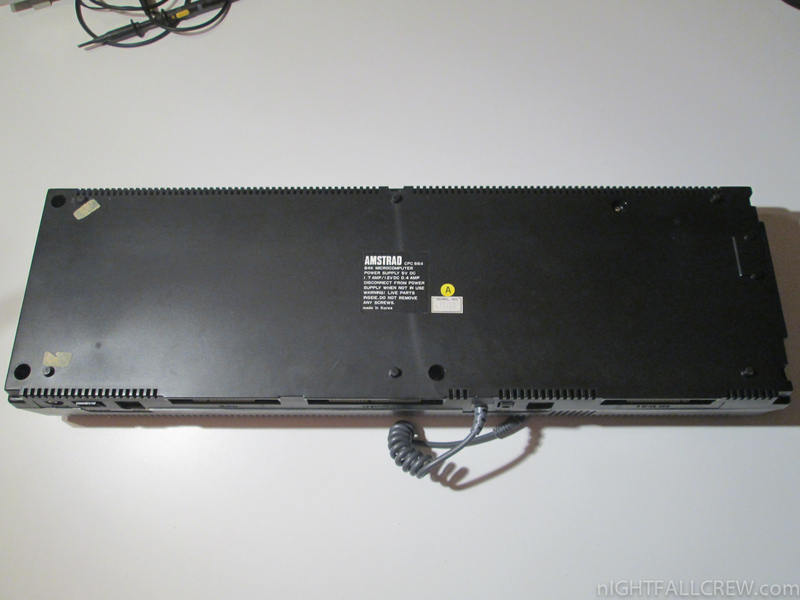 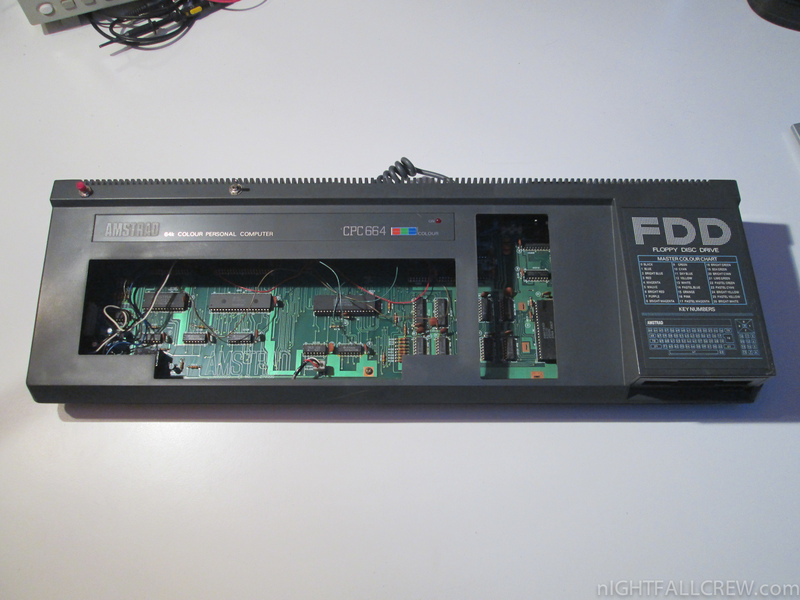 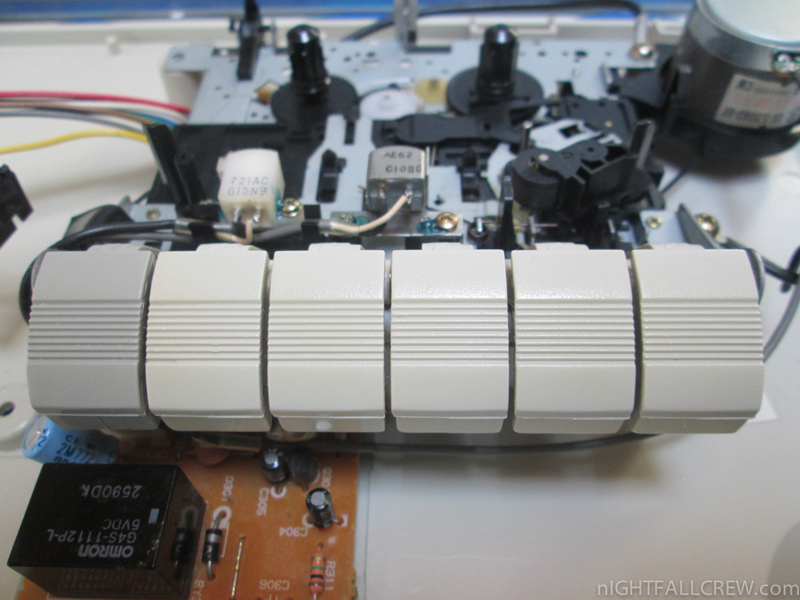 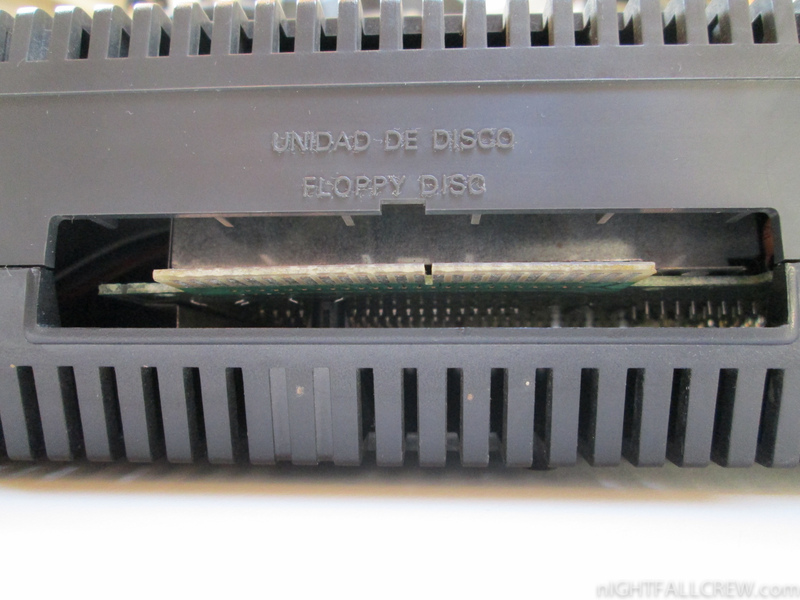 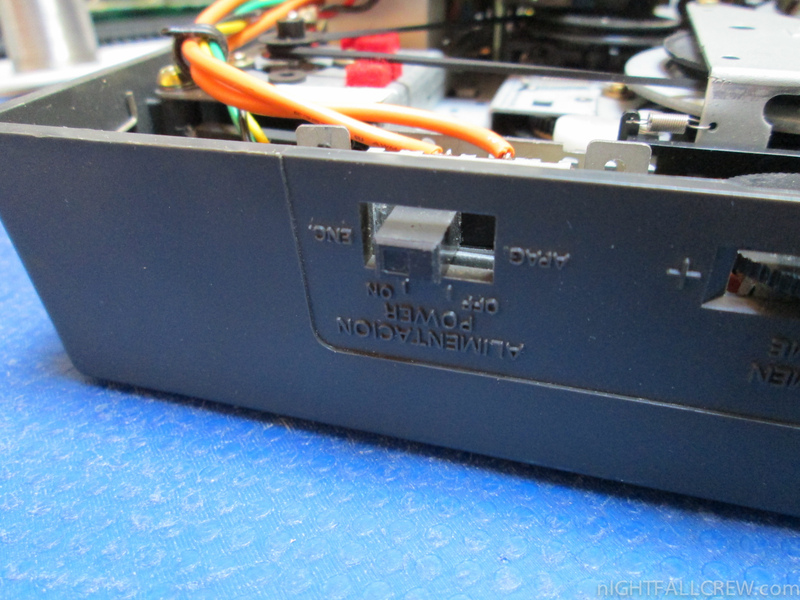 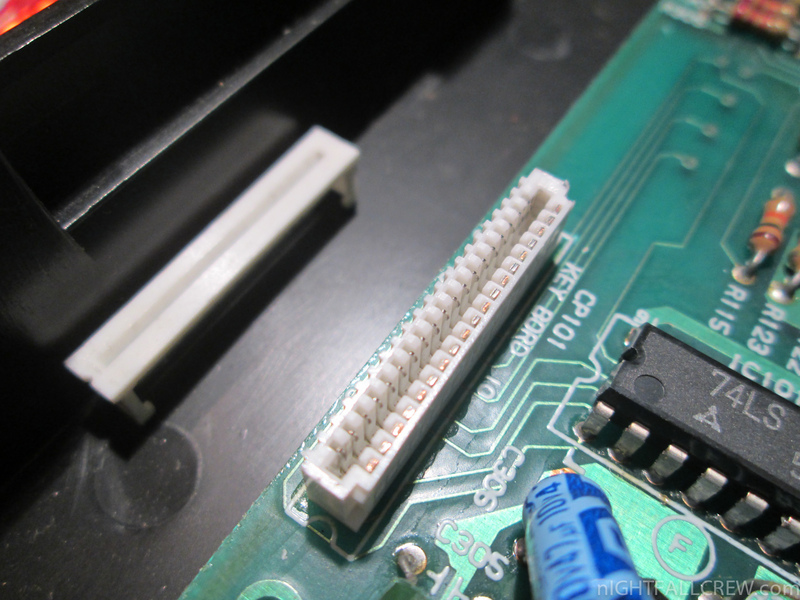 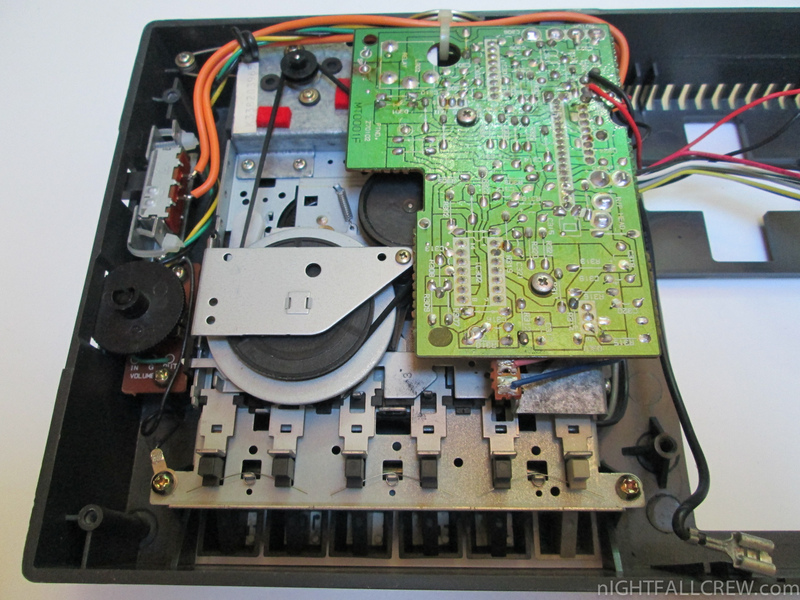 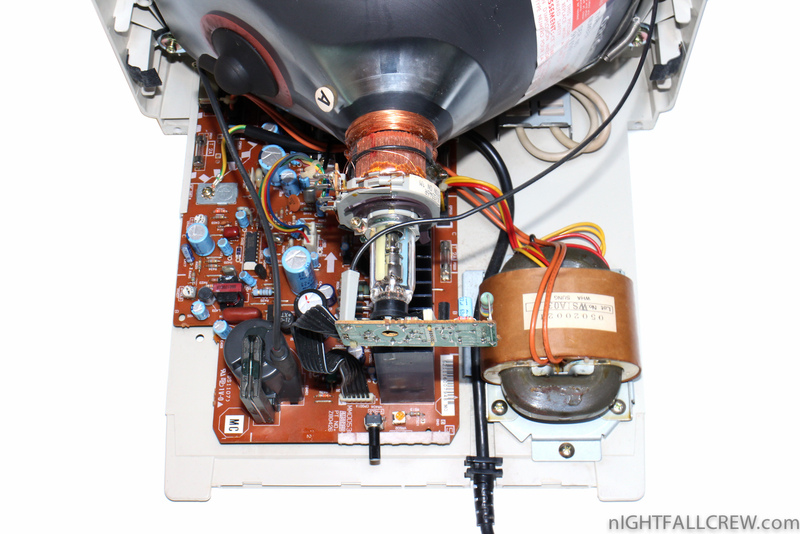 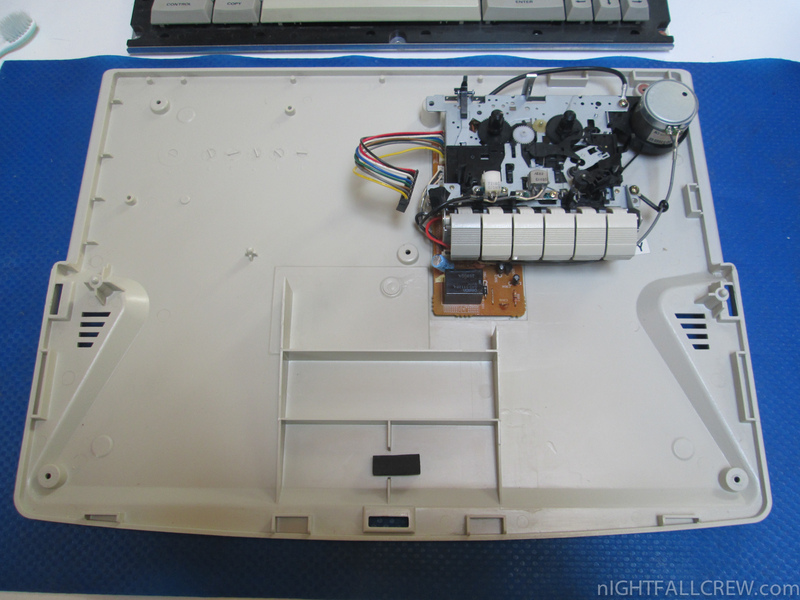 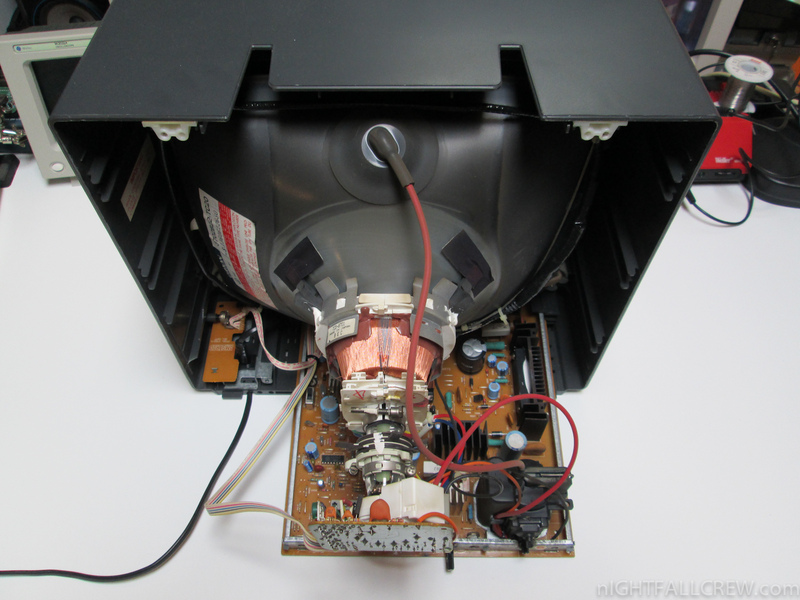 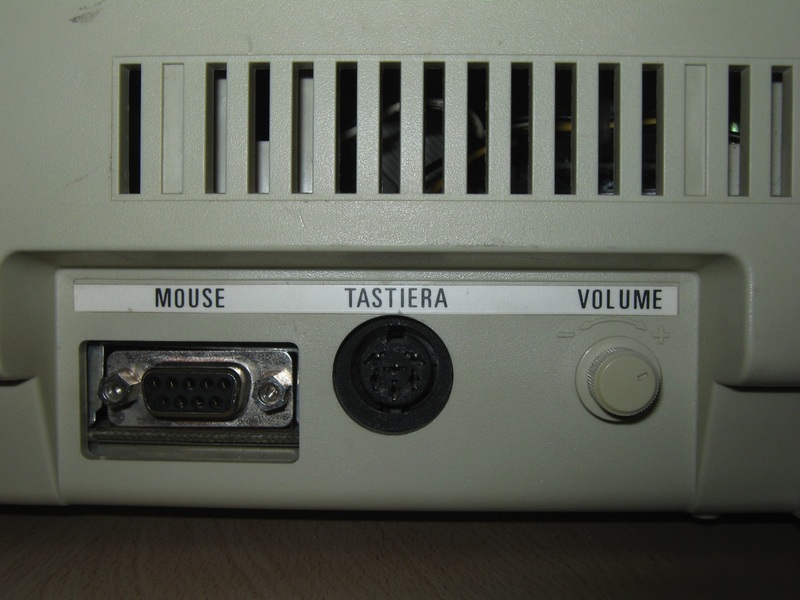 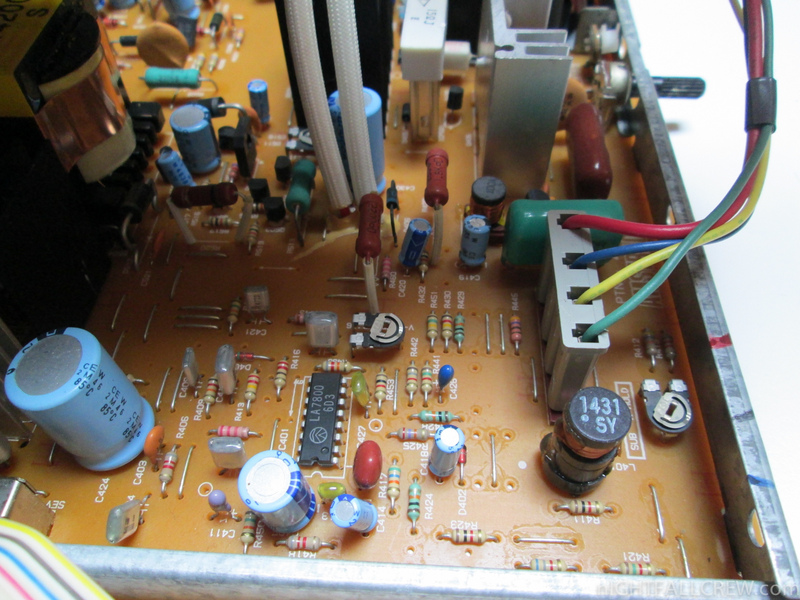 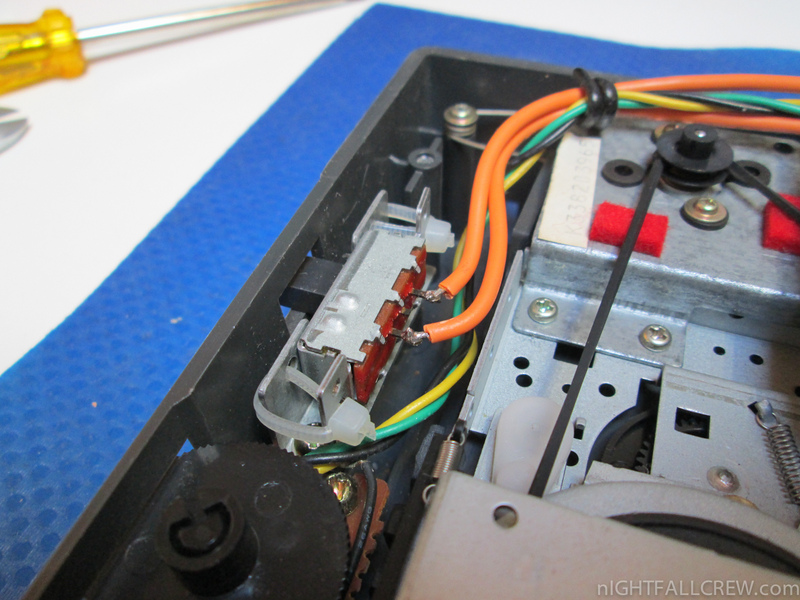 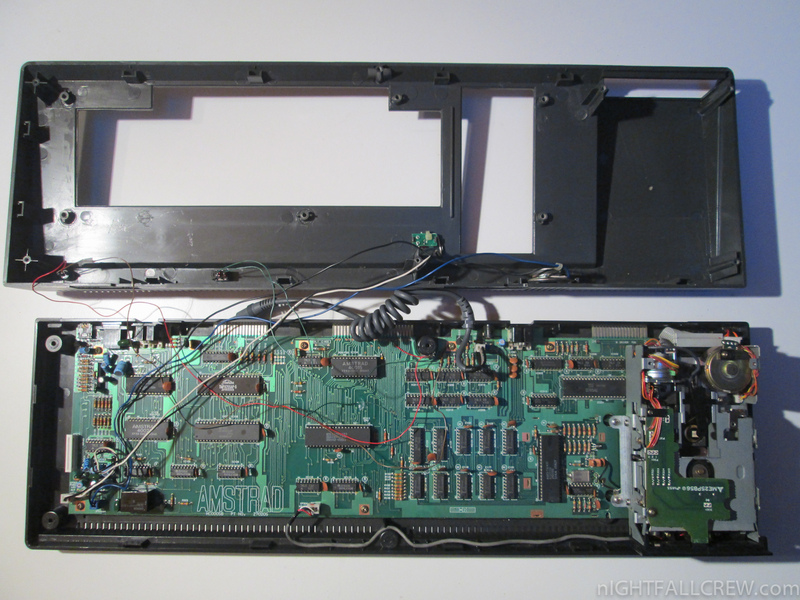 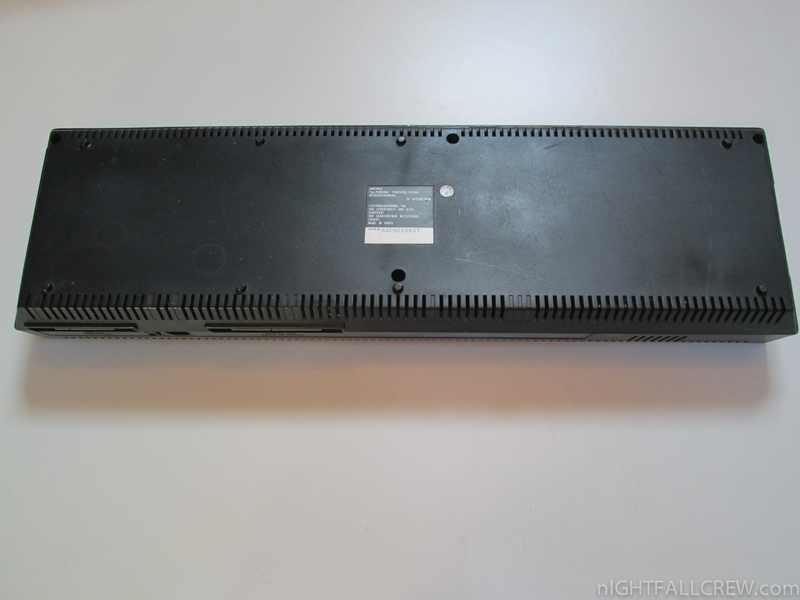 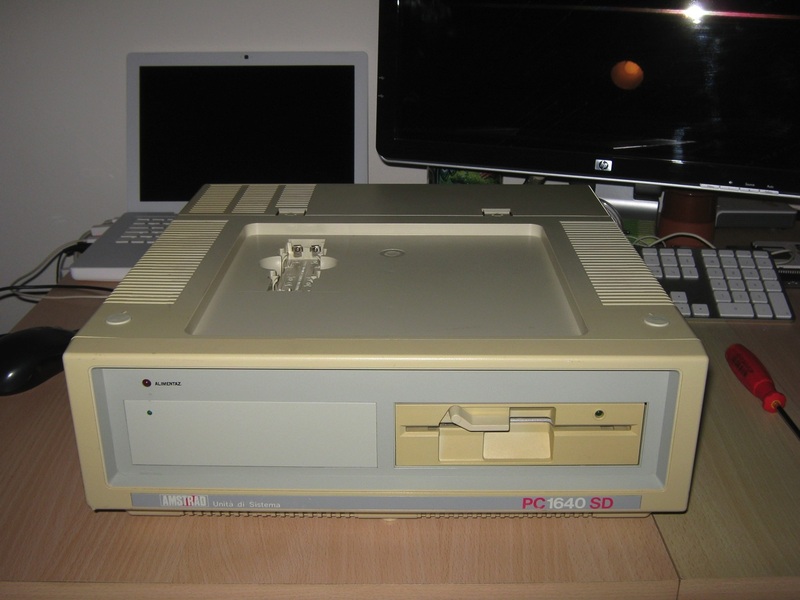 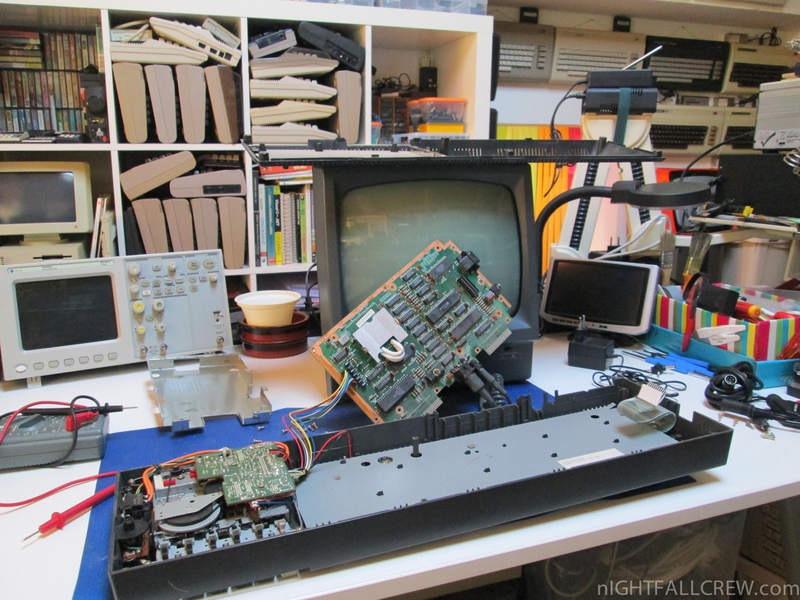 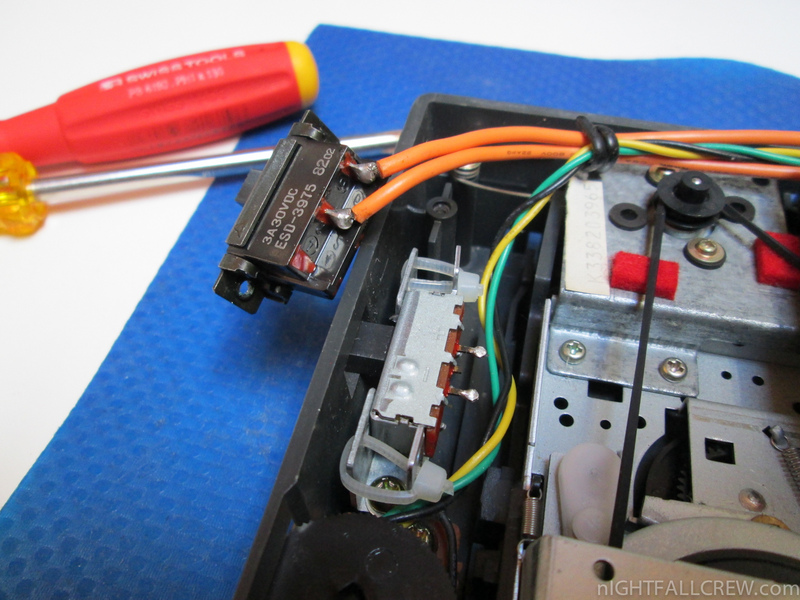 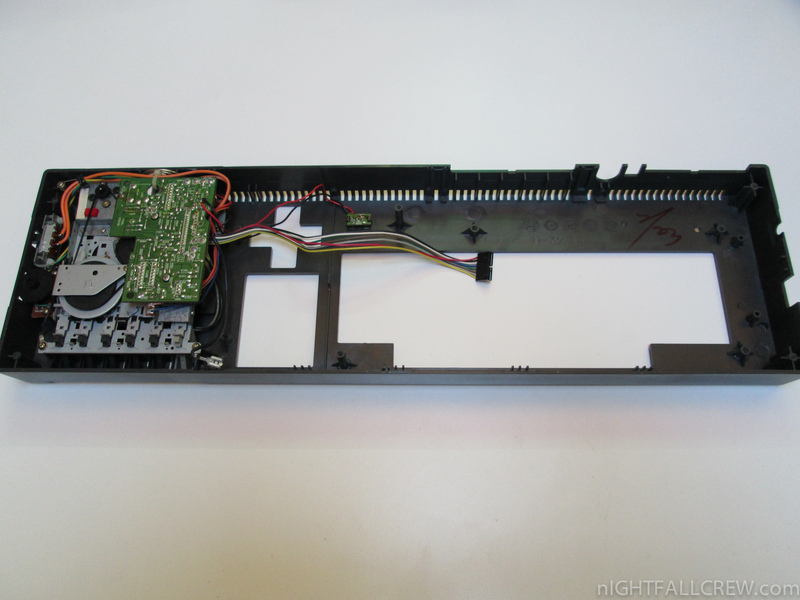 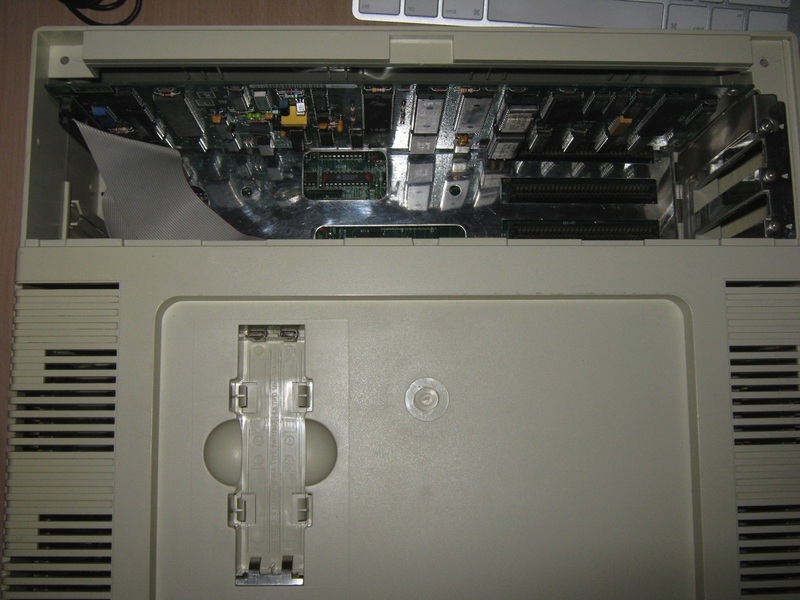 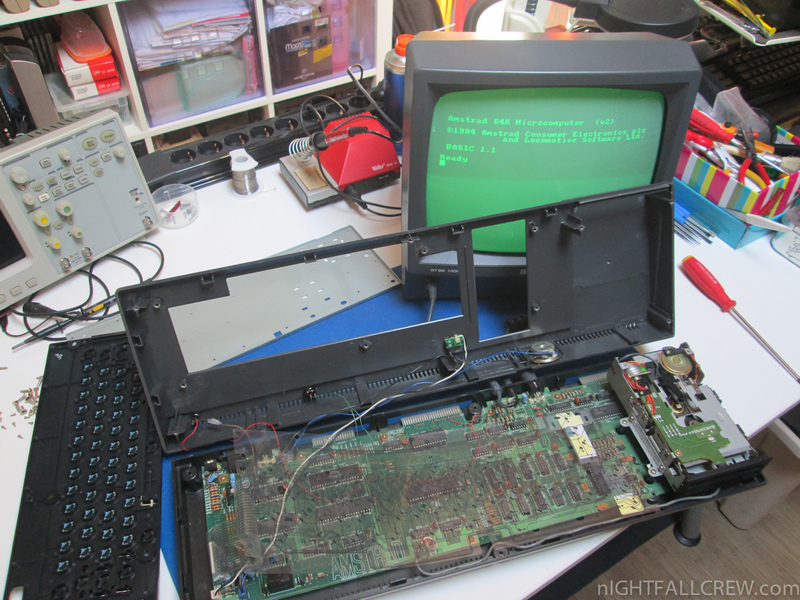 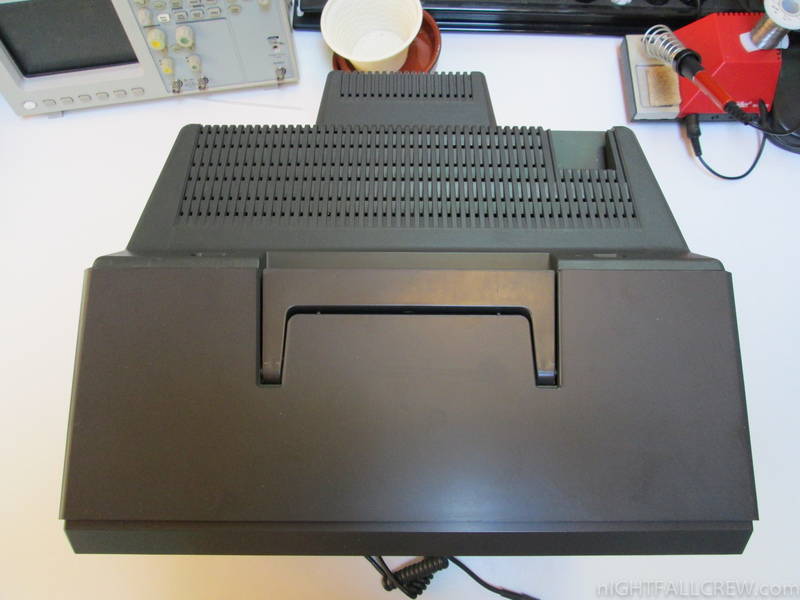 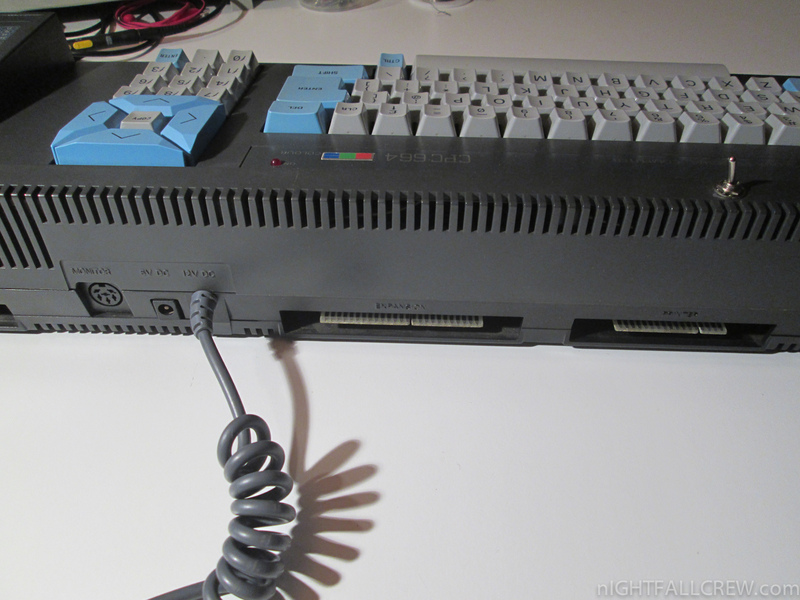 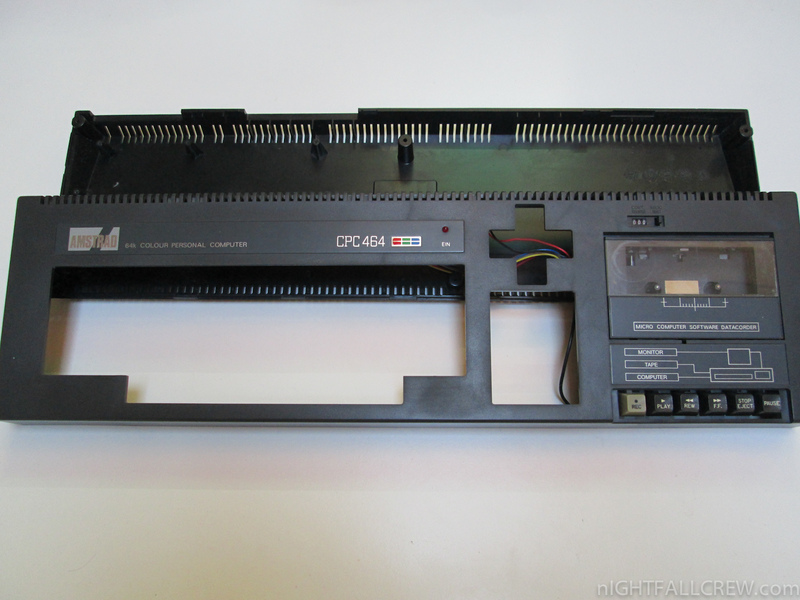 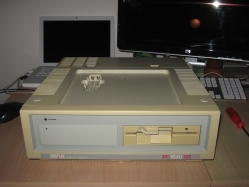 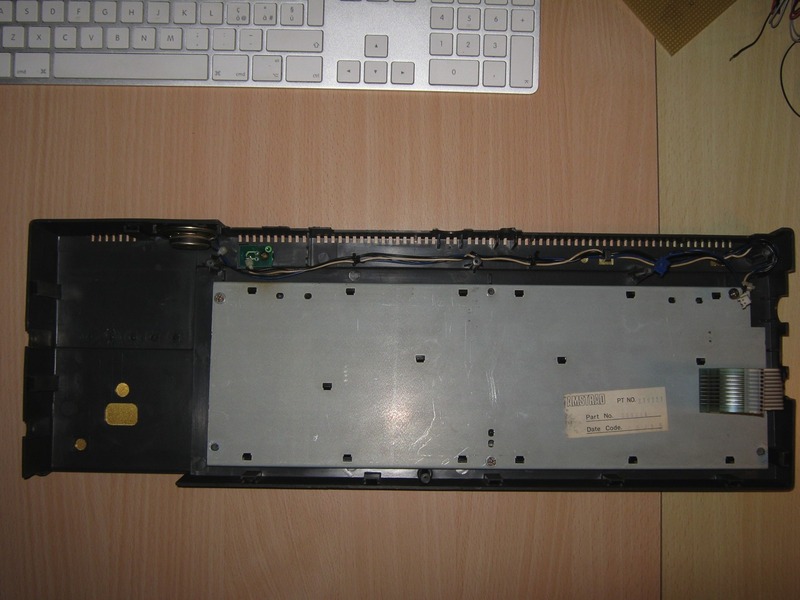 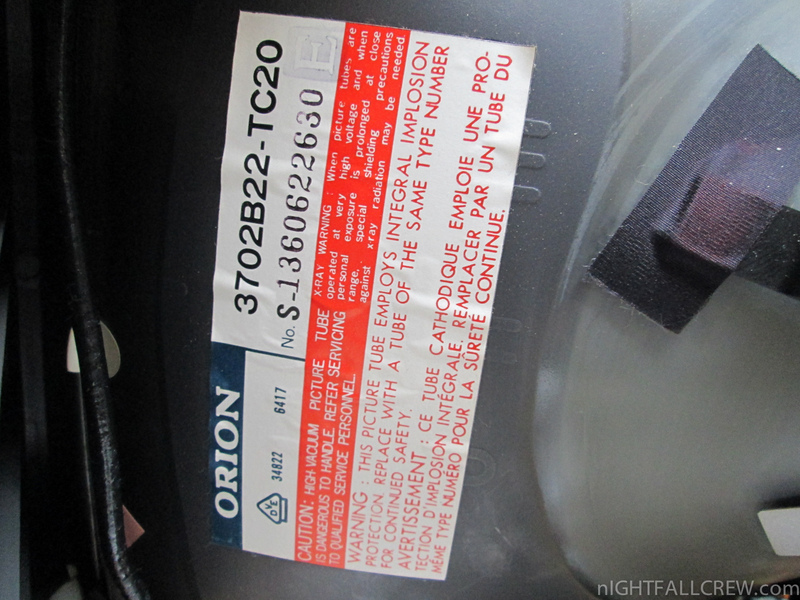 The only difference between the CTM640 and CTM644 models is the additional 12V power supply for the CPC664/CPC6128′s disk drive in the later model. 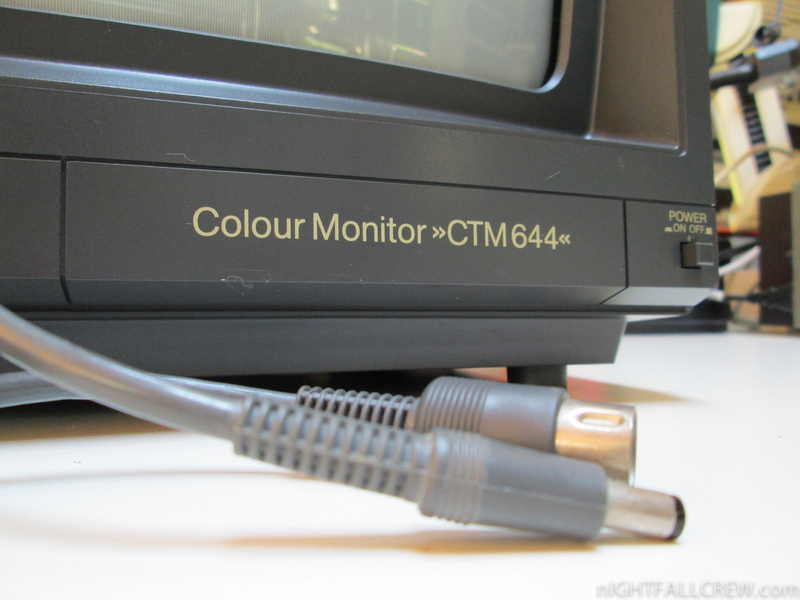 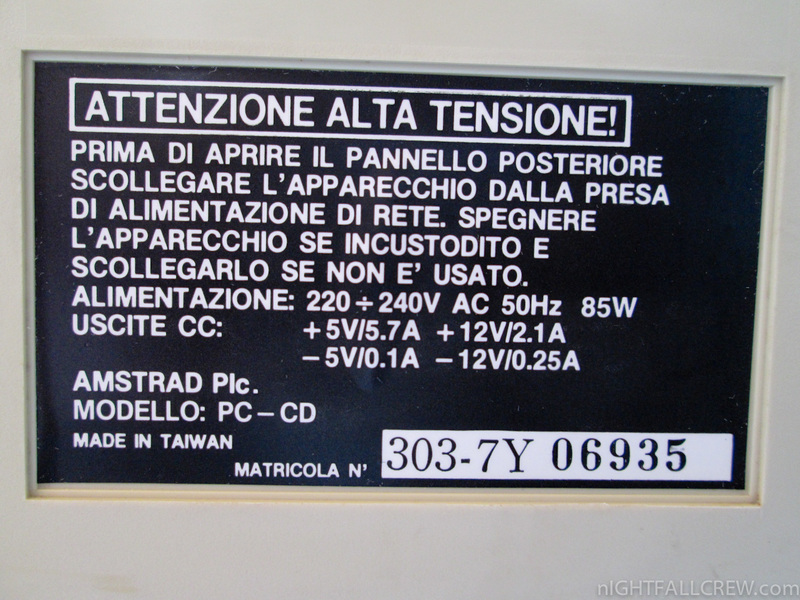 With the arrival of the CPC664 and CPC6128 models, the existing stock of CTM640 monitors was sold out and later only CTM644 monitors were sold, even with the CPC464. 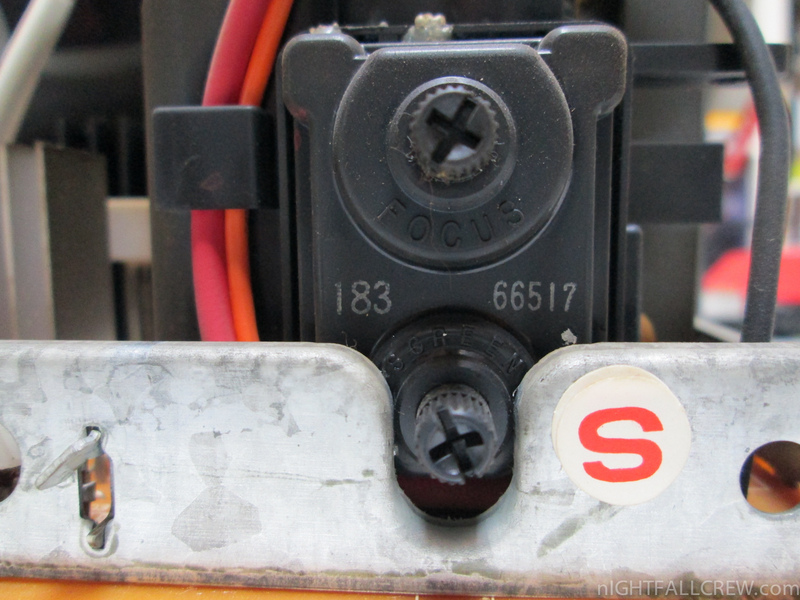 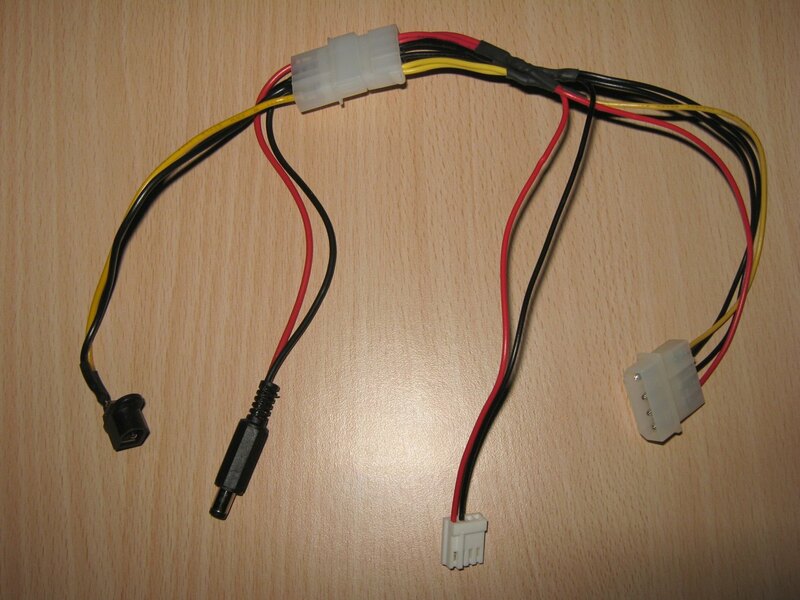 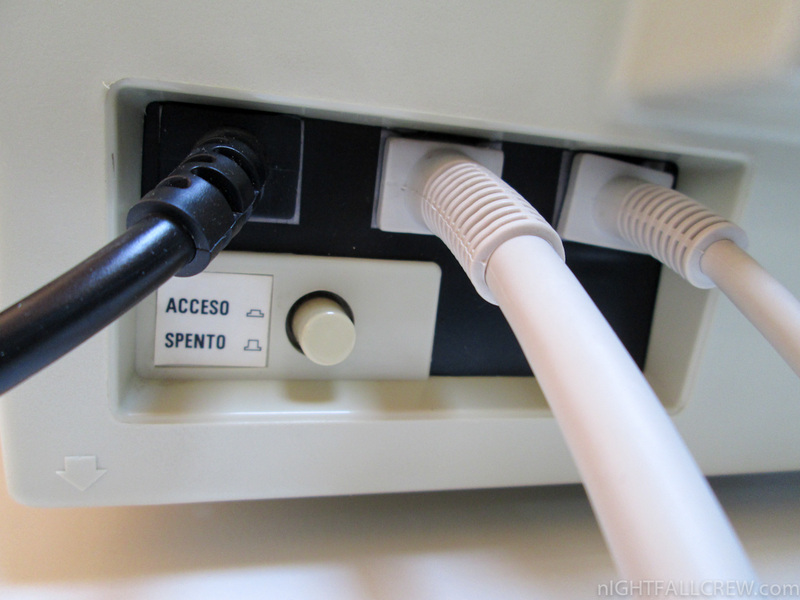 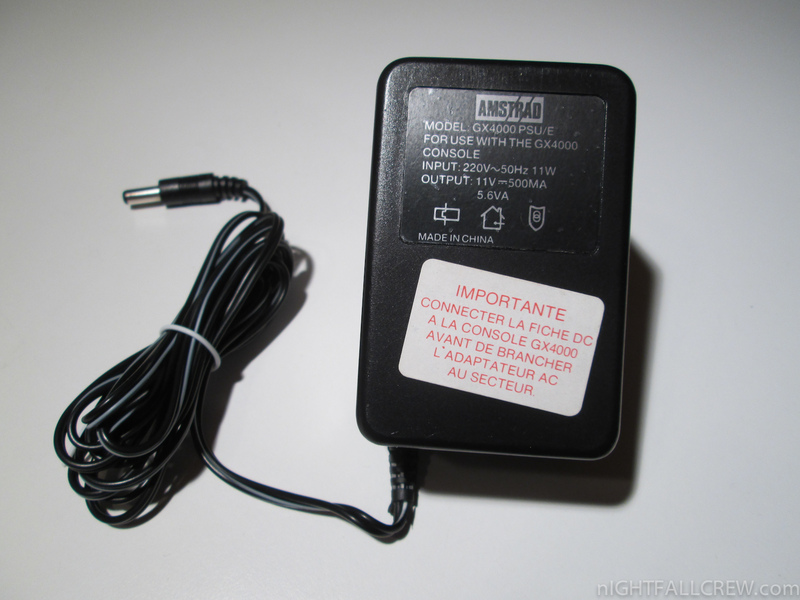 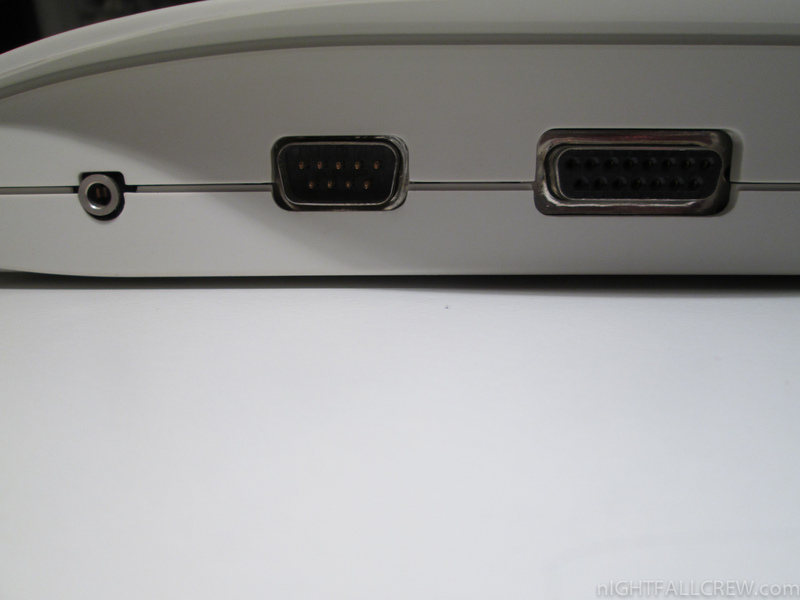 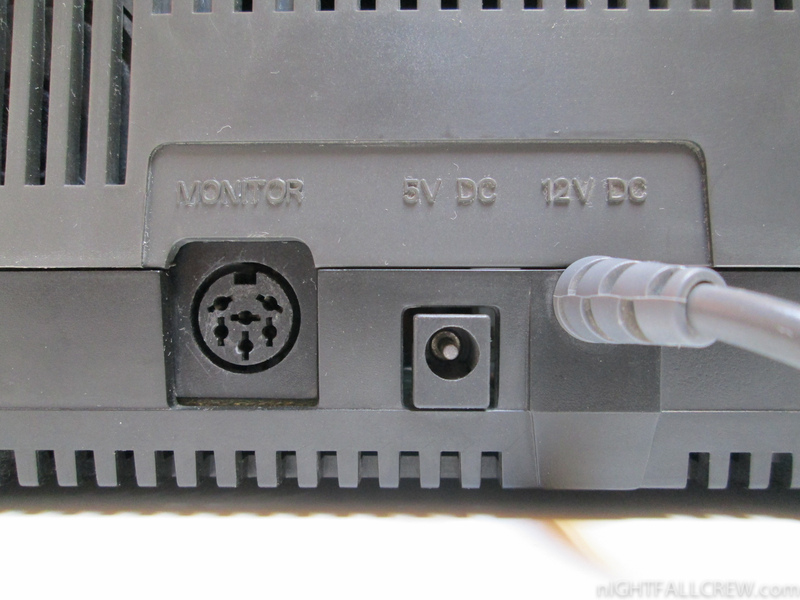 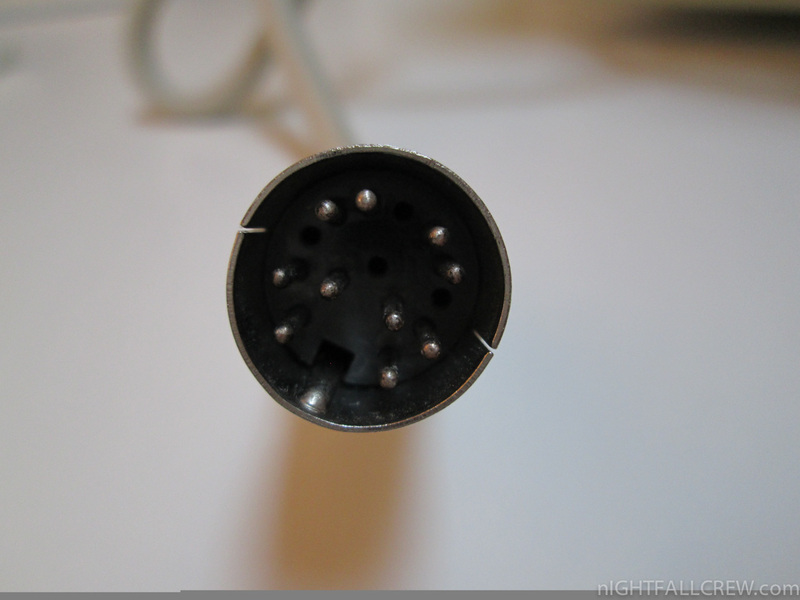 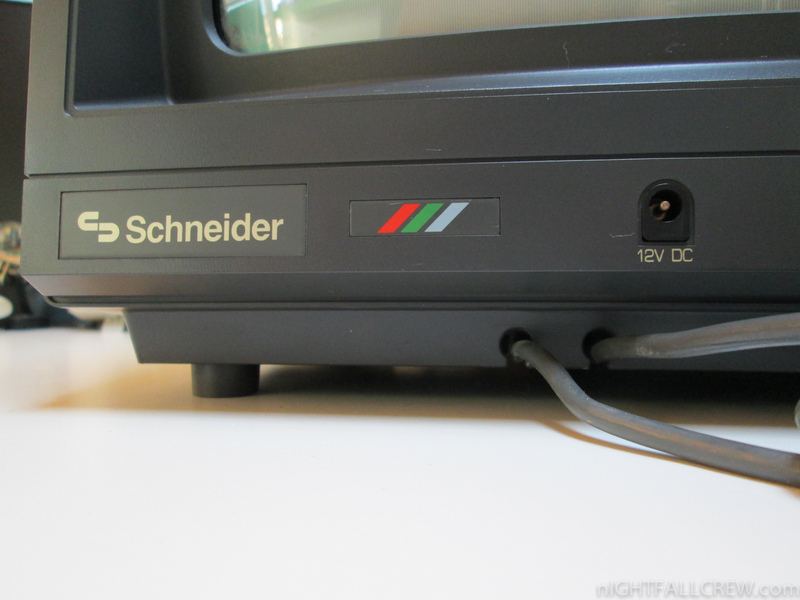 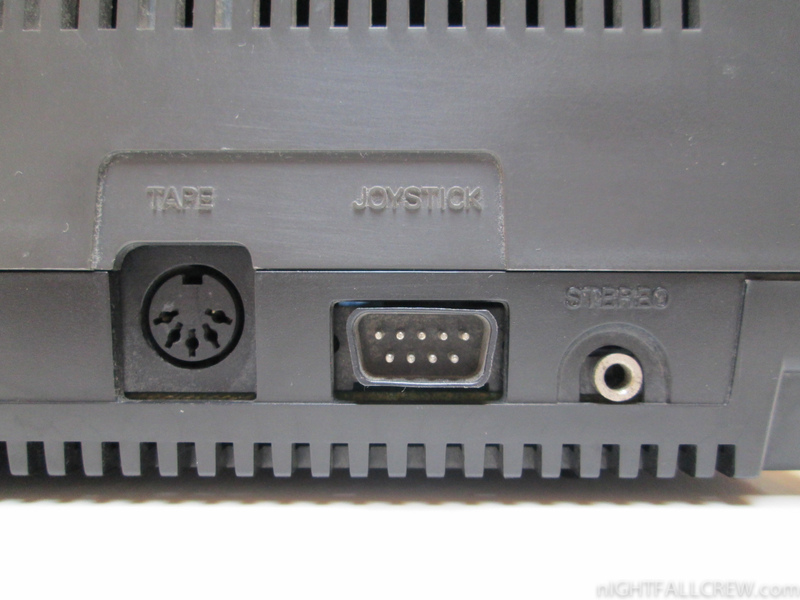 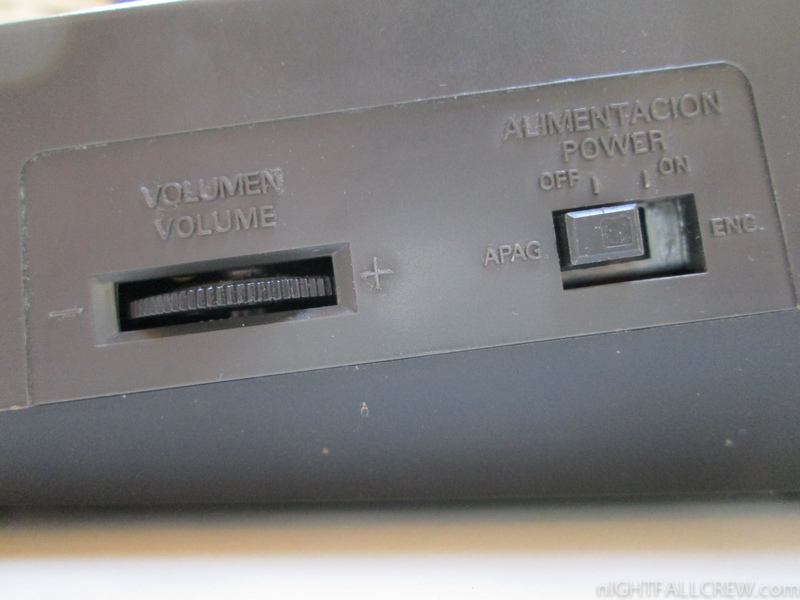 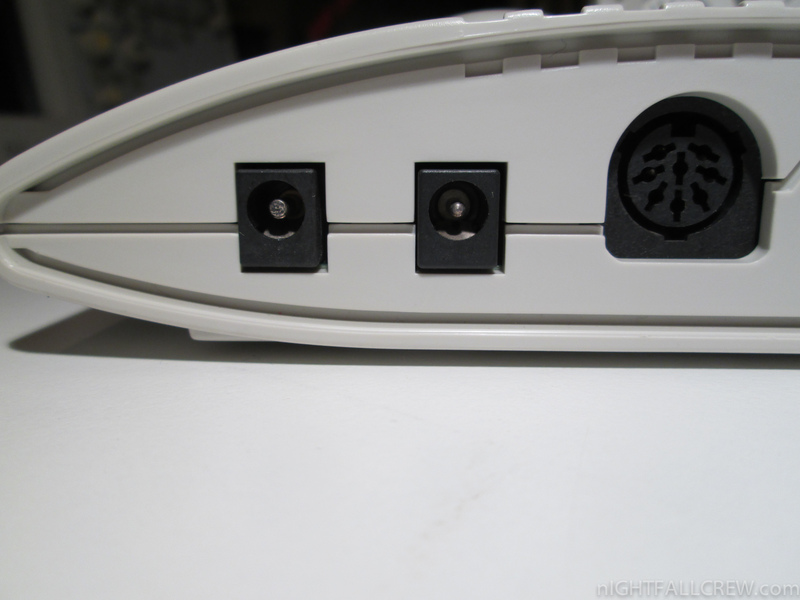 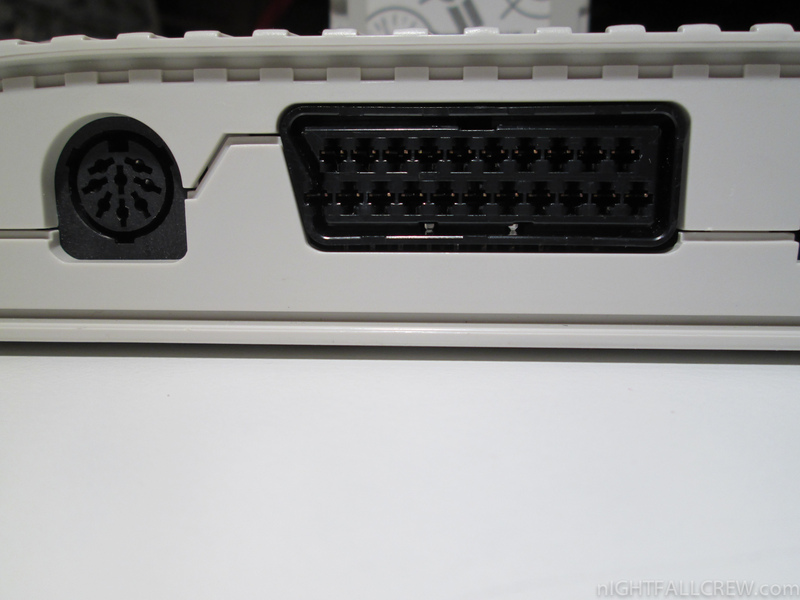 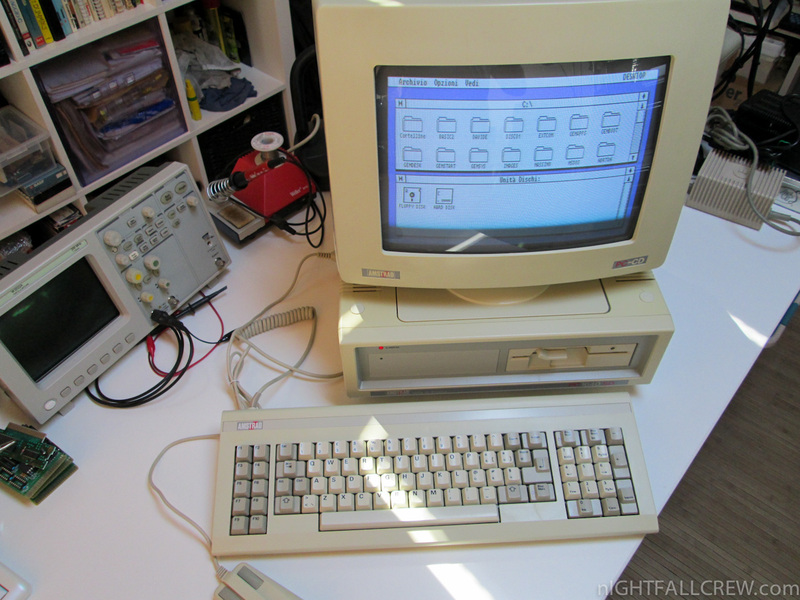 For that reason, the 12V power outlet was designed as a socket for a cable coming from the CPC, while all other connections were made with cables coming from the monitor. 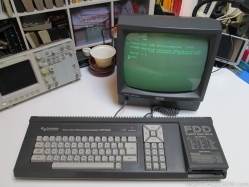 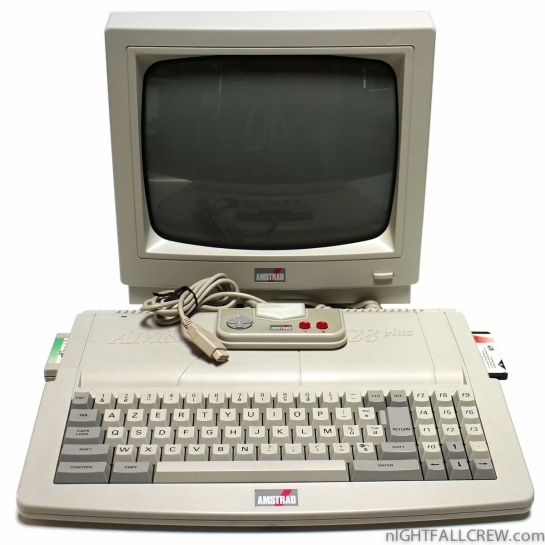 The Amstrad CPC (short for Colour Personal Computer) is a series of 8-bit home computers produced by Amstrad between 1984 and 1990. 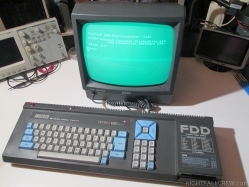 It was designed to compete in the mid-1980s home computer market dominated by the Commodore 64 and the Sinclair ZX Spectrum, where it successfully established itself primarily in the United Kingdom, France, Spain, and the German-speaking parts of Europe. 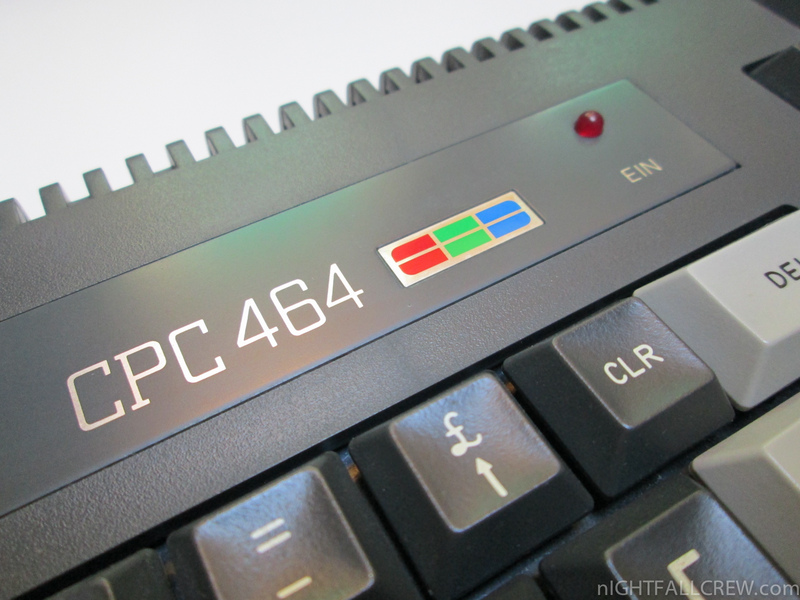 The series spawned a total of six distinct models: The CPC464, CPC664, and CPC6128 were highly successful competitors in the European home computer market. 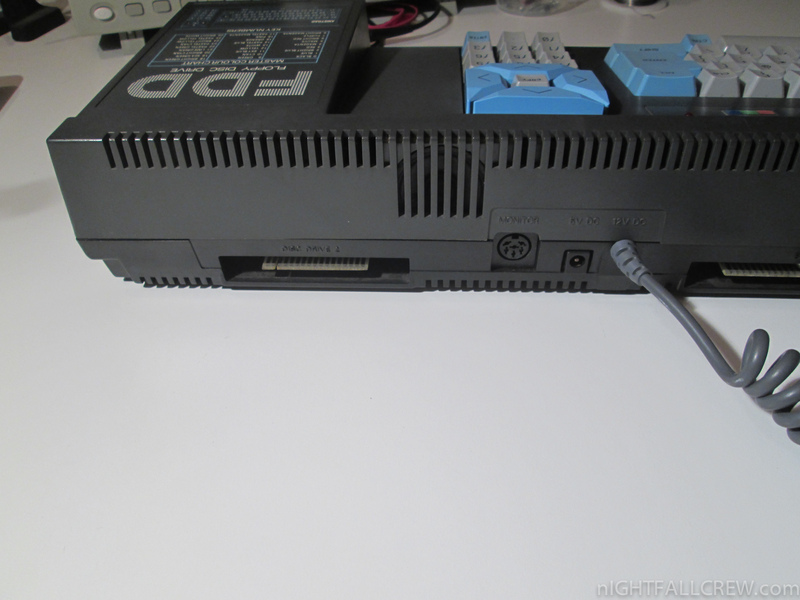 The later plus models, 464plus and 6128plus, efforts to prolong the system’s lifecycle with hardware updates, were considerably less successful, as was the attempt to repackage the plus hardware into a game console as the GX4000. 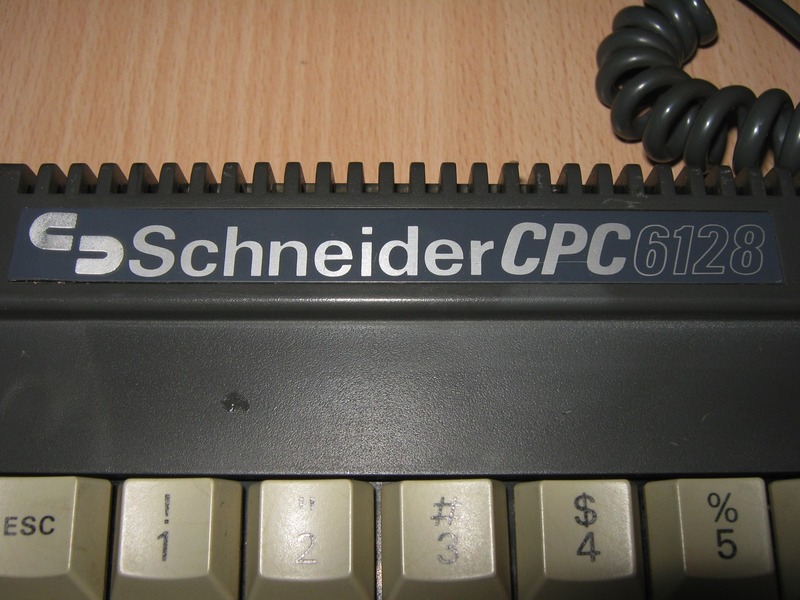 During its lifetime, the CPC series sold approximately three million units. 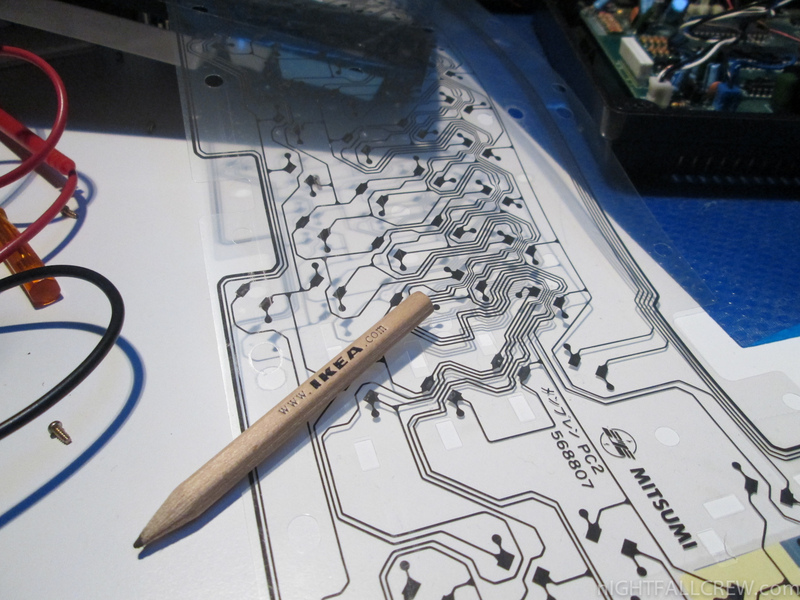 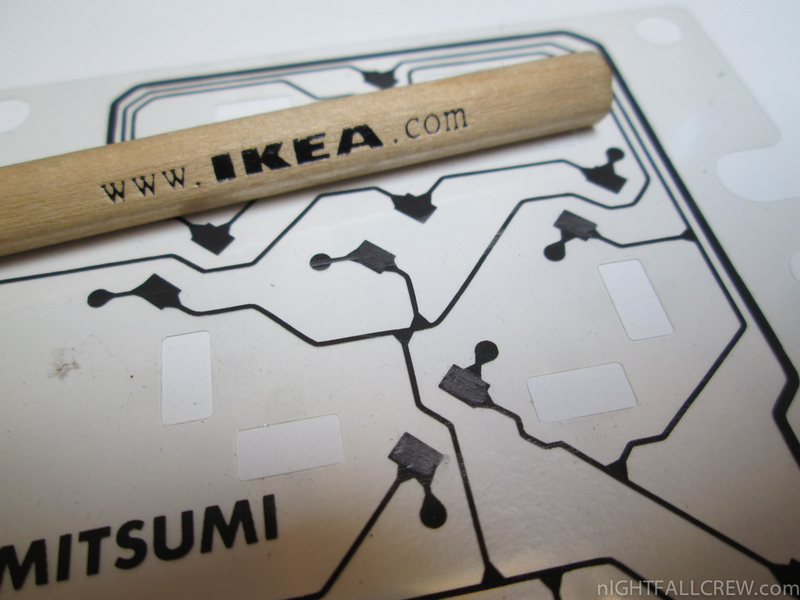 I ran the repair of the membrane that had a micro interruption, i have used a micro-drop of vinilic glue mixed with the graphite that i have scraped from the pencil ikea, i made a thin film on the microfracture and now it works. 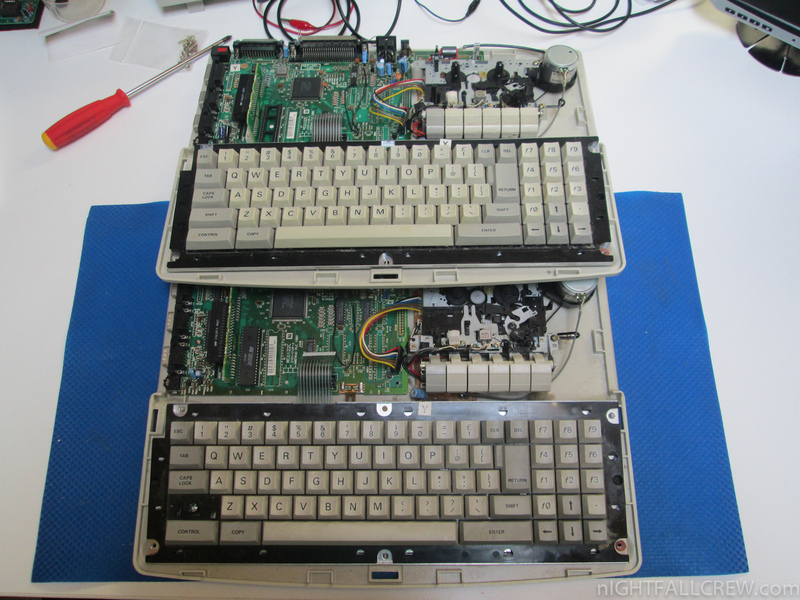 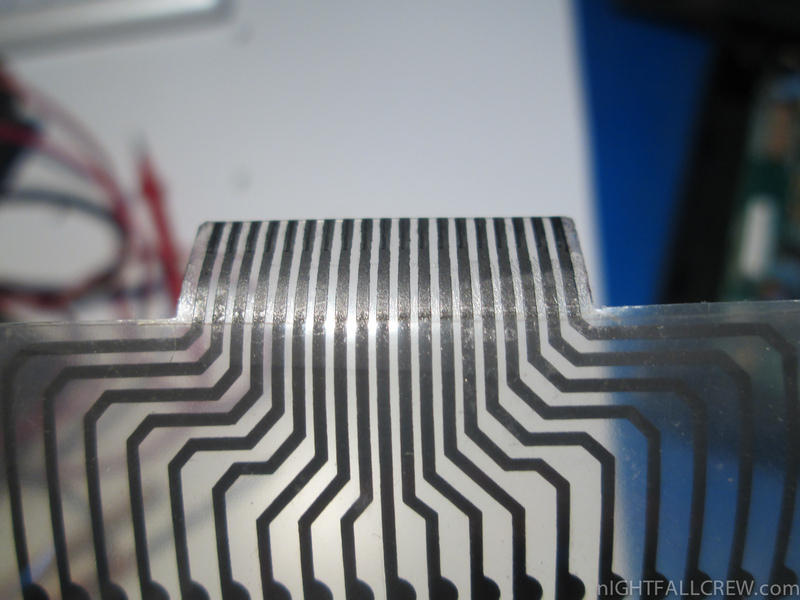 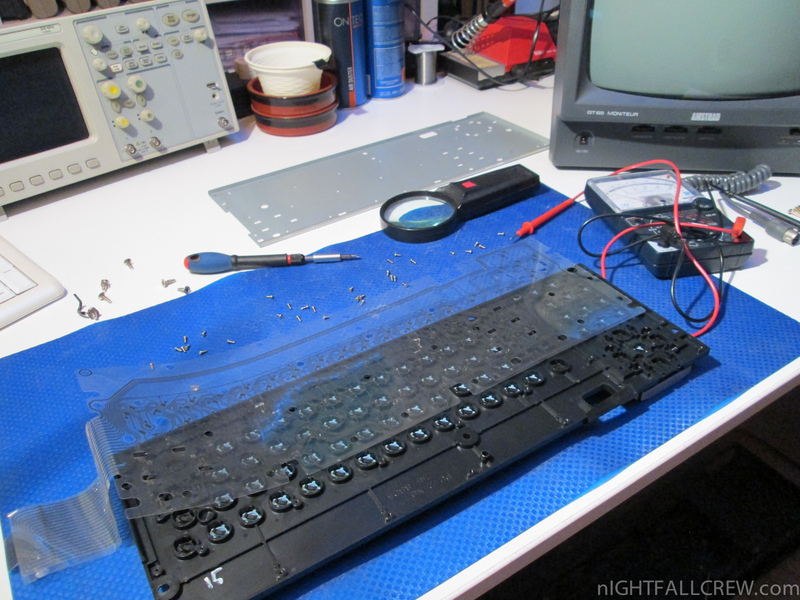 There were other problems, including: graphite consumed in some keys and the keyboard connector (pcb side) don’t work very well. 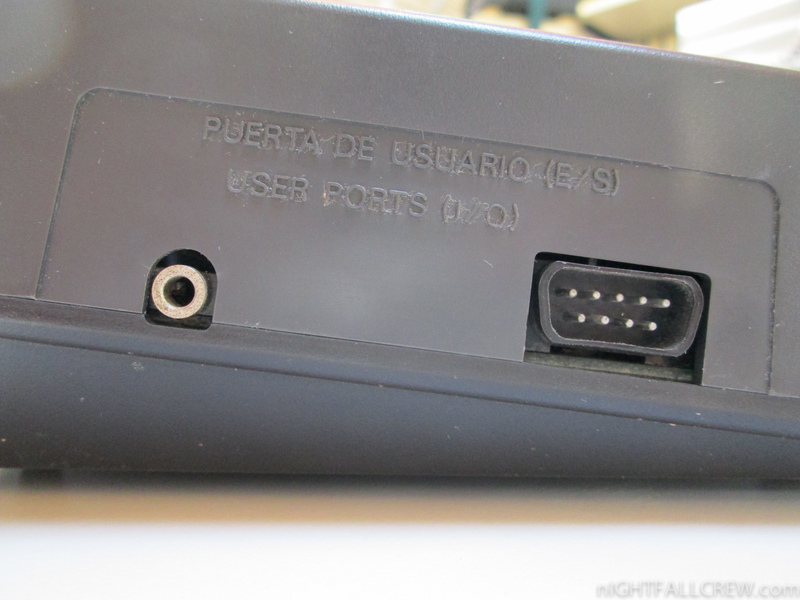 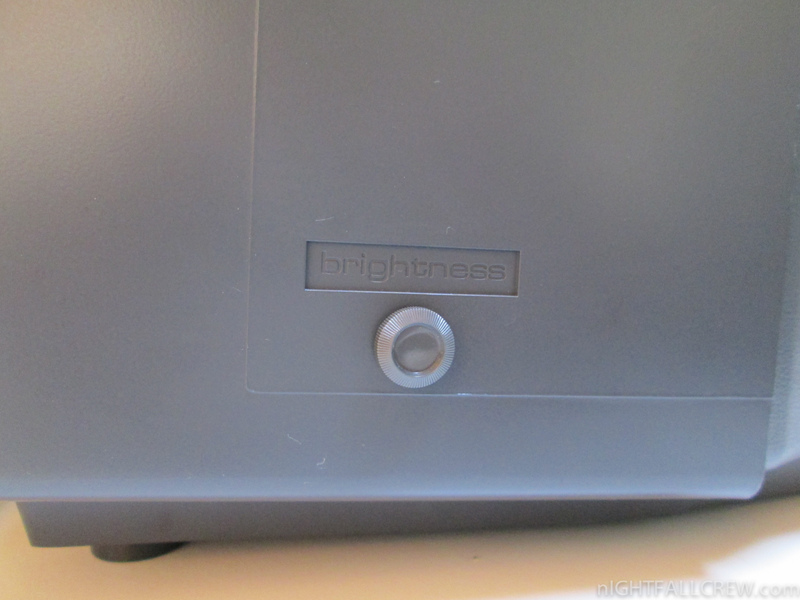 The horrible holes for the switch and the button are used to halt the CPU and RESET. 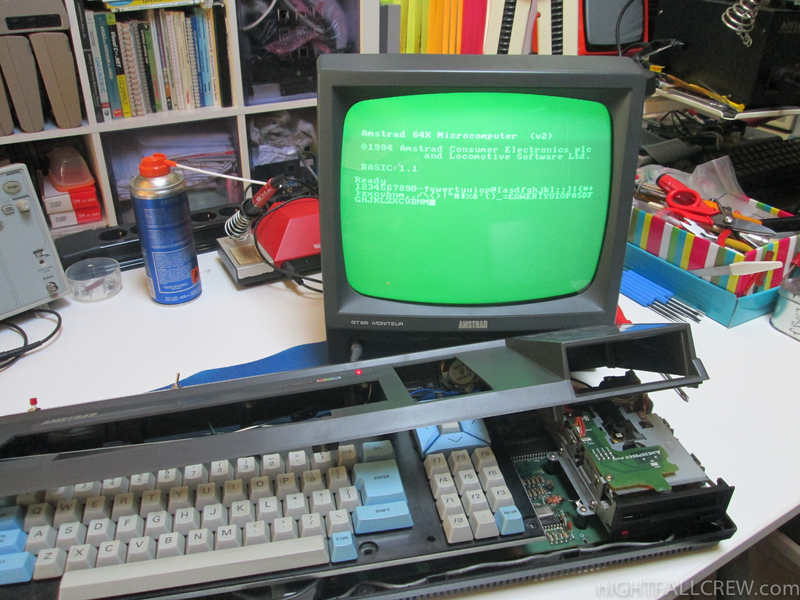 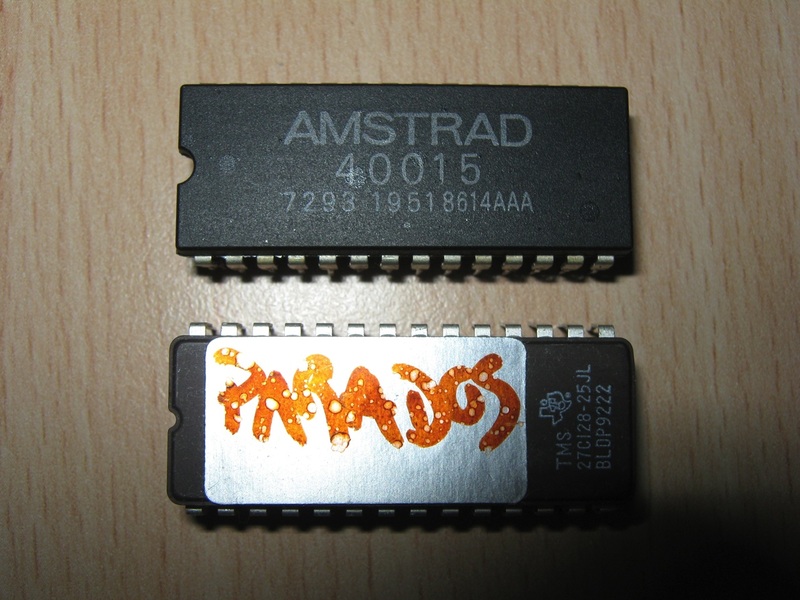 Merging between two Amstrad 464+ partially functionals to make it one fully functional and in a decent aesthetic state. 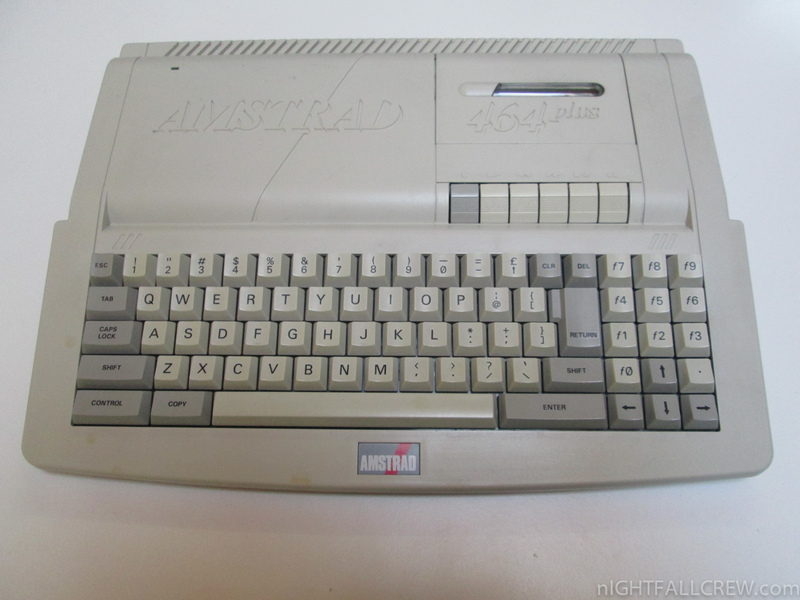 The GX4000 was Amstrad’s short-lived attempt to enter the games console market. 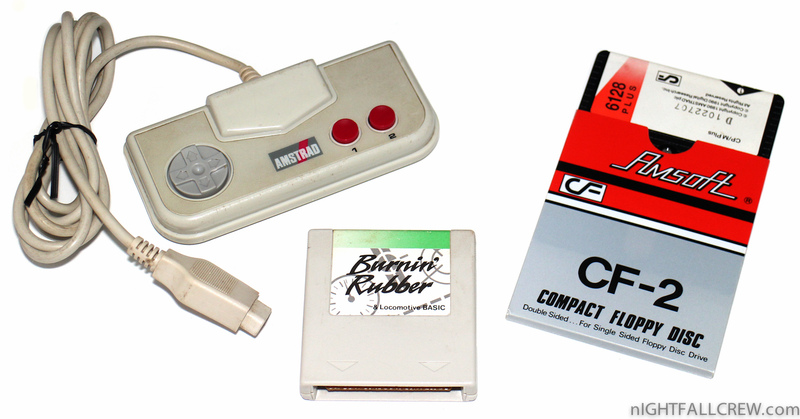 The console was released in Europe in 1990 and was an upgraded design based on the then still-popular CPC technology. 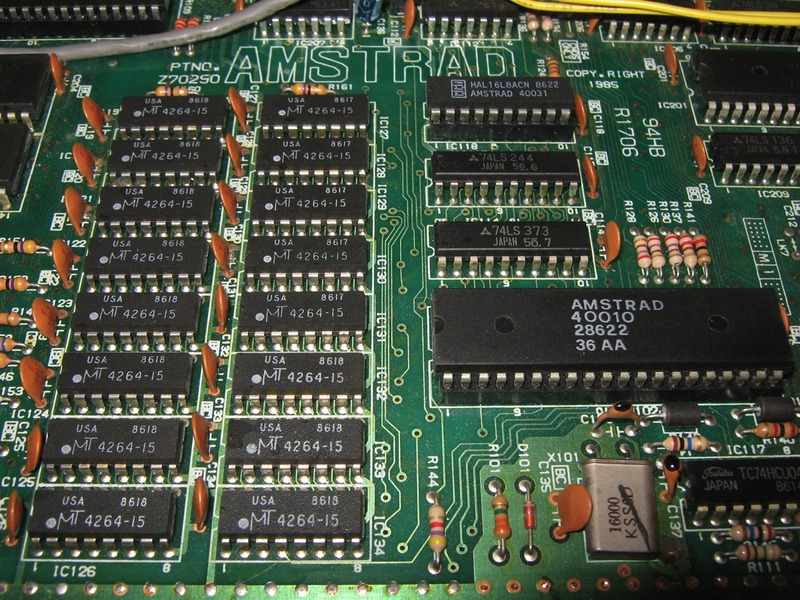 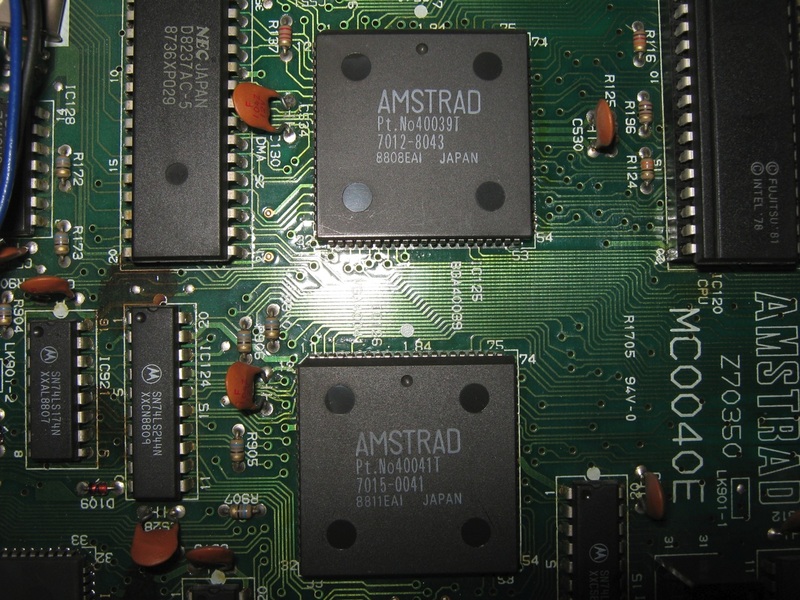 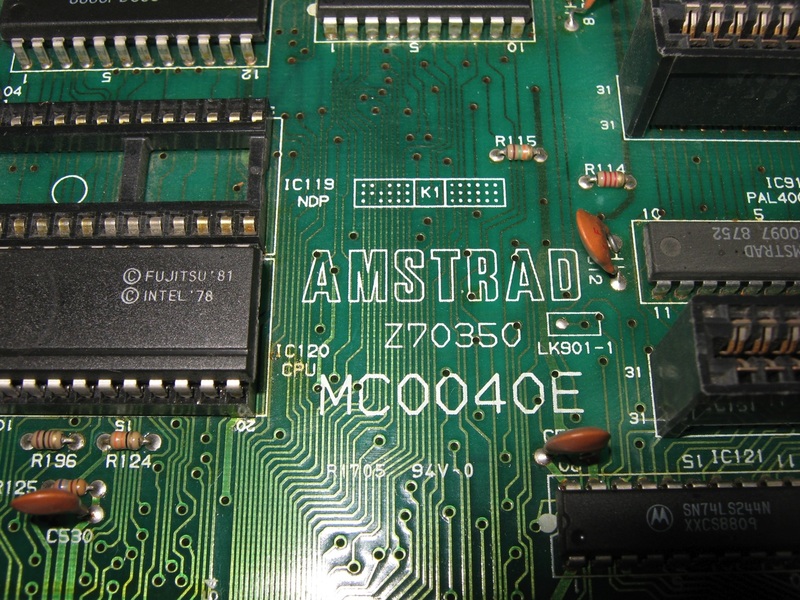 The GX4000 shared hardware architecture with Amstrad’s CPC Plus computer line, which were released concurrently, this allowed the system to be compatible with the majority of CPC Plus software. 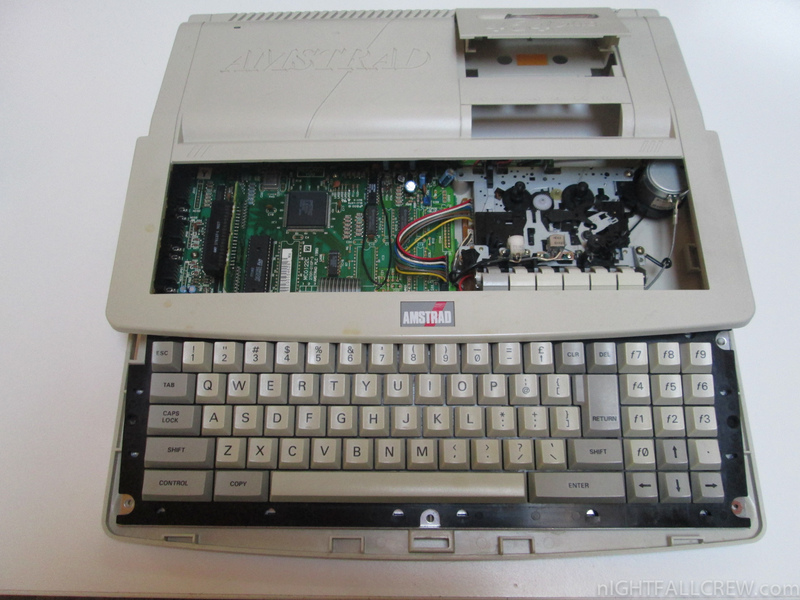 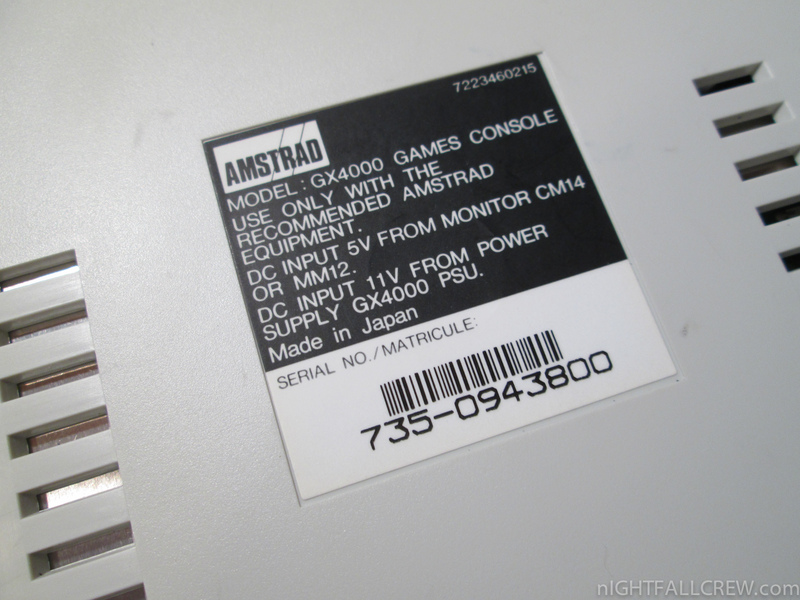 The GX4000 was both Amstrad’s first and only attempt at entering the console market. 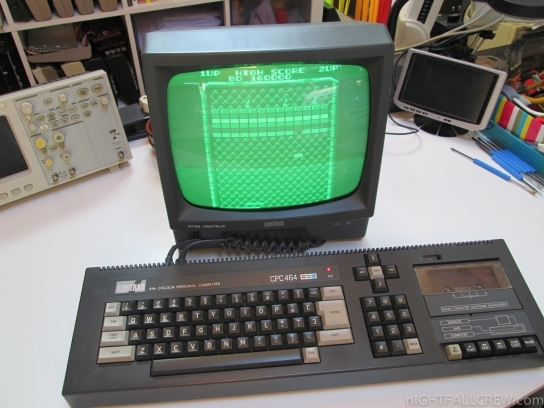 Although offering enhanced graphics capabilities, it failed to gain popularity in the market, and was quickly discontinued, selling 15,000 units in total. 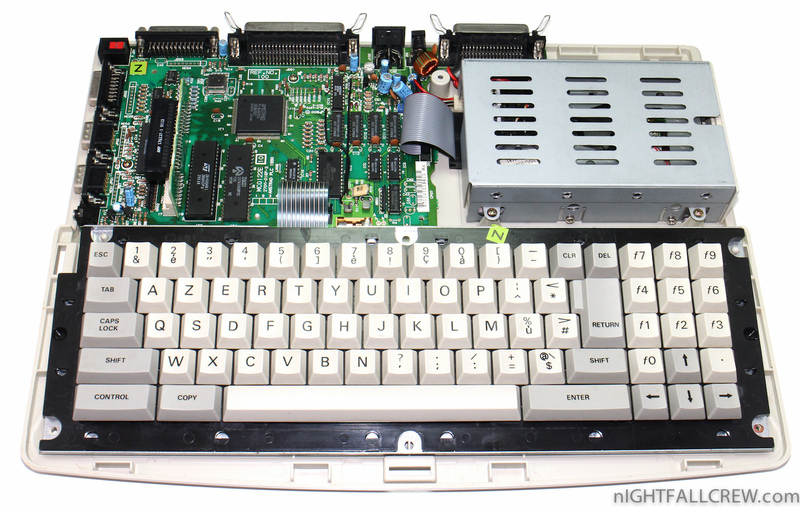 After months of speculation, the GX4000 was officially announced along with the 464 plus, and 6128 plus computers at the CNIT Centre in Paris in August 1990. 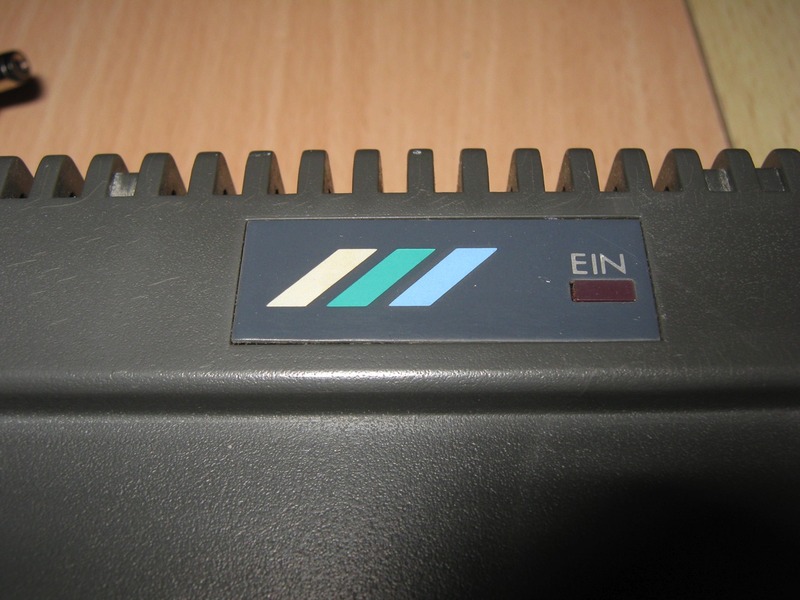 The system was launched a month later in four countries, Britain, France, Spain, and Italy, priced at £99.99 in Britain, and 990f in France, software was priced at £25 for most titles. 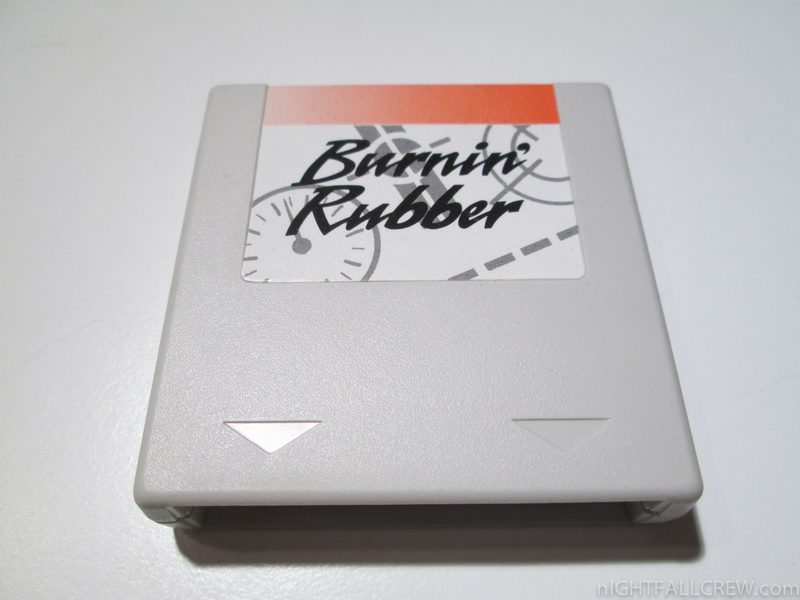 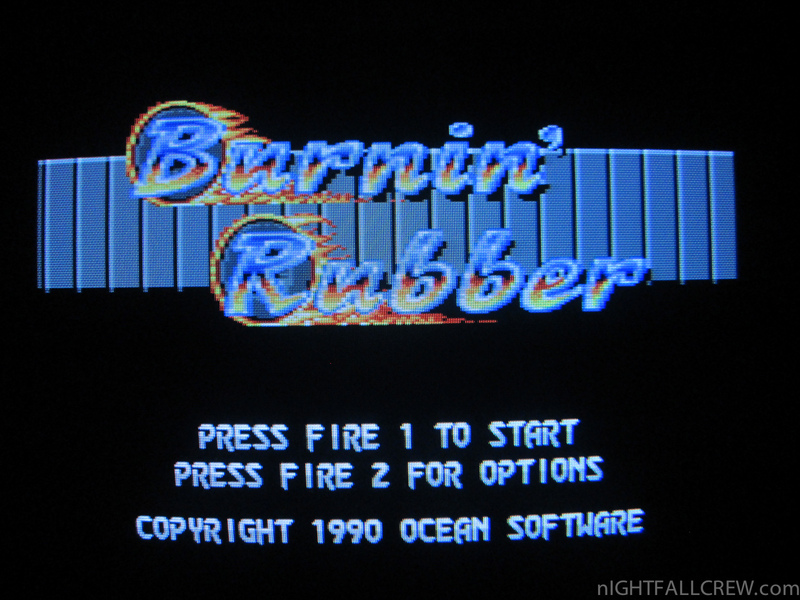 The racing game Burnin’ Rubber, a power pack, and two controllers were bundled with the machine. 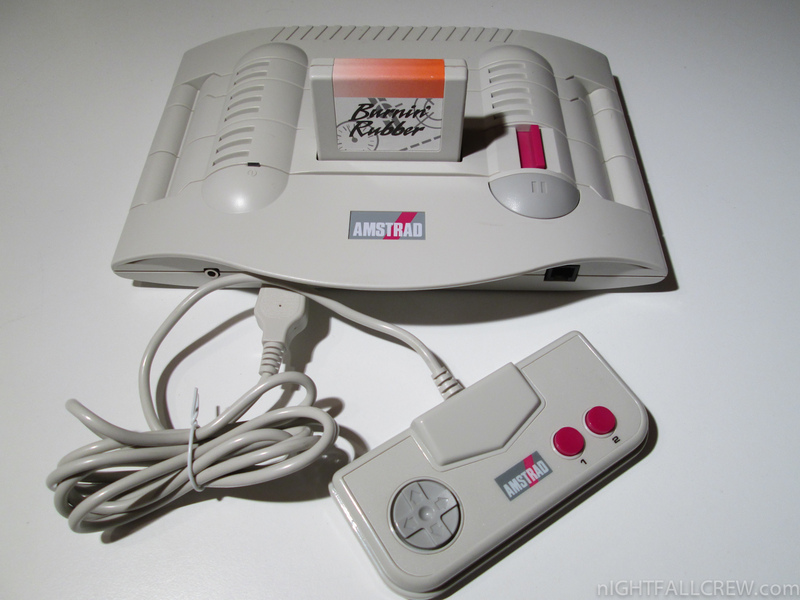 Initial reviews of the console were favourable, with CVG calling it a “neat looking and technically impressive console that has an awful lot of potential at the very low price of £99″, but while impressed by the graphical capabilities, they criticised the audio and controllers. 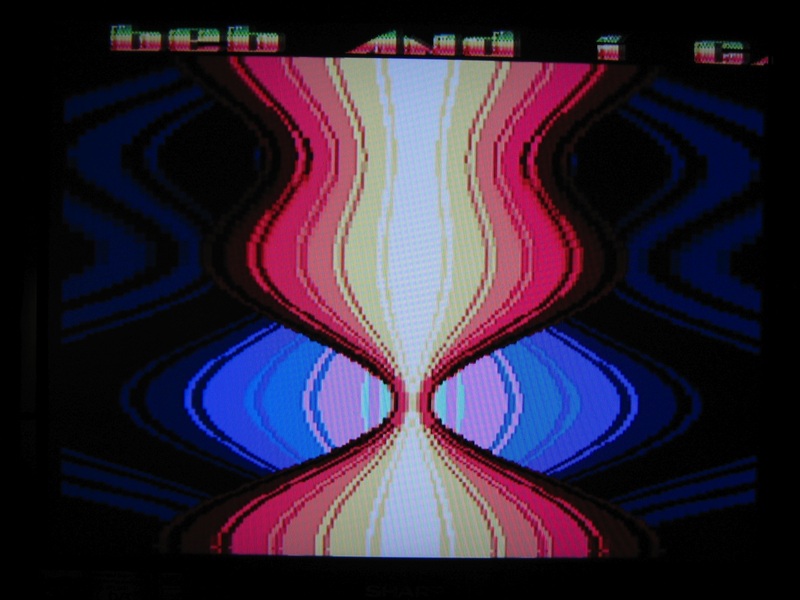 ACE magazine came to a similar conclusion, stating that the system “puts the other 8-bit offerings to shame bar the PC-Engine”. 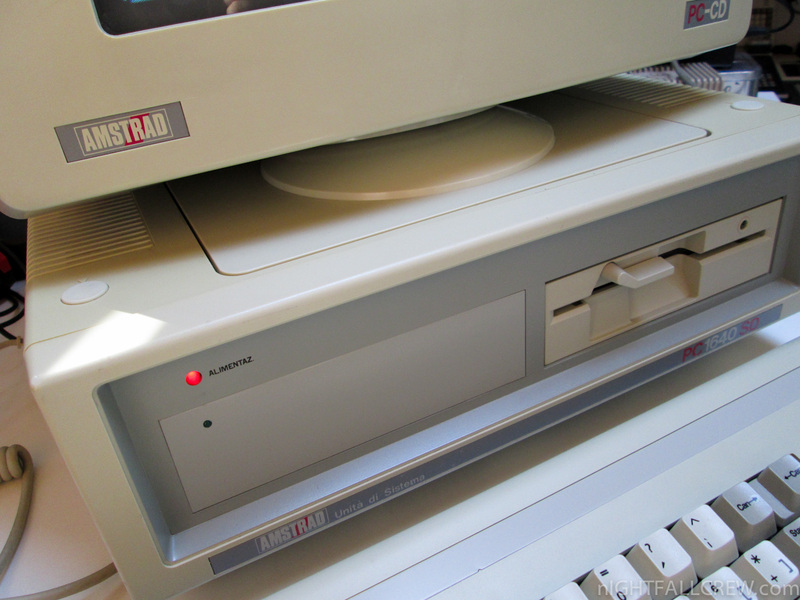 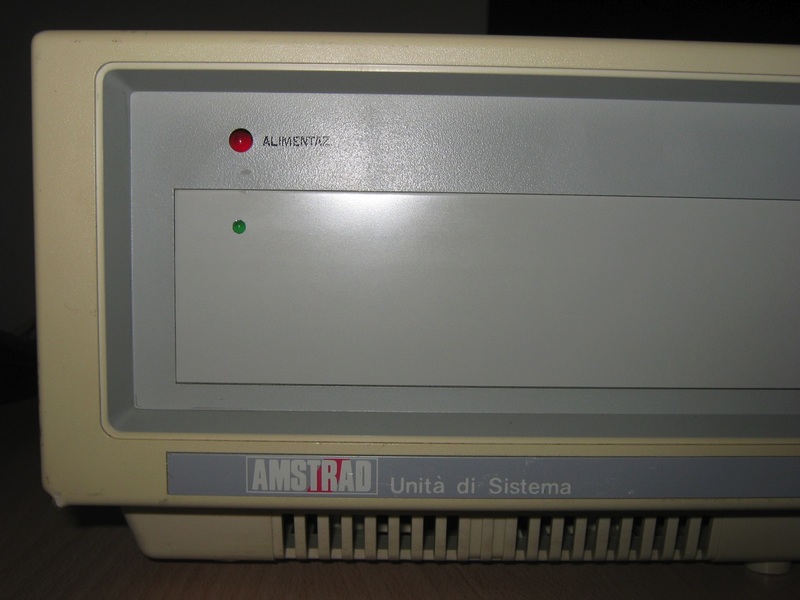 The Amstrad PC1512 was Amstrad’s mostly IBM PC-compatible home computer system, first manufactured in 1986. 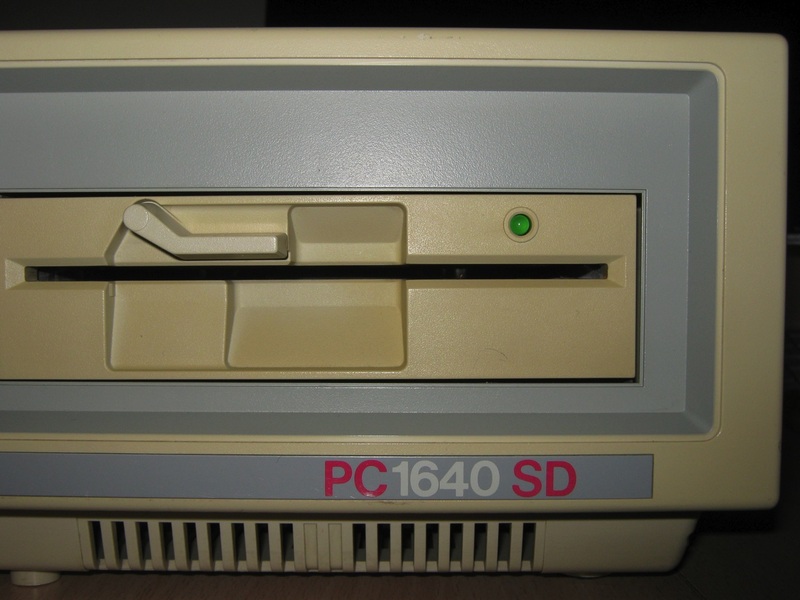 It was later succeeded by the PC1640. 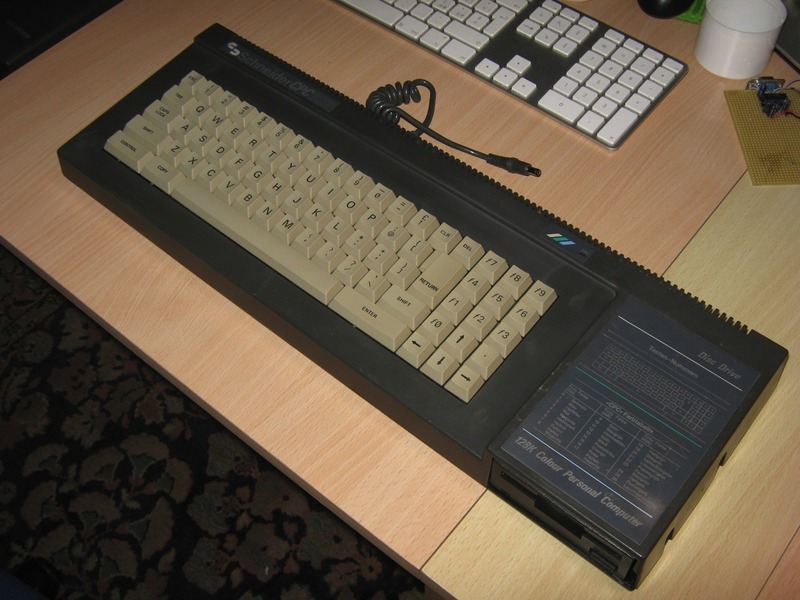 It launched for £499 and sold very well, as it was one of the first cheap PCs in Europe. 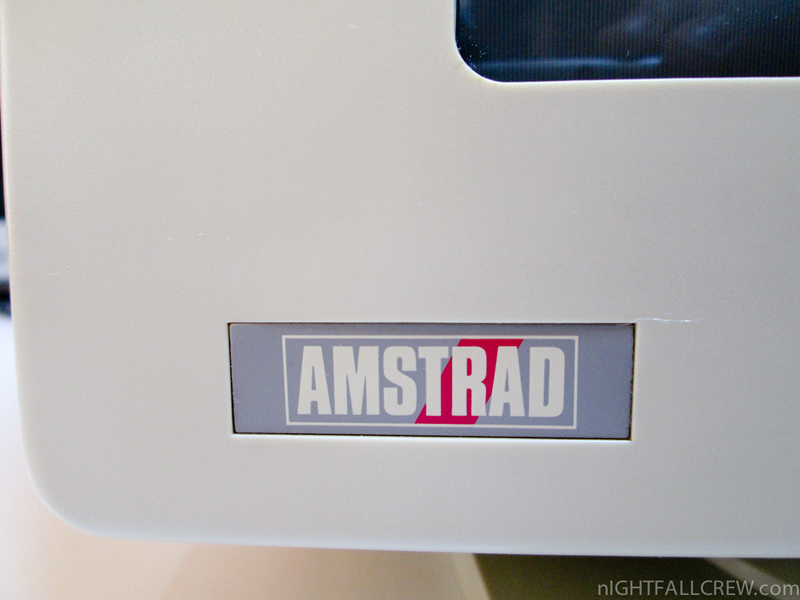 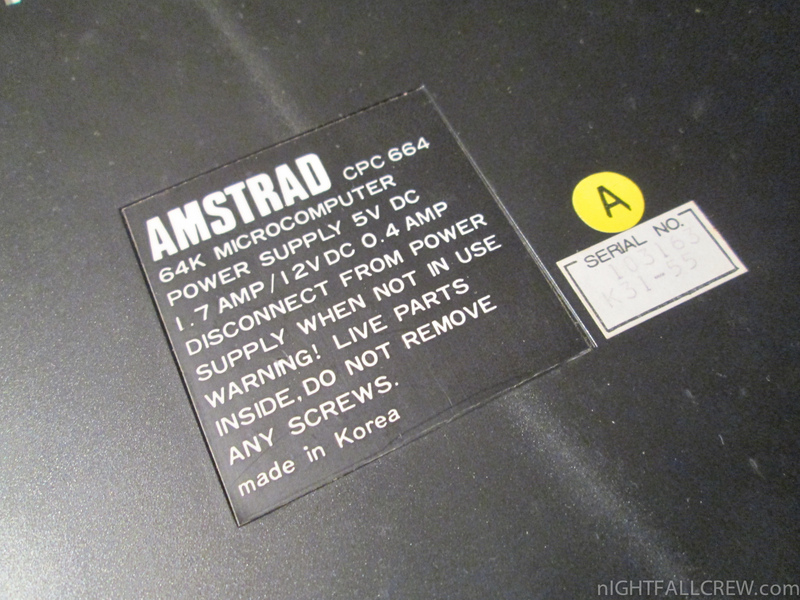 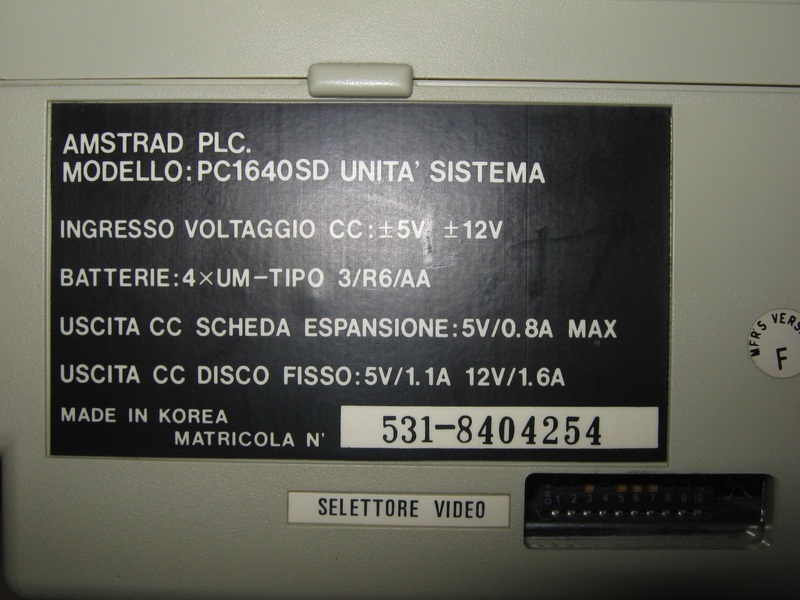 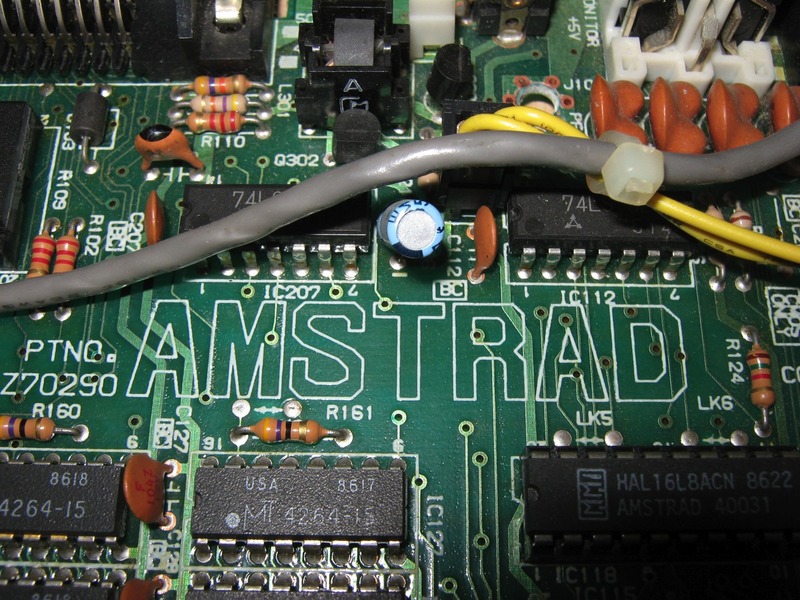 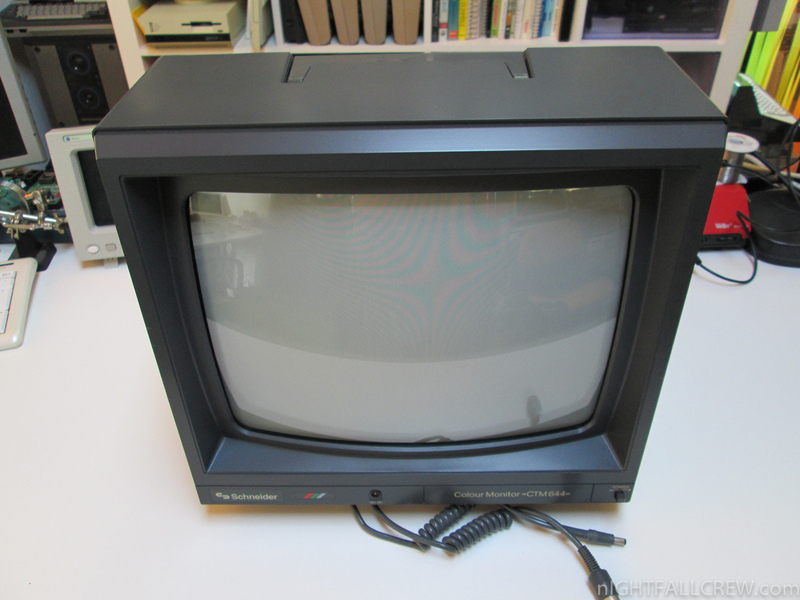 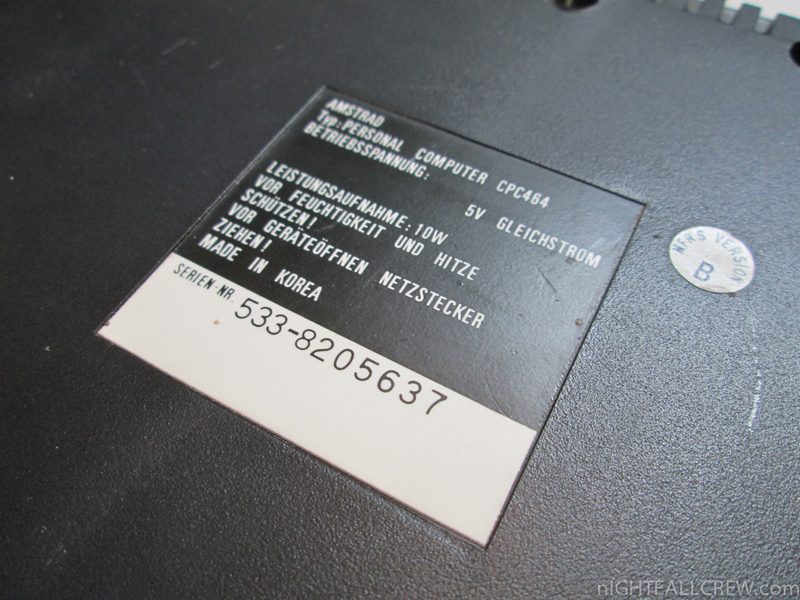 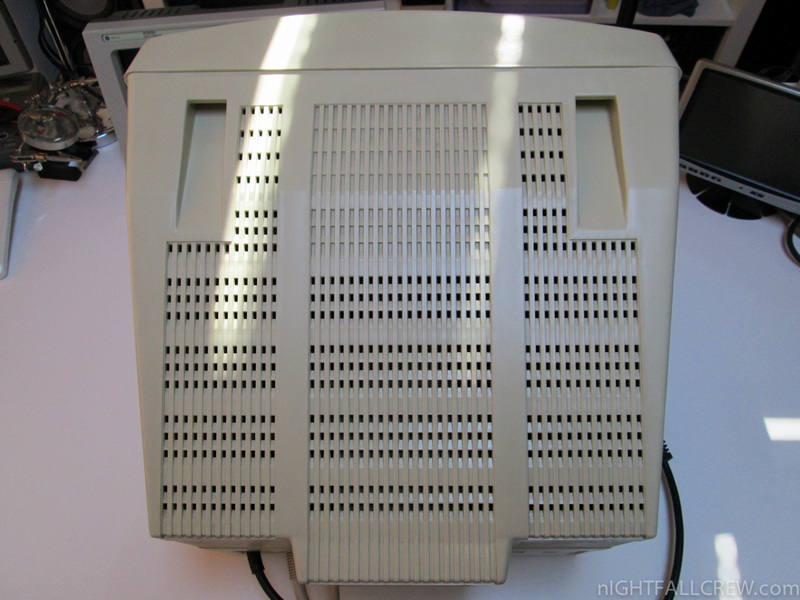 It significantly helped open up the European PC market to consumers as well as businesses, and Amstrad’s advertising of the PC1512 was aimed at homes rather than offices. 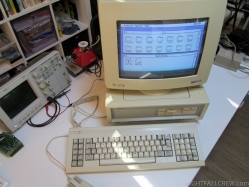 The 1512′s influence was such that the UK PC magazine PC Plus originally targeted itself at the “Amstrad PC 1512 and compatibles”, since home ownership of other PCs at the time was rare. 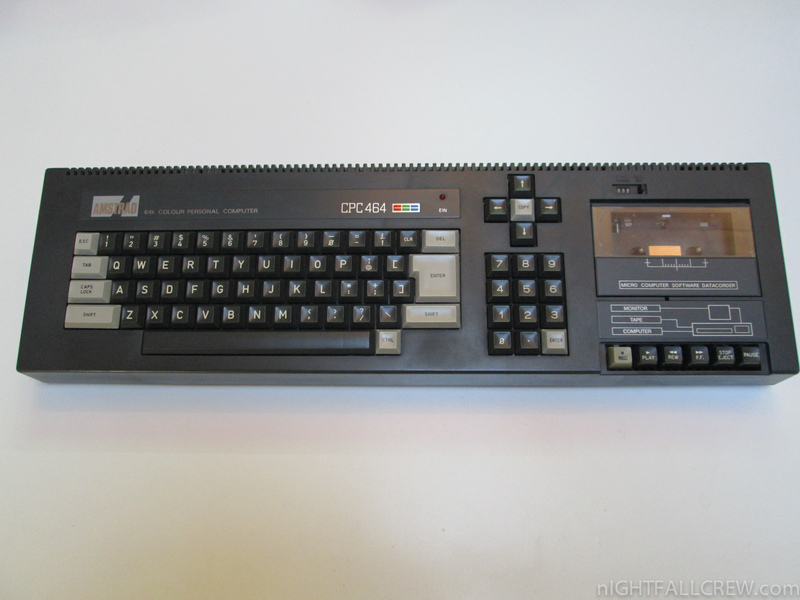 The PC1512 shipped with 512K of RAM; it could be upgraded to 640K of RAM with an expansion pack. 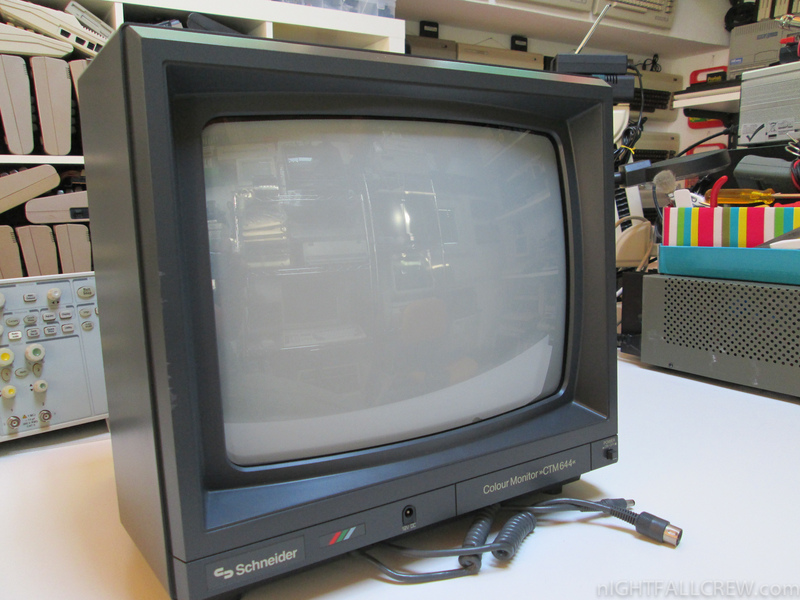 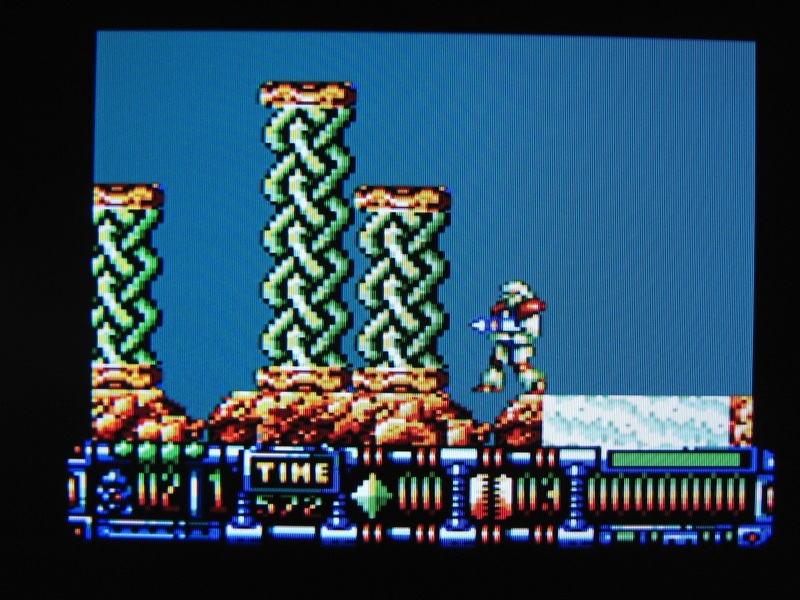 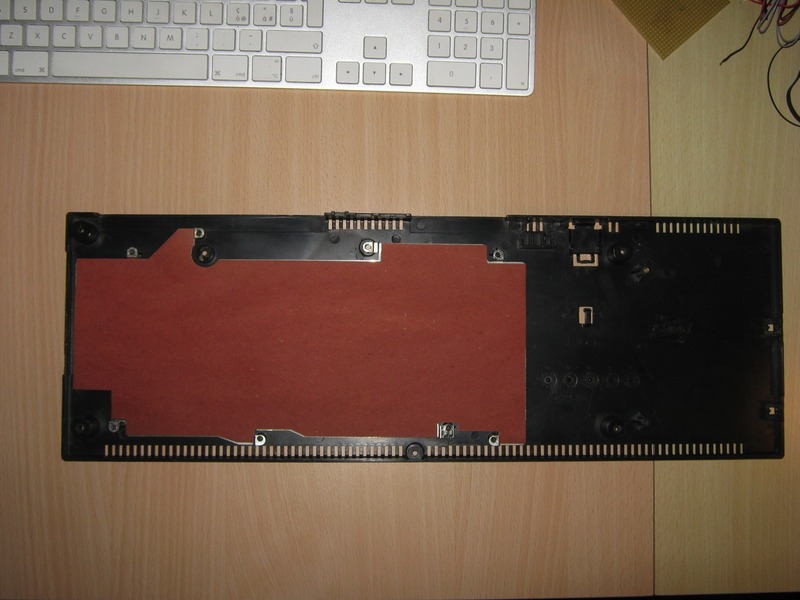 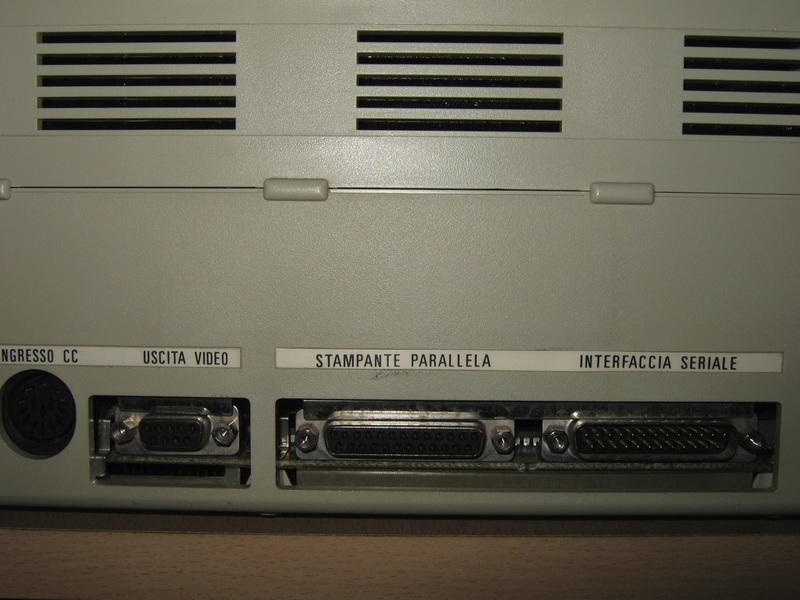 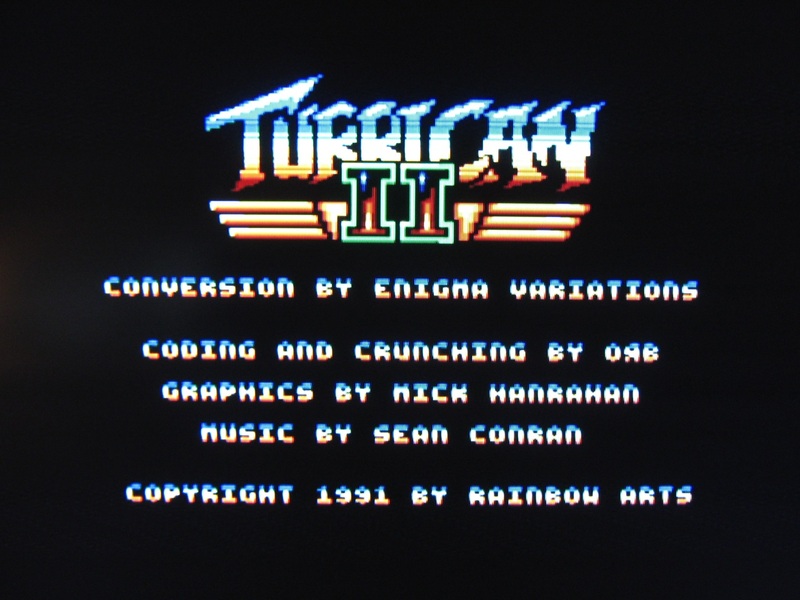 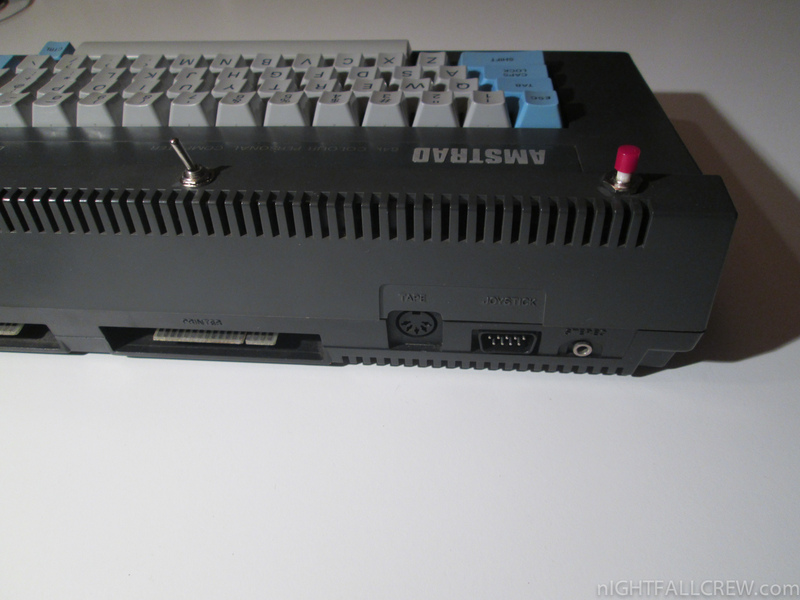 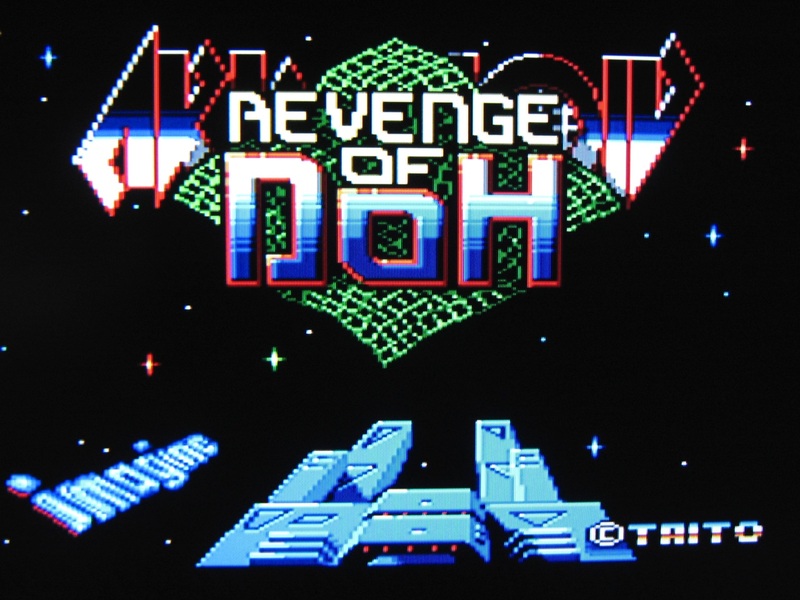 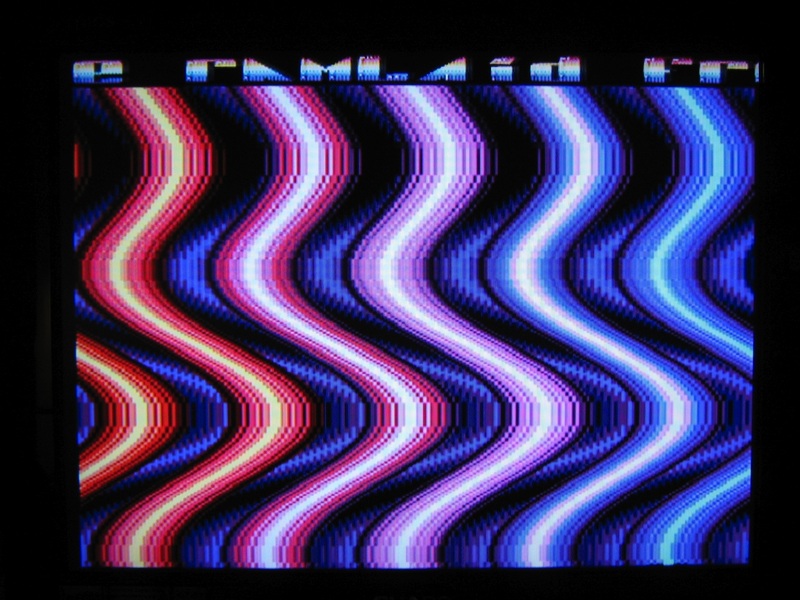 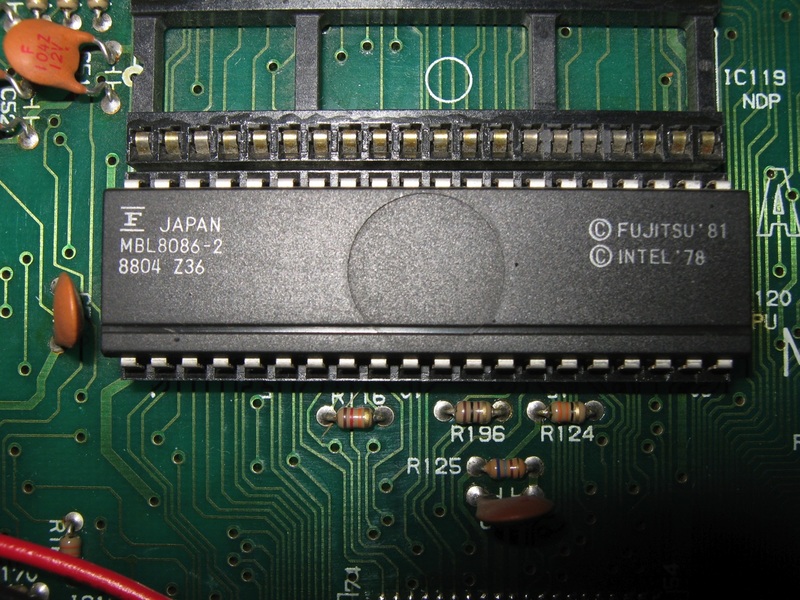 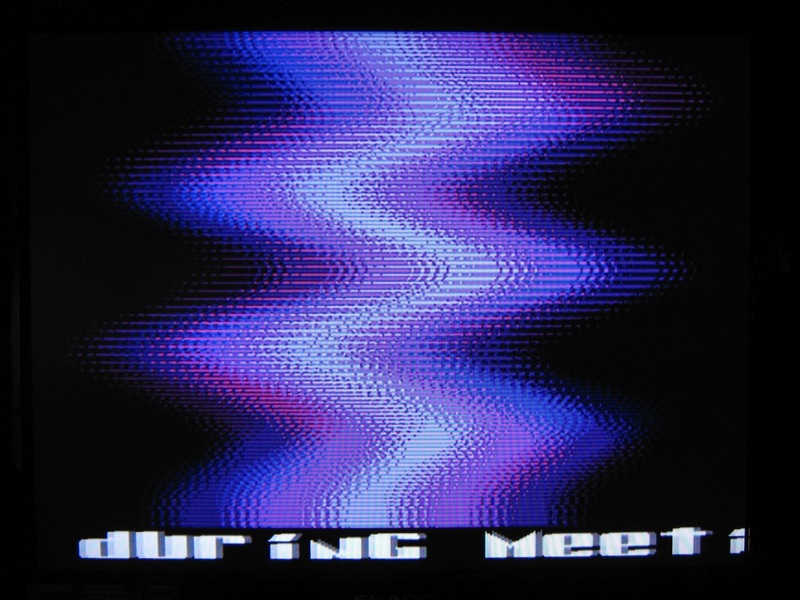 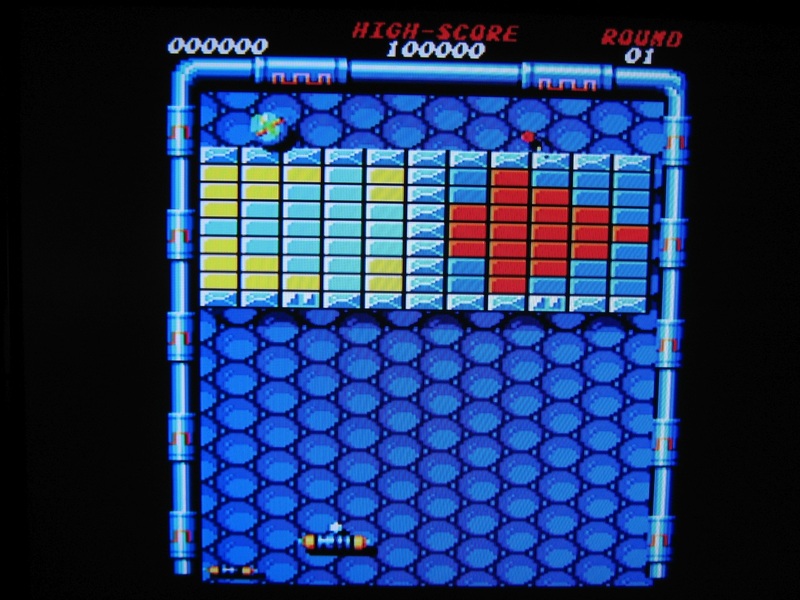 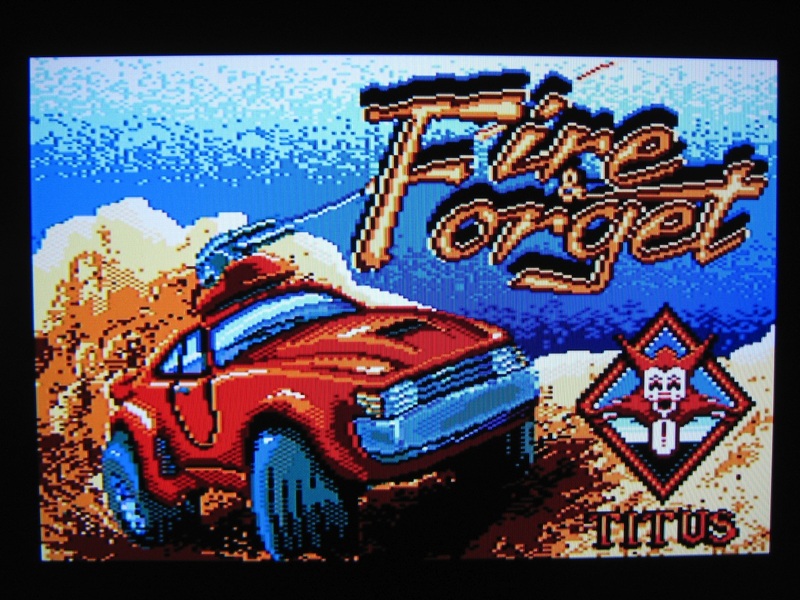 Video output was compatible with the CGA standard, with an extension allowing all 16 colours to be used in the 640×200 graphics mode. 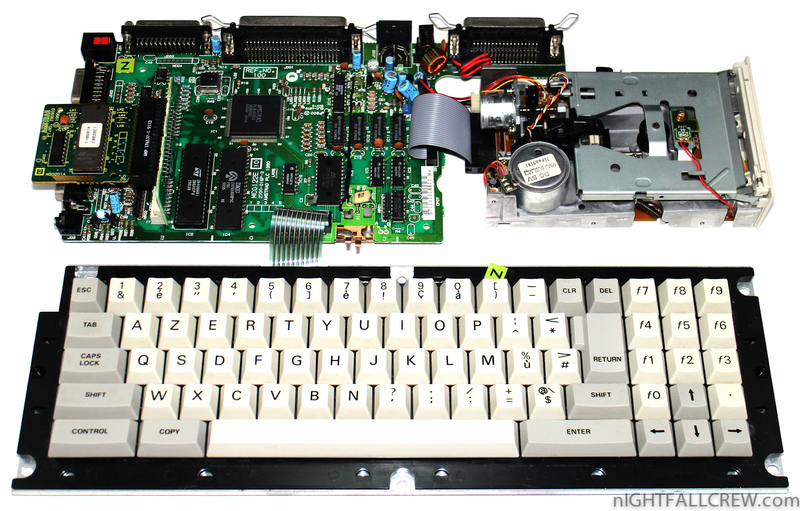 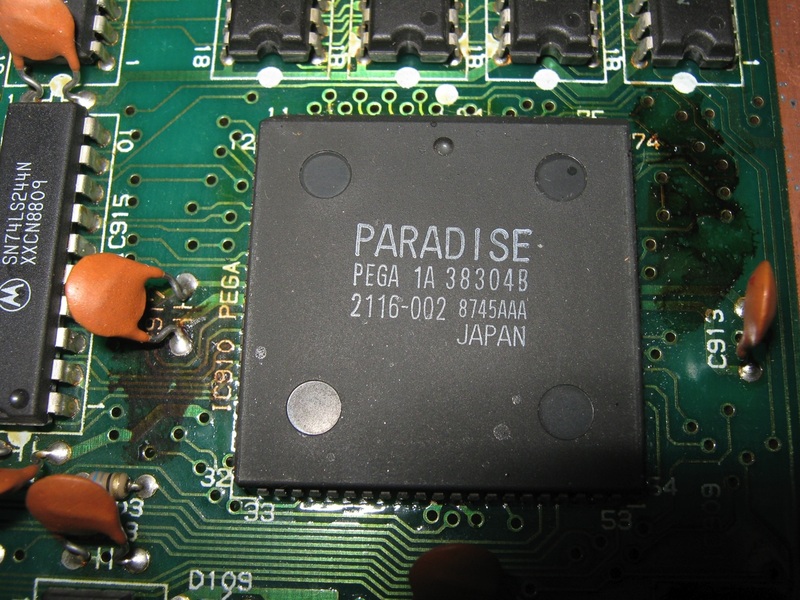 The CPU of both the PC1512 and the later PC1640 was an 8 MHz Intel 8086, which was sufficient for playing The Secret of Monkey Island, Maniac Mansion and Prince of Persia. 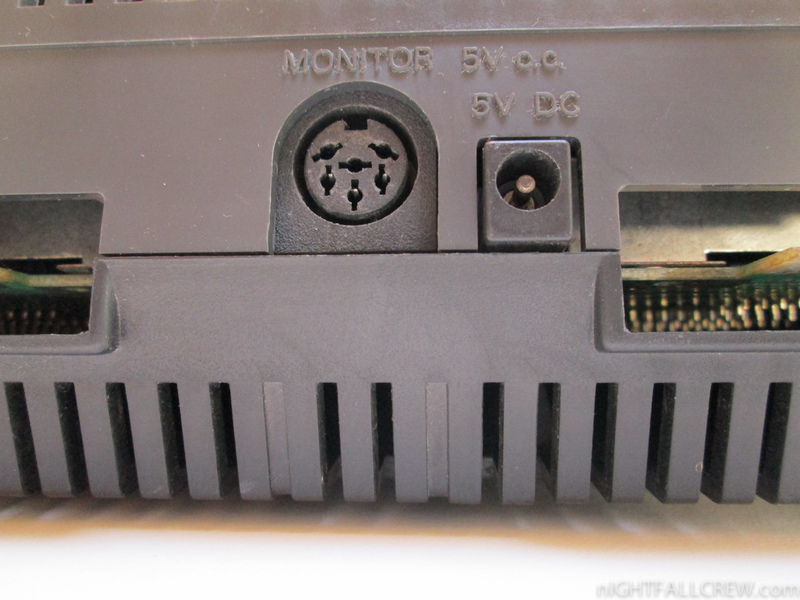 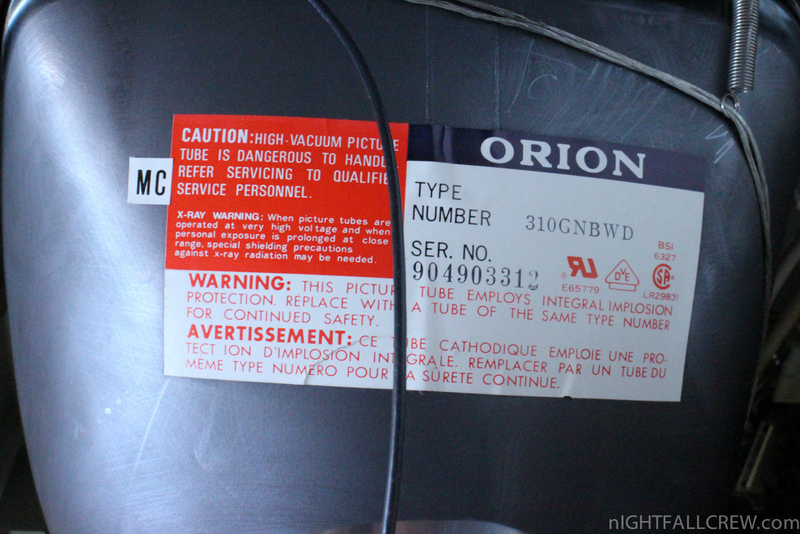 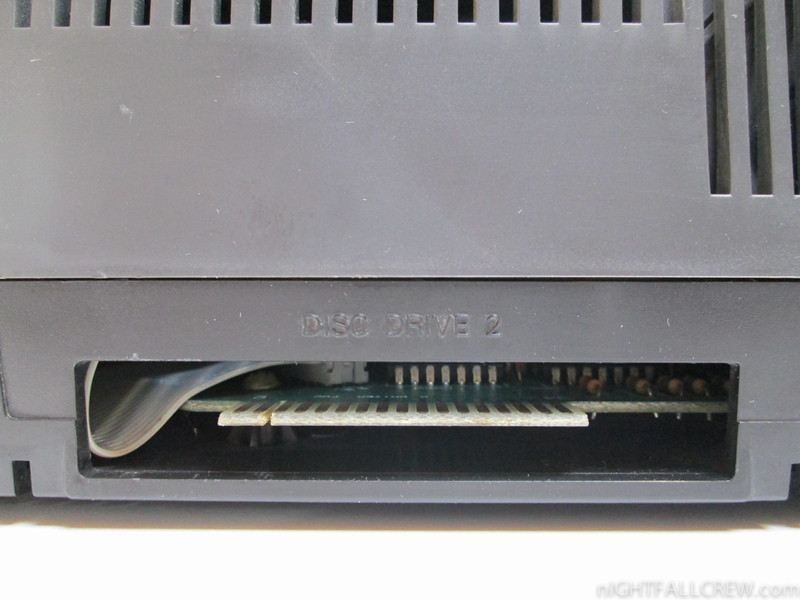 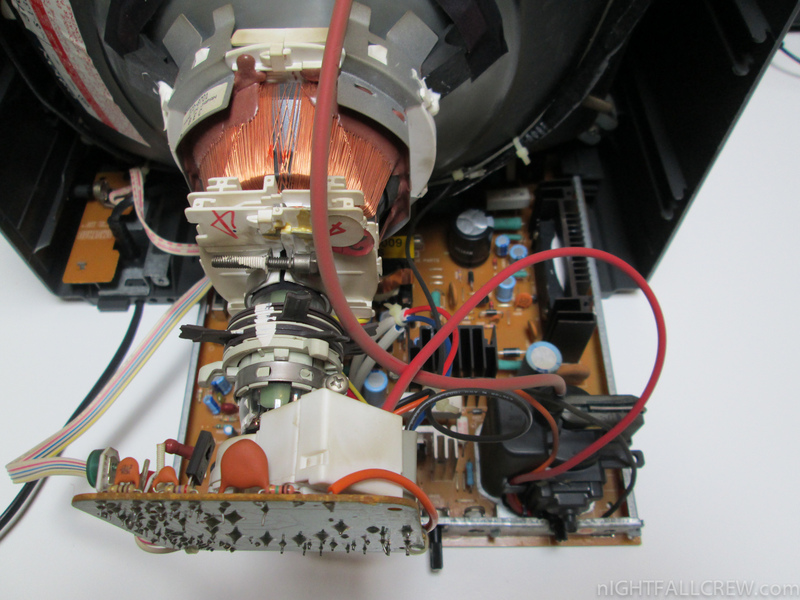 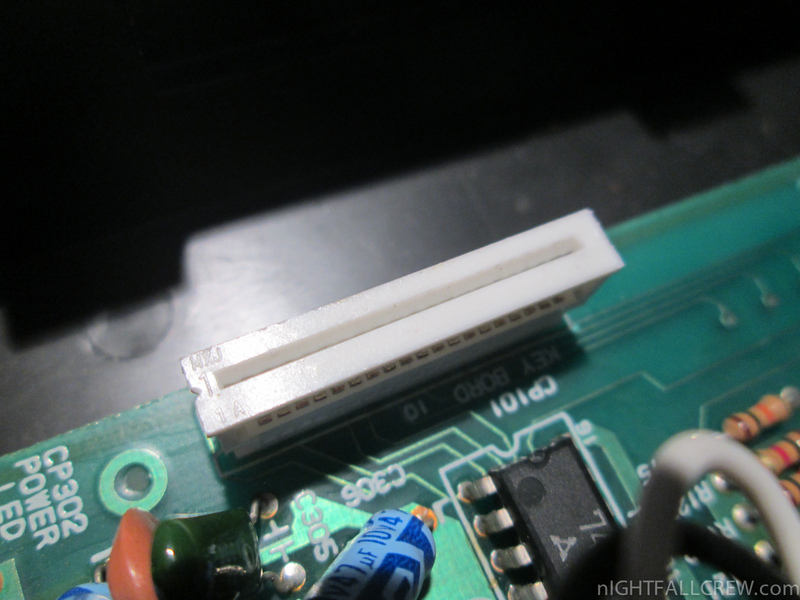 The power supply was located in the monitor, which made upgrading difficult. 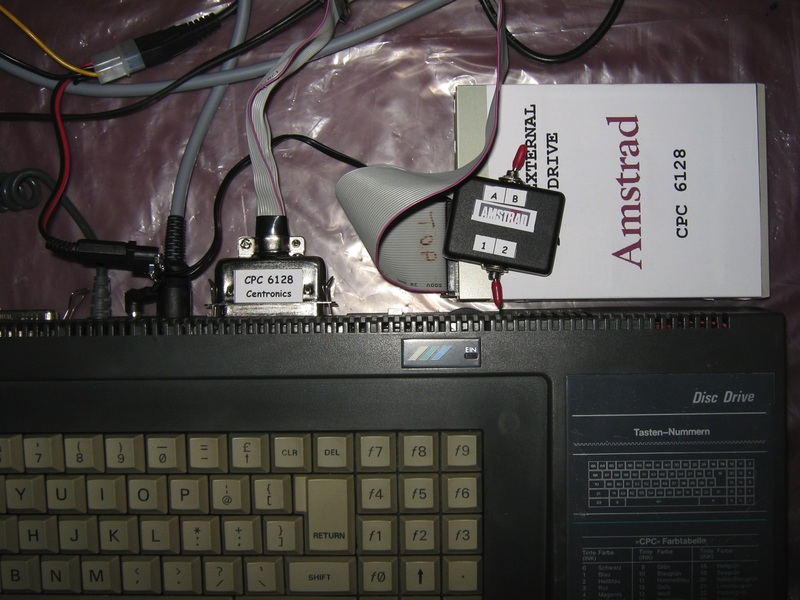 My homebrew Powersupply adaptor for Amstrad CPC 6128 with a External Floppy Drive 3½. 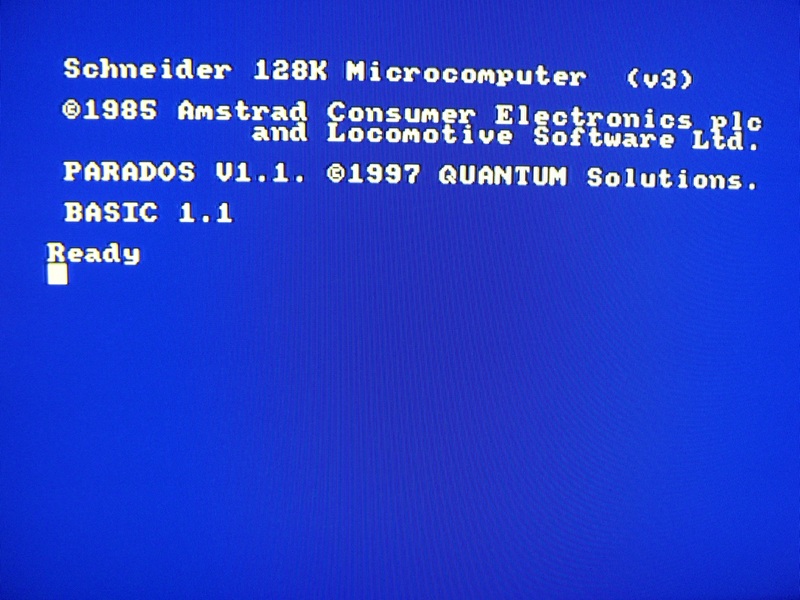 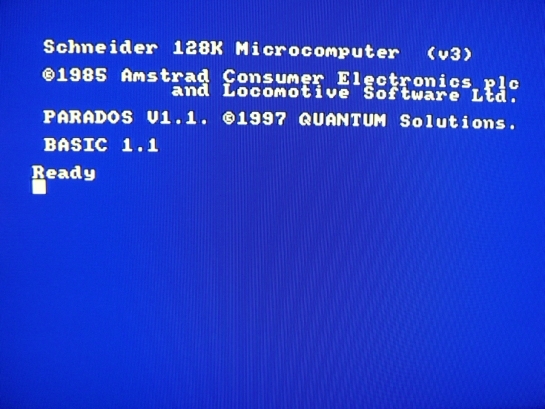 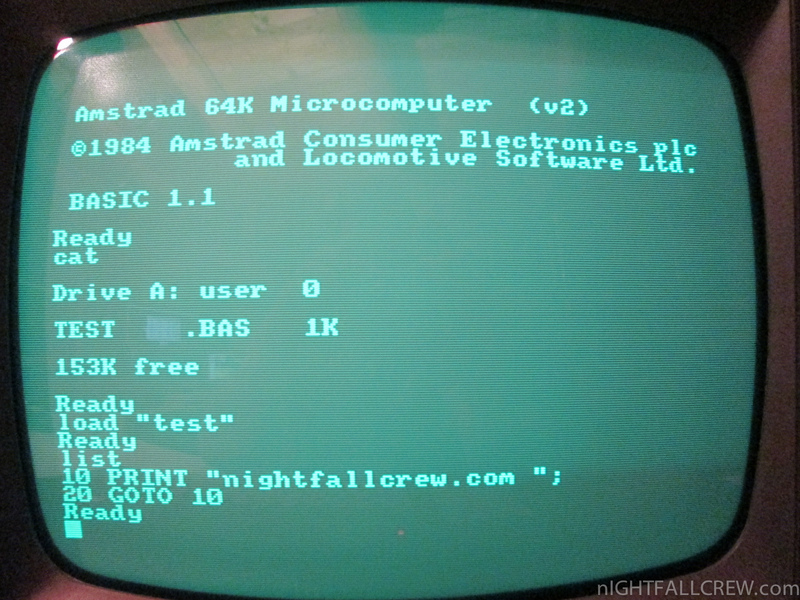 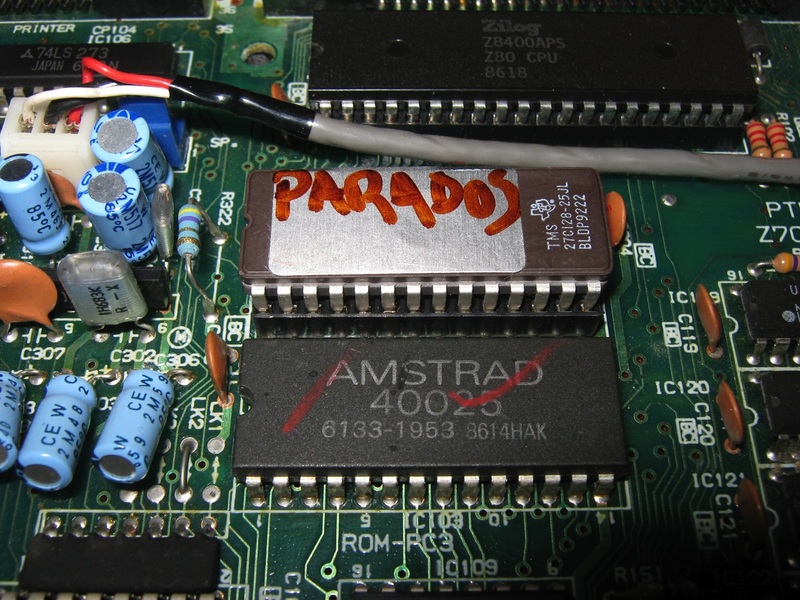 ParaDOS is 16kB ROM that replaces the AmsDOS. Allows to use double-sided floppy disks and some more disk formats. 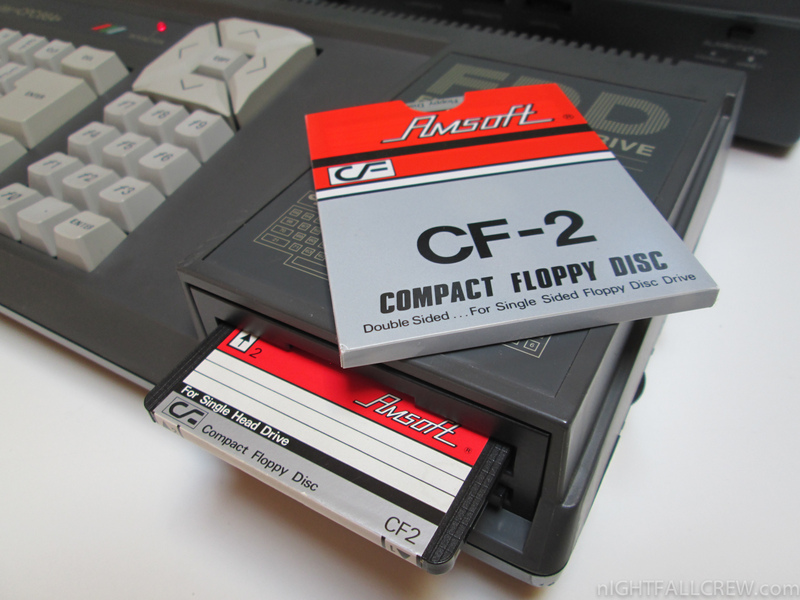 Thanks to B.C for the Floppy adapter. 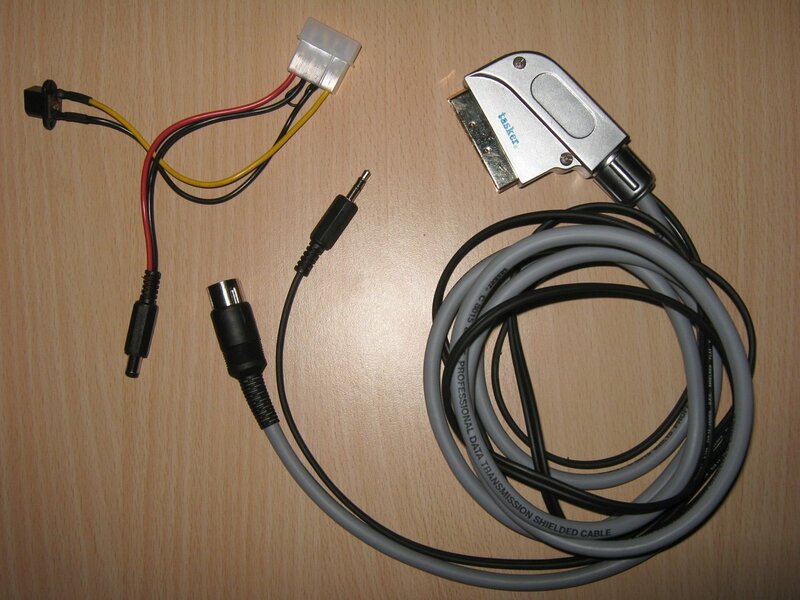 My homebrew Powersupply adaptor & RGB/Audio Scart cable for Amstrad CPC 464/6128. 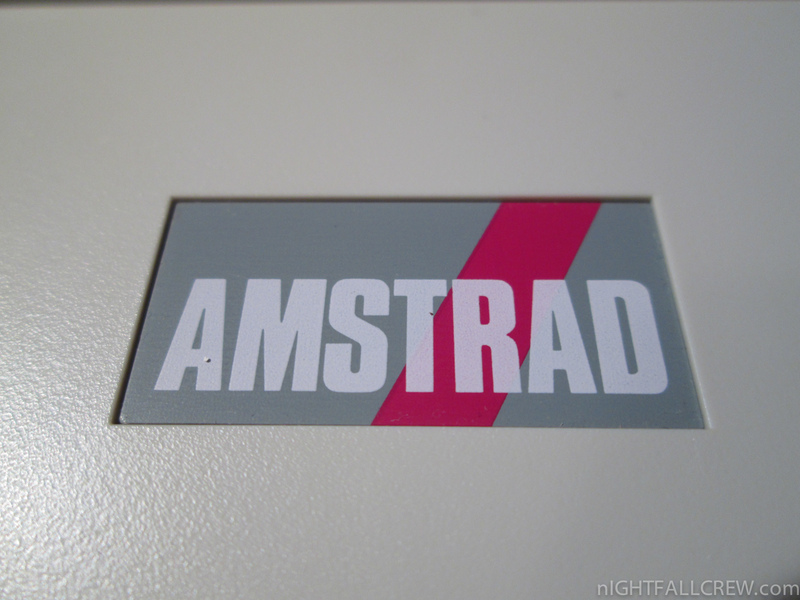 The Amstrad CPC (short for ‘Colour Personal Computer’) is a series of 8 bit home computers produced by Amstrad between 1984 and 1990. 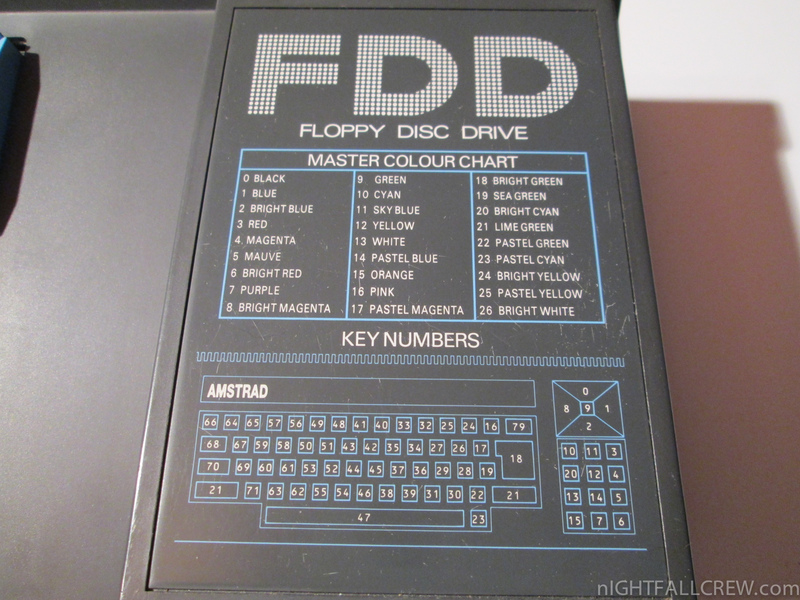 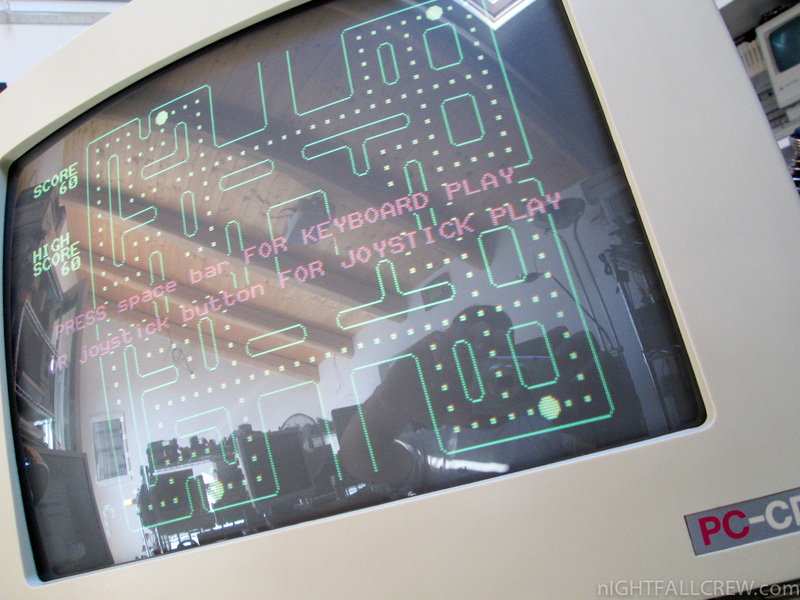 It was designed to compete in the mid-1980s home computer market dominated by the Commodore 64 and the Sinclair ZX Spectrum, where it successfully established itself, especially in the United Kingdom, France, Spain, and the German-speaking parts of Europe. 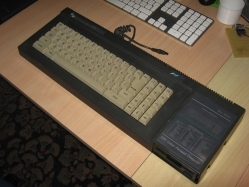 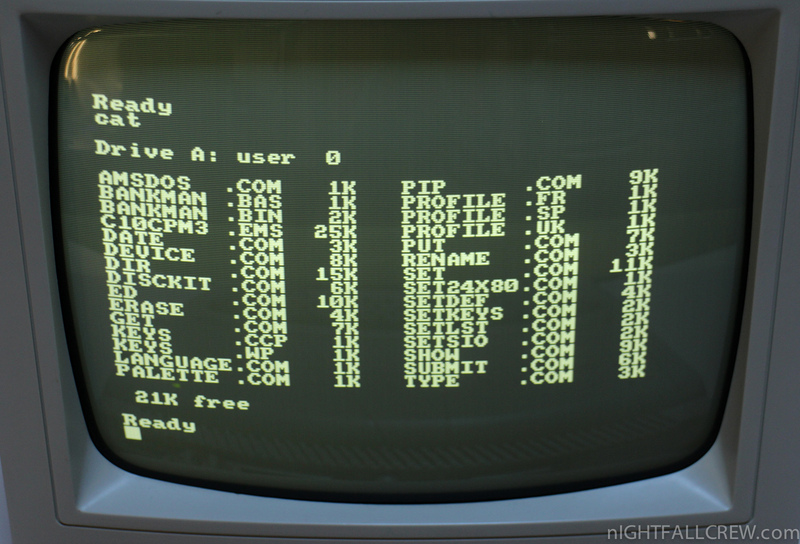 The series spawned a total of six distinct models: The CPC464, CPC664, and CPC6128 were highly successful competitors in the home computer market. 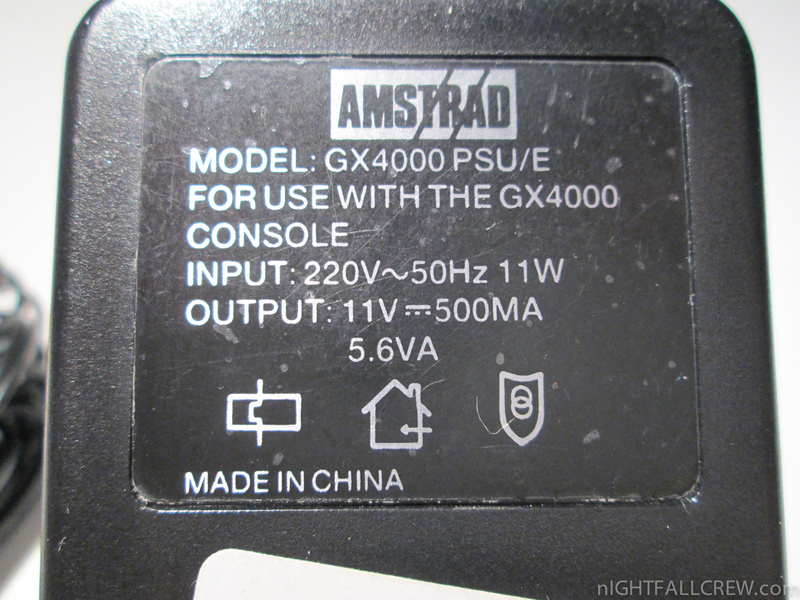 The later plus models, 464plus and 6128plus, efforts to prolong the system’s lifecycle with hardware updates, were considerably less successful, as was the attempt to repackage the 464plus hardware into a game console as the GX4000. 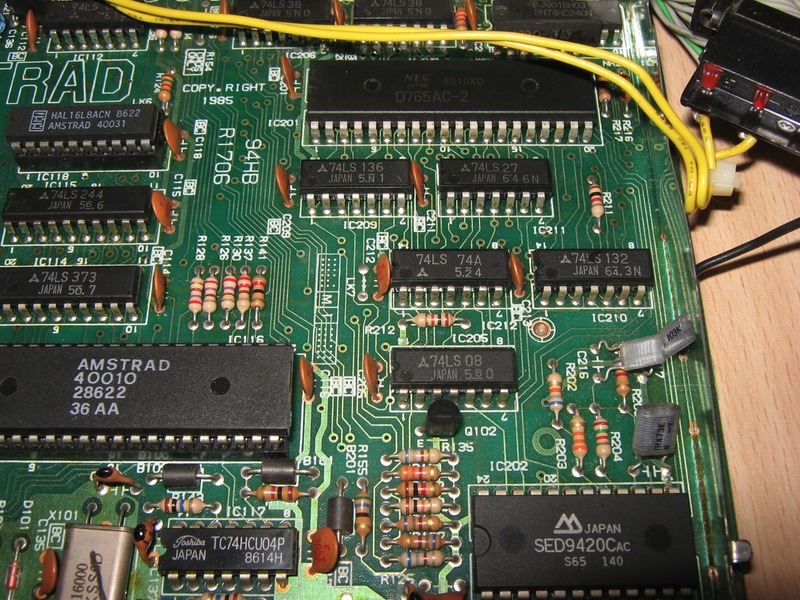 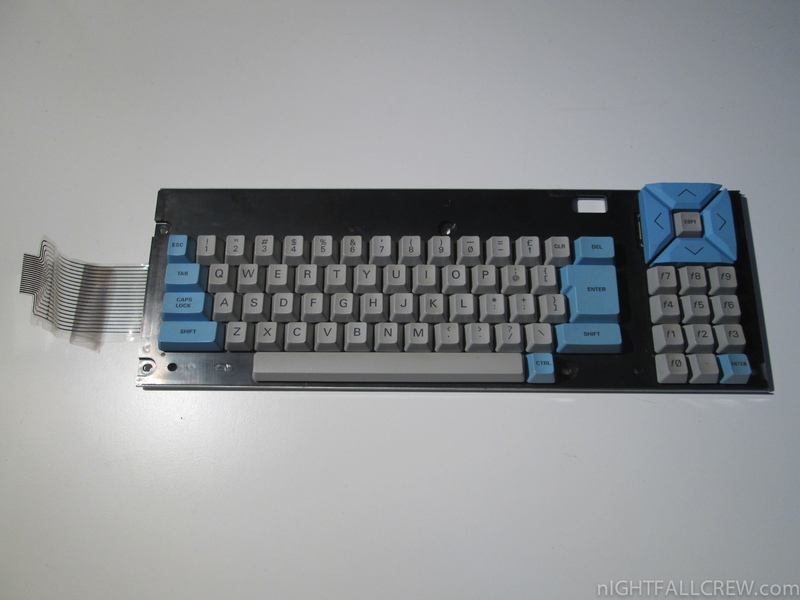 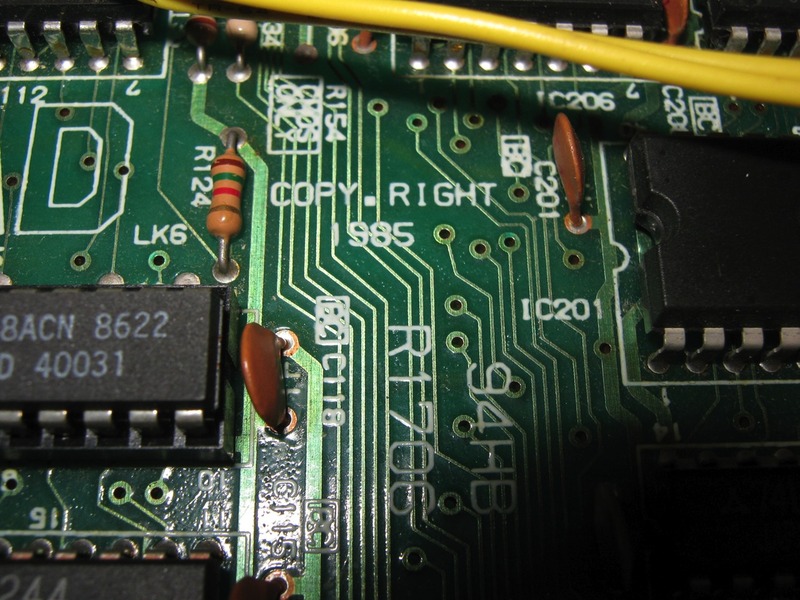 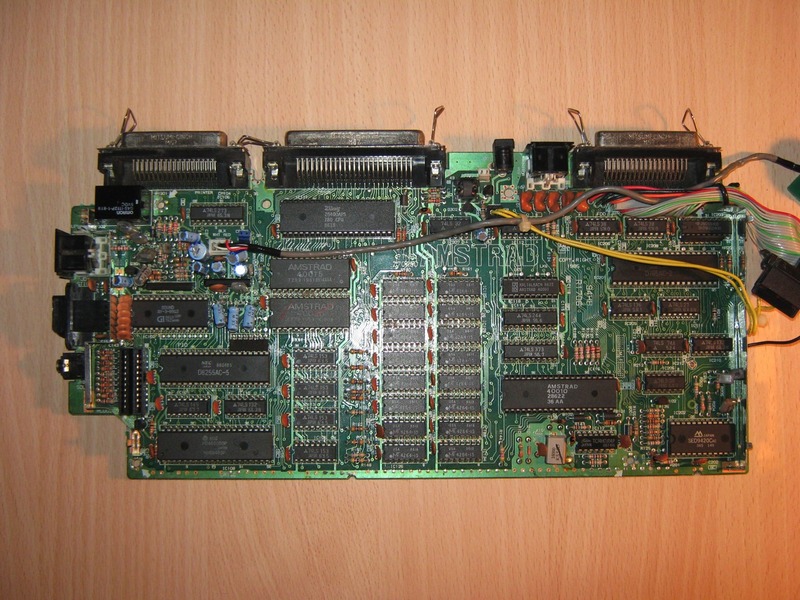 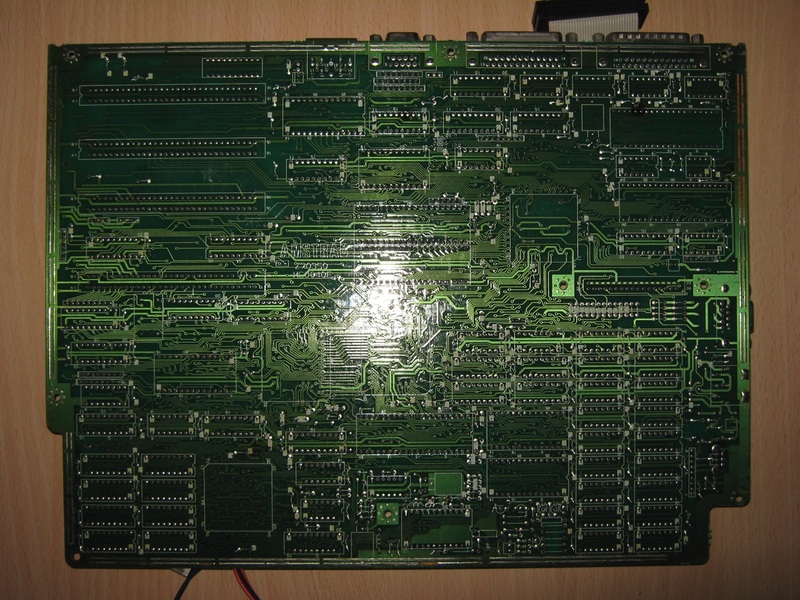 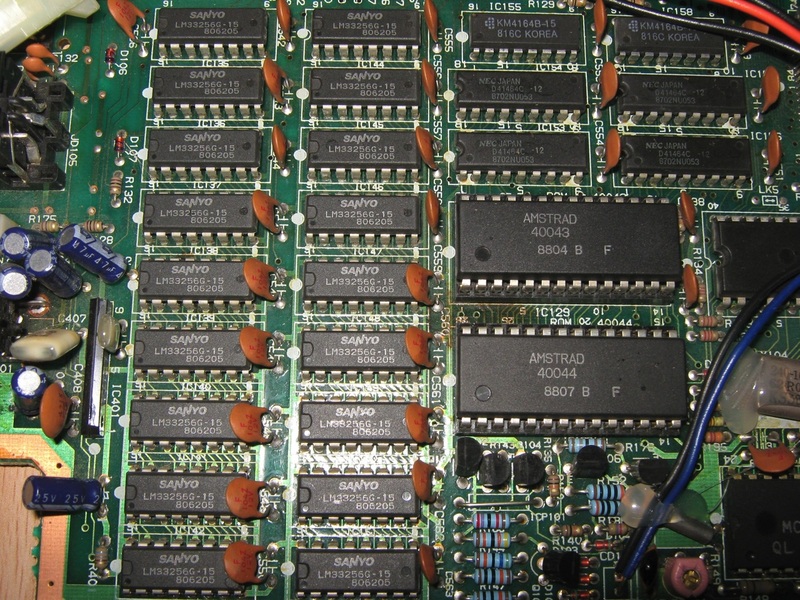 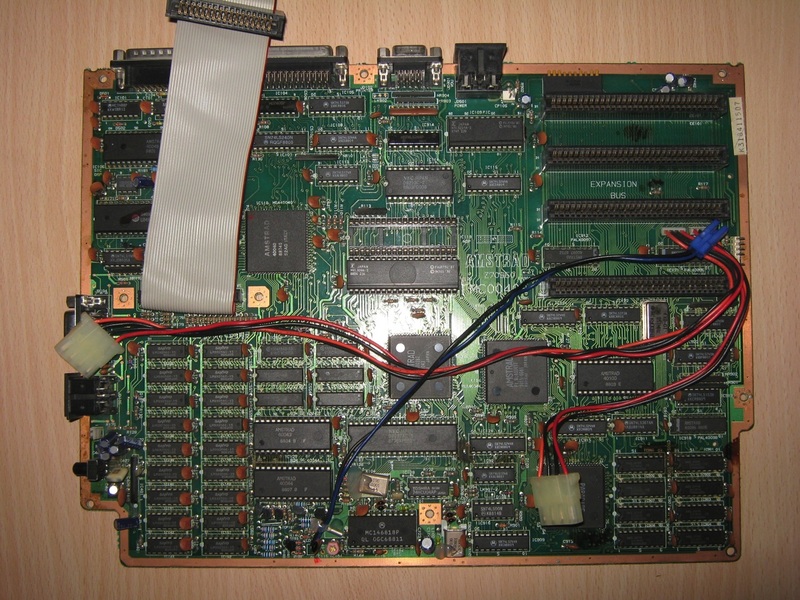 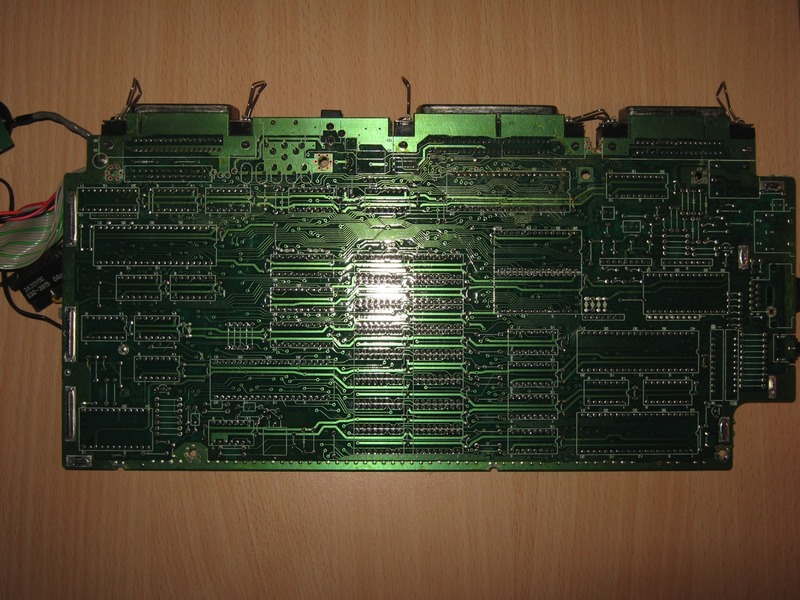 The CPC models’ hardware was based on the Zilog Z80A CPU, complemented with either 64 or 128 kilobytes of memory. 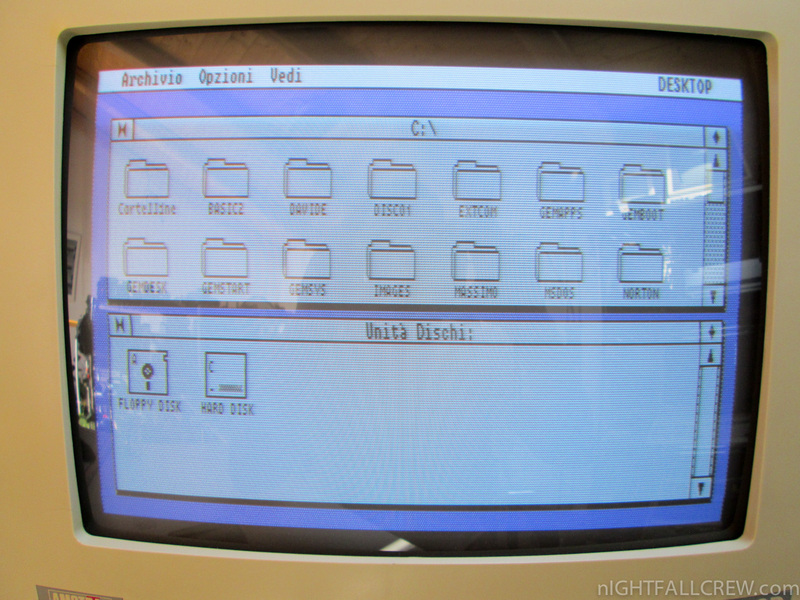 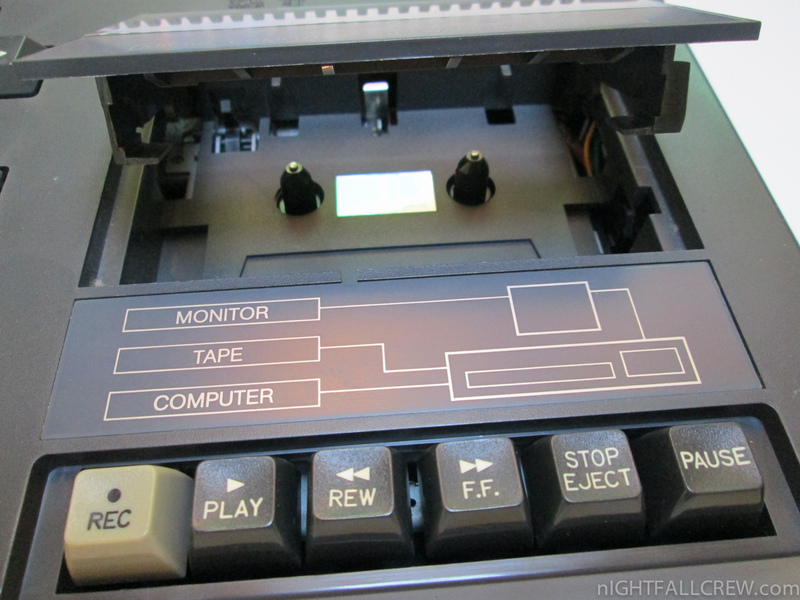 Their computer-in-a-keyboard design prominently featured an integrated data drive (compact cassette or 3″ floppy disk). 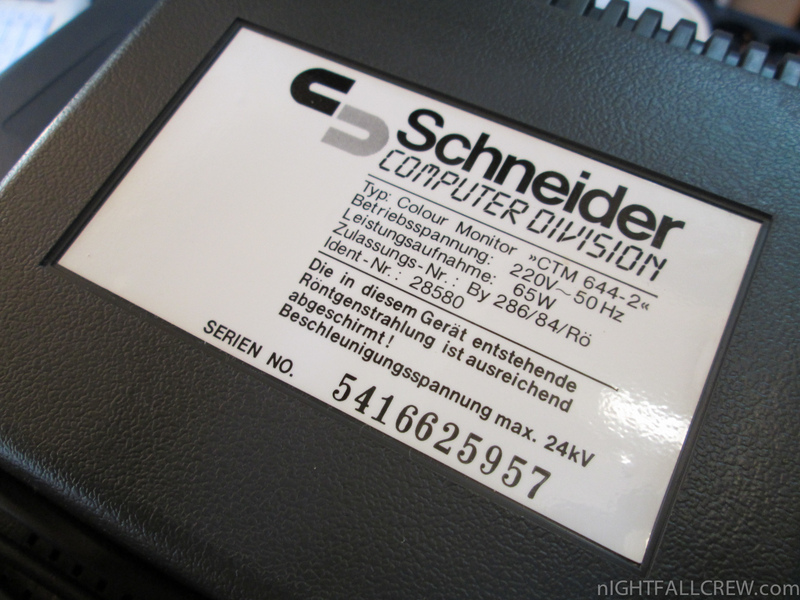 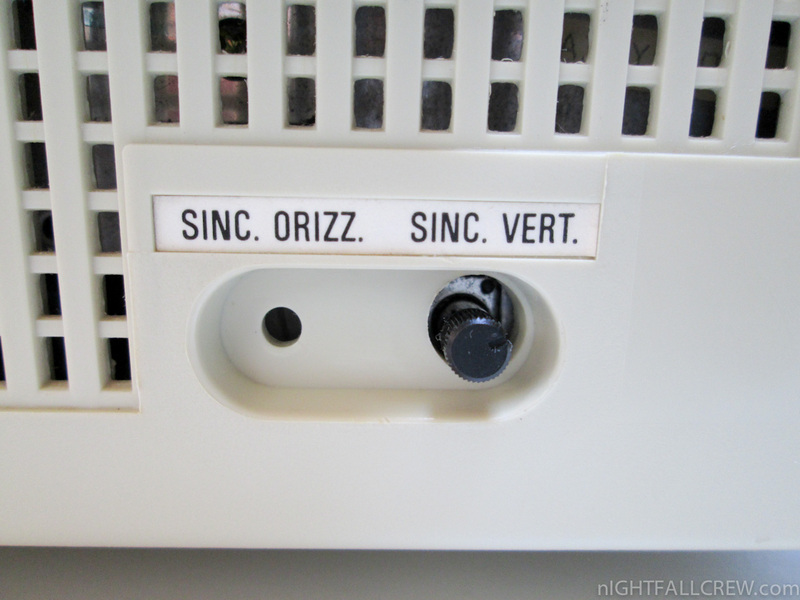 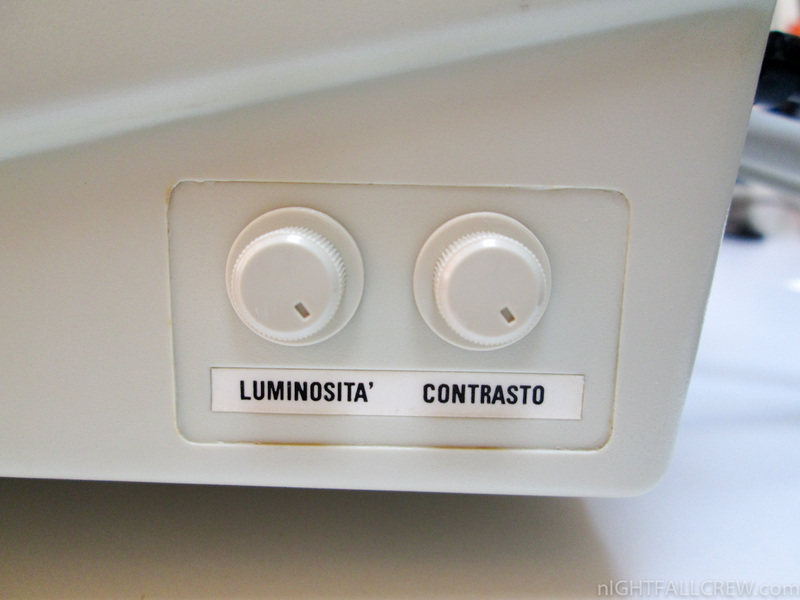 The main units were only sold bundled with a color or monochrome monitor that doubled as the main unit’s power supply. 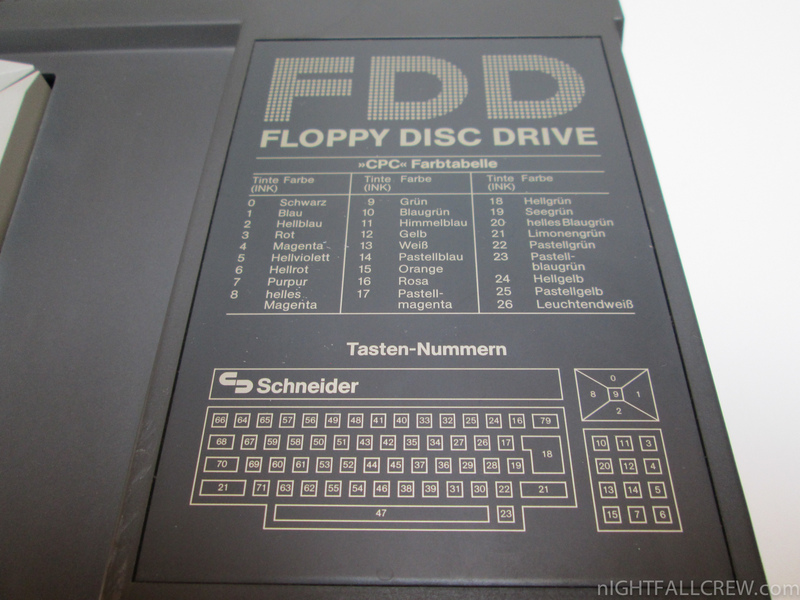 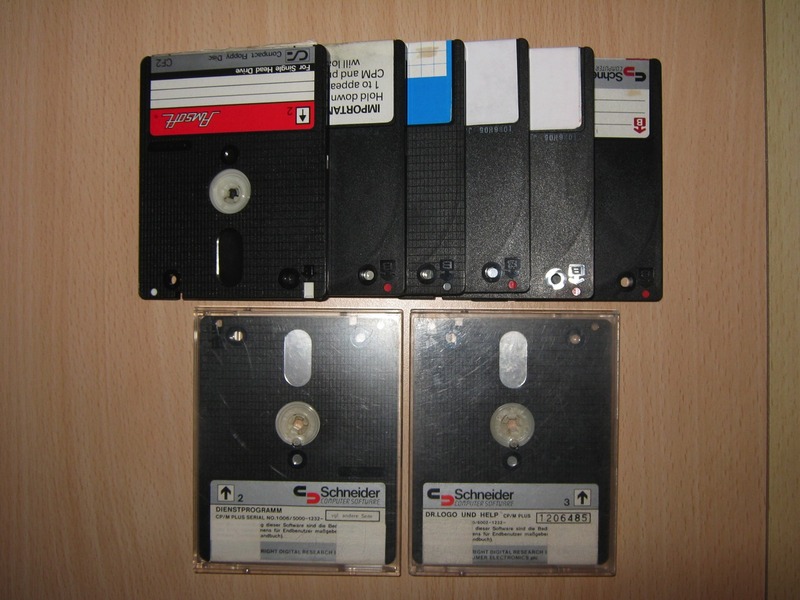 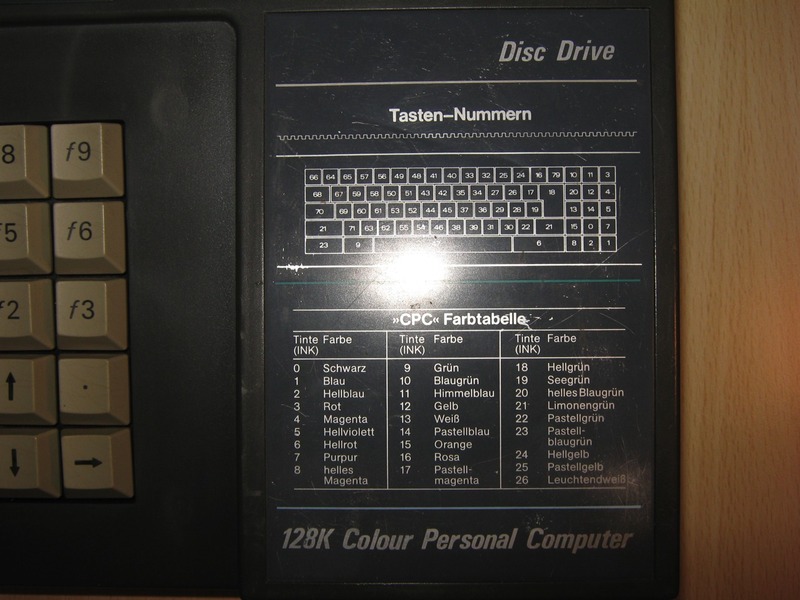 Additionally, a wide range of first- and third-party hardware extensions such as disk drives (for the CPC464), printers, and memory extensions, was available. 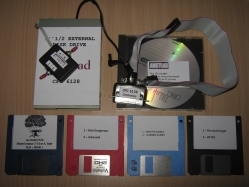 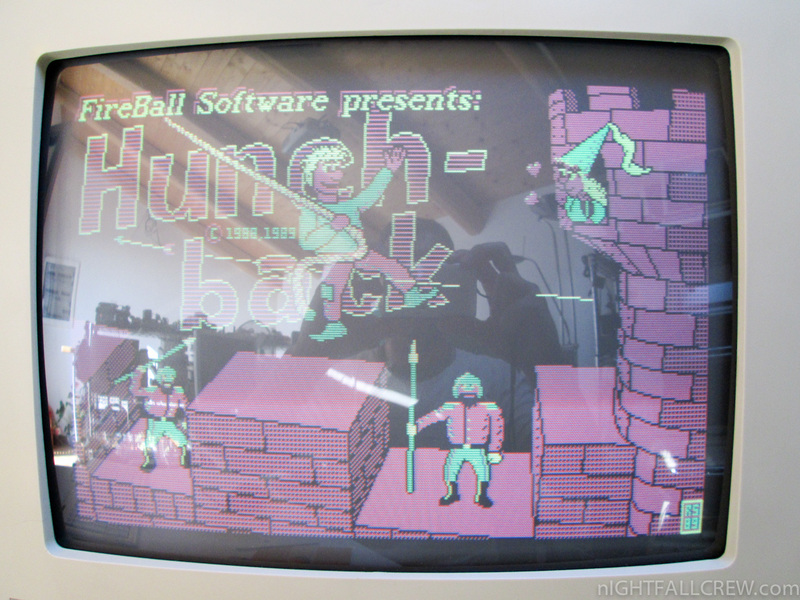 The CPC series was pitched against other home computers primarily used to play video games and enjoyed a strong supply of first-party (Amsoft) and third-party game software. 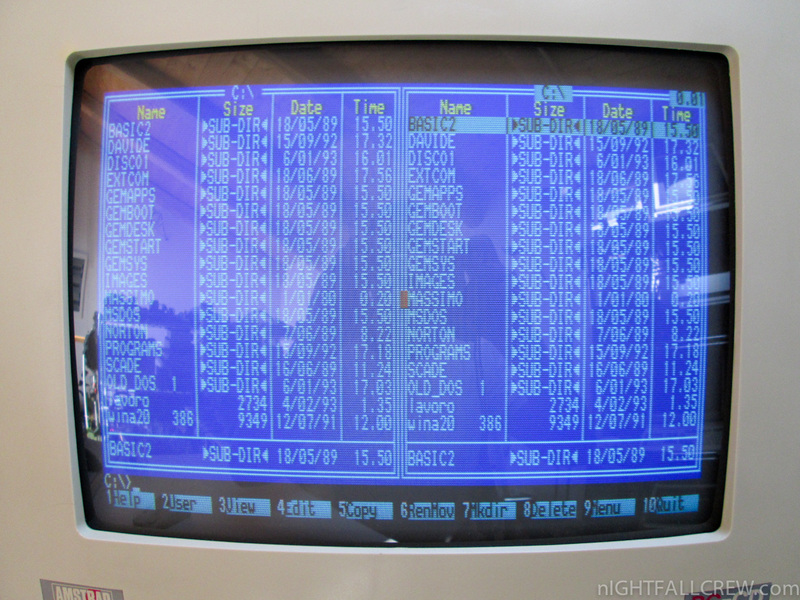 The comparatively low price for a complete computer system with dedicated monitor, its high resolution monochrome text and graphic capabilities and the possibility to run CP/M software also rendered the system attractive for business users, which was reflected by a wide selection of application software. 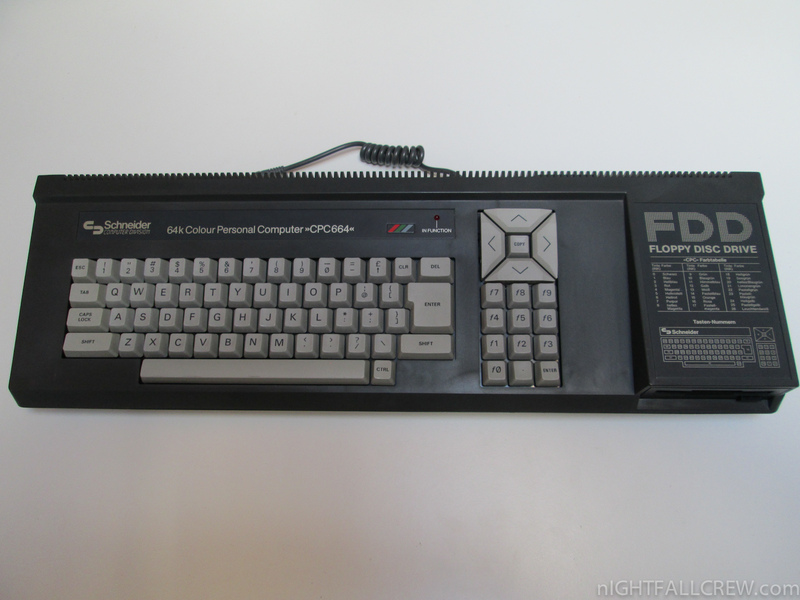 During its lifetime, the CPC series sold approximately 3 million units.